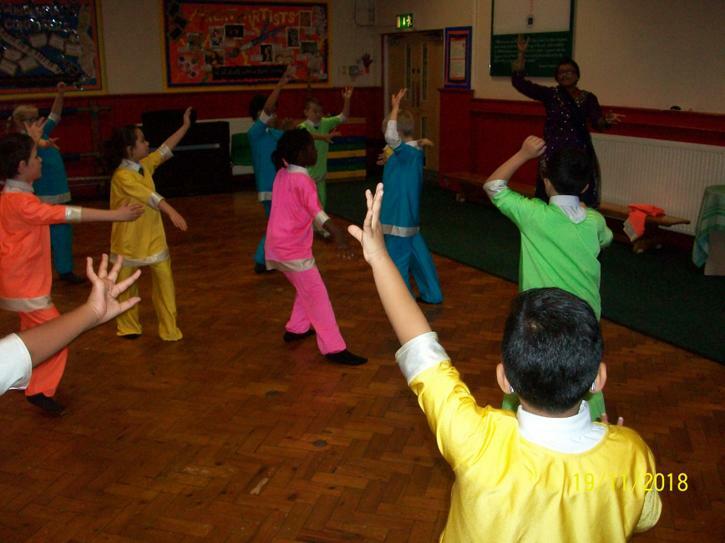 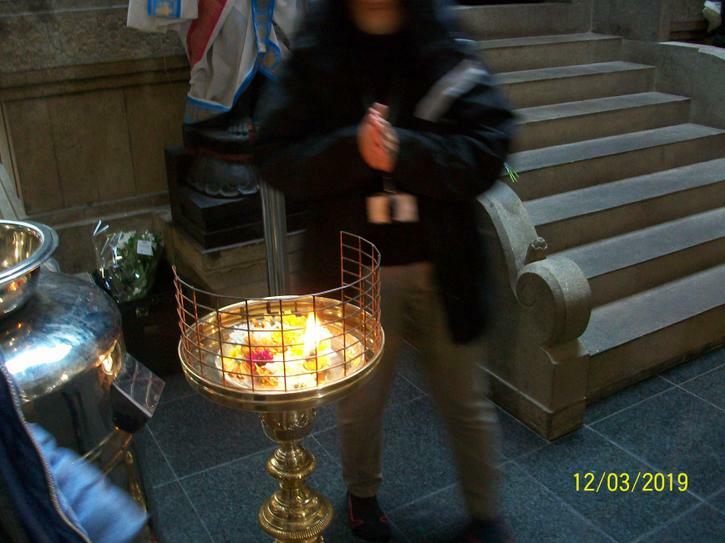 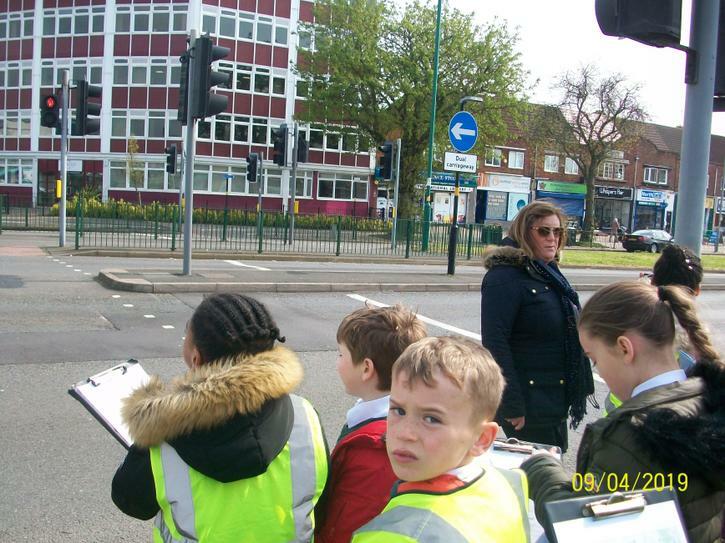 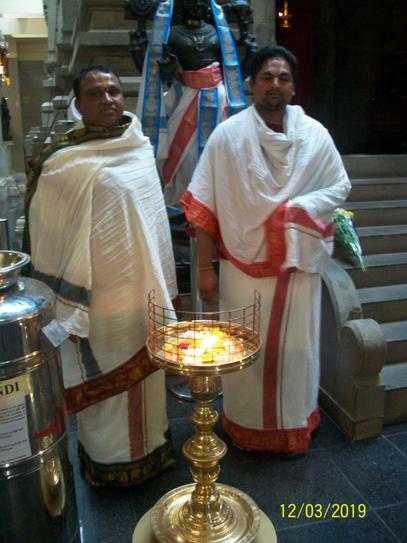 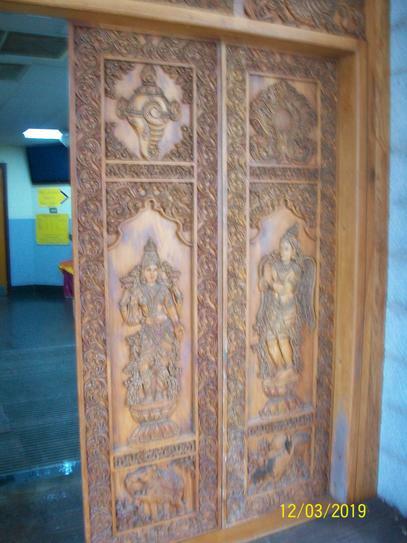 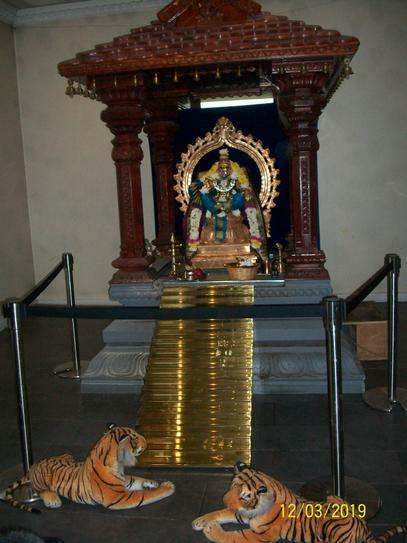 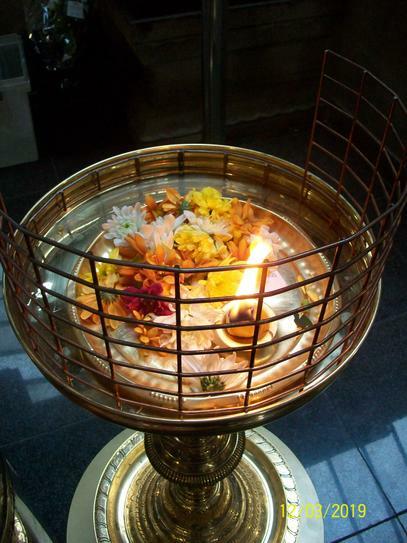 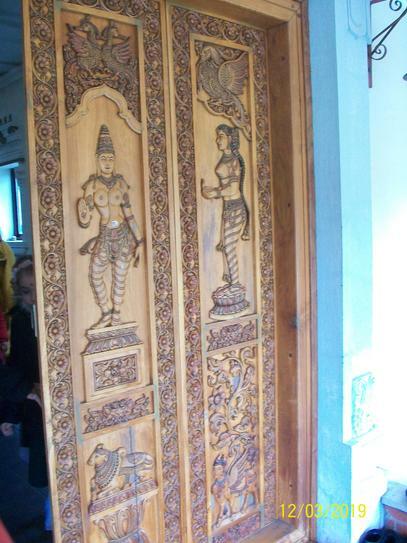 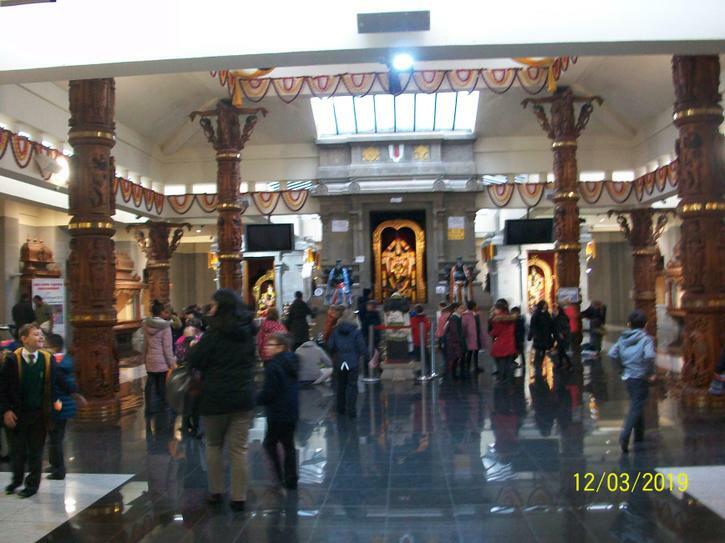 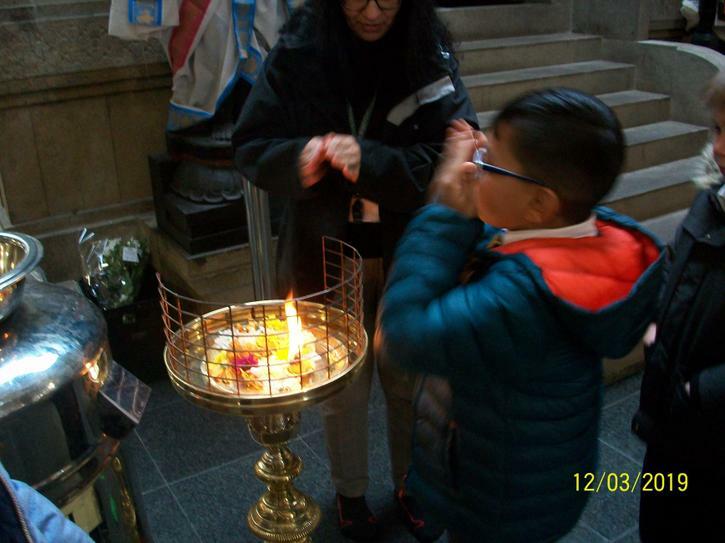 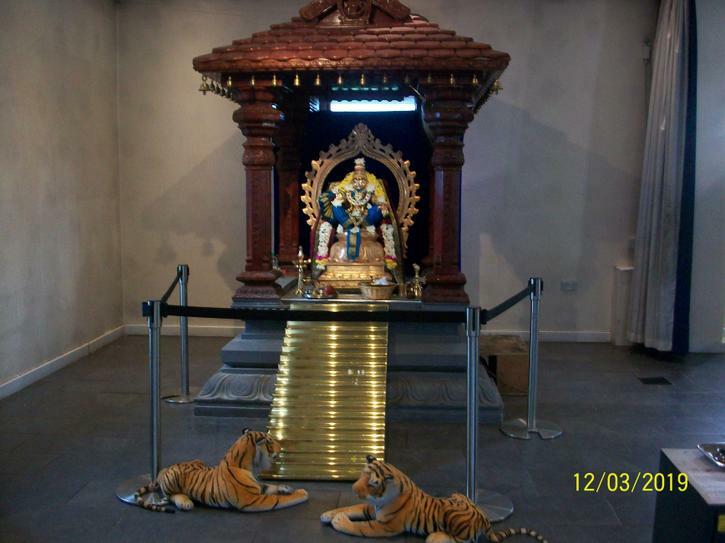 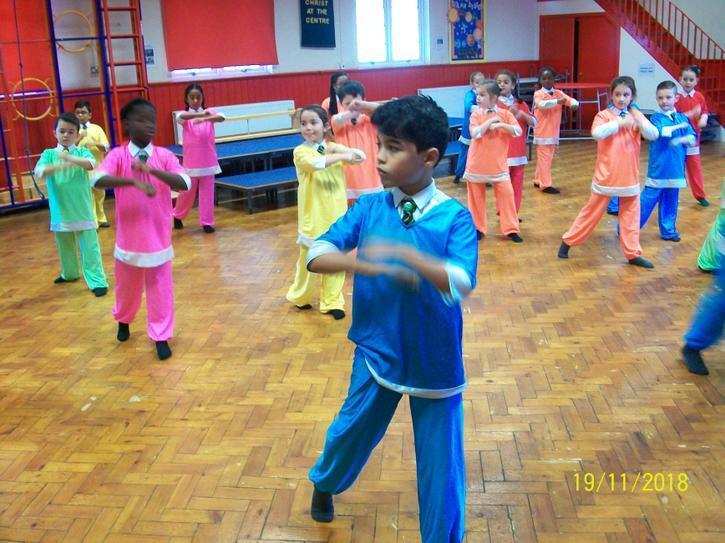 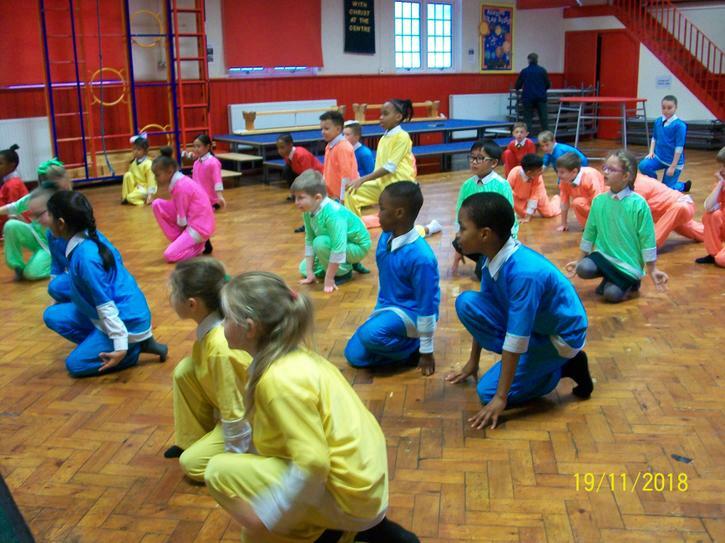 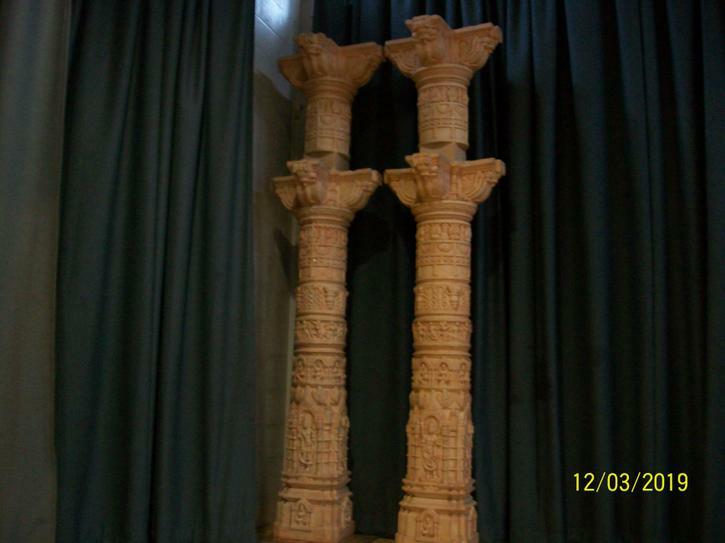 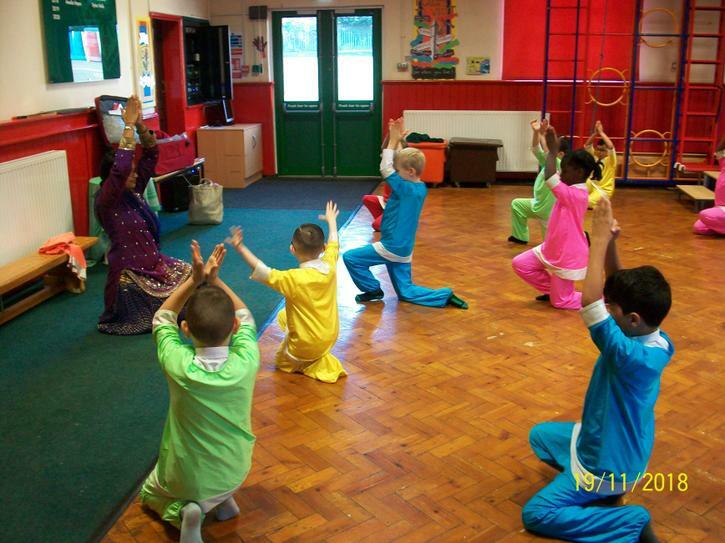 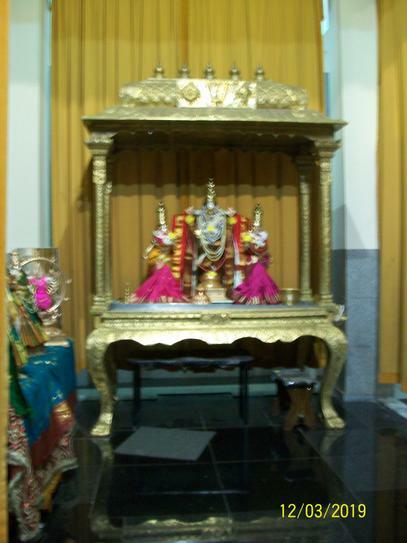 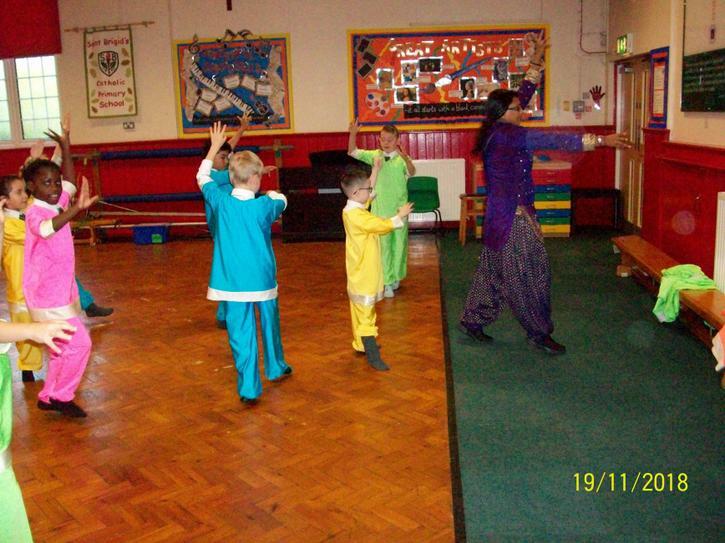 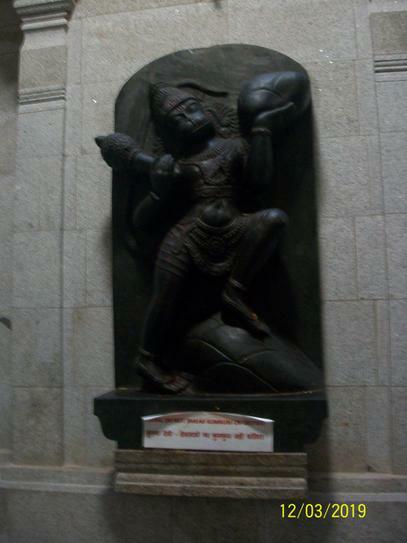 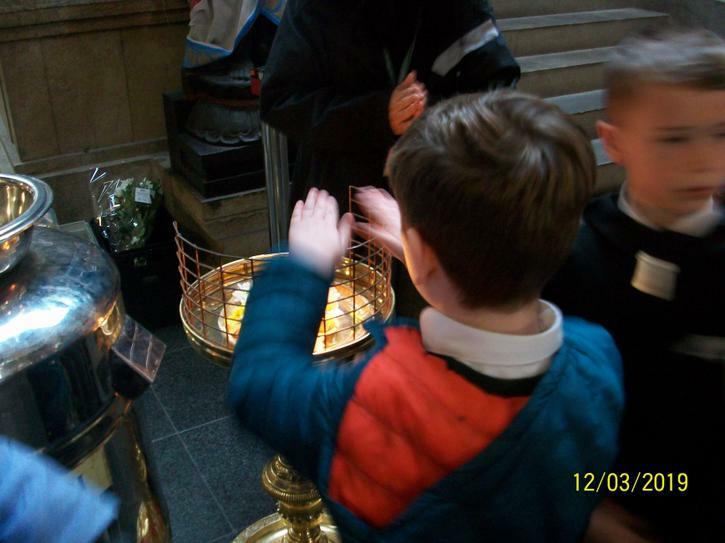 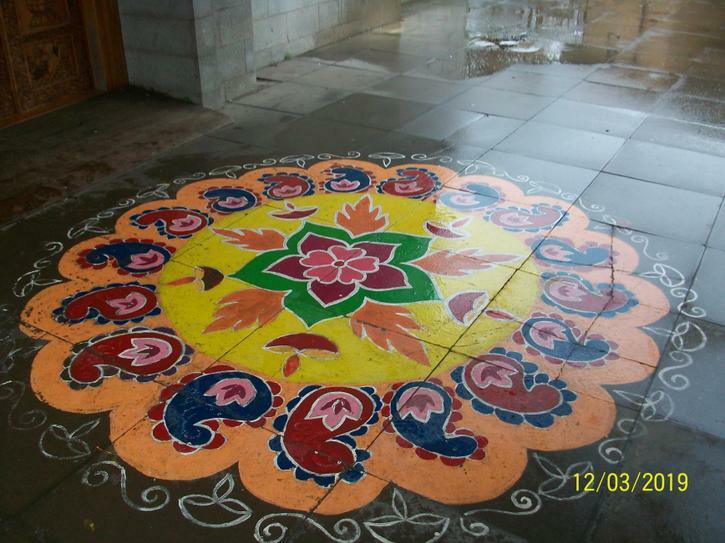 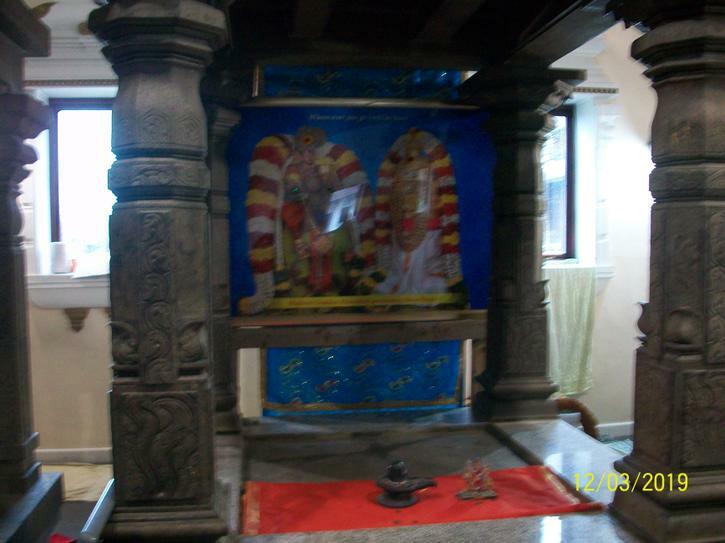 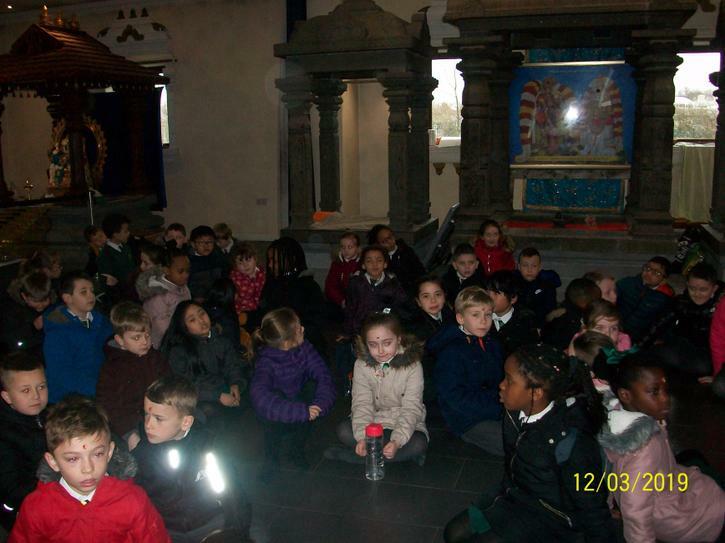 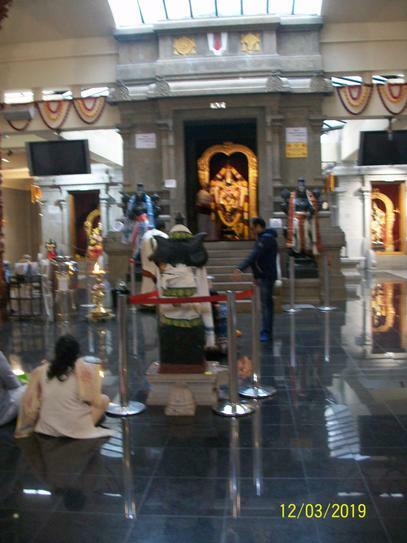 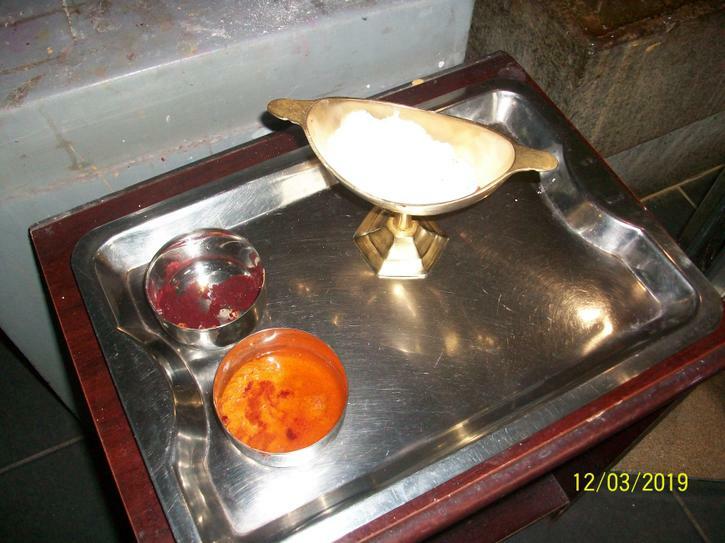 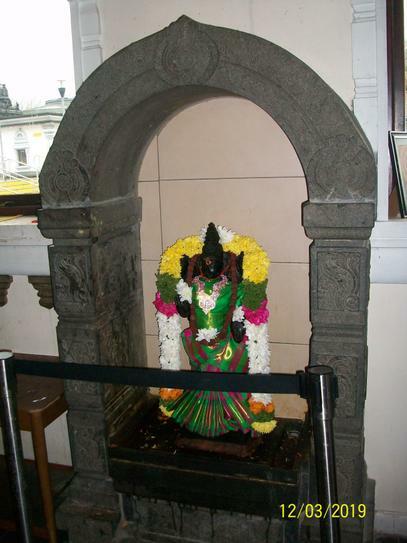 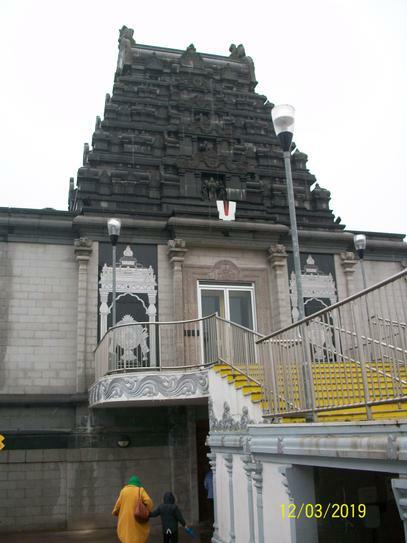 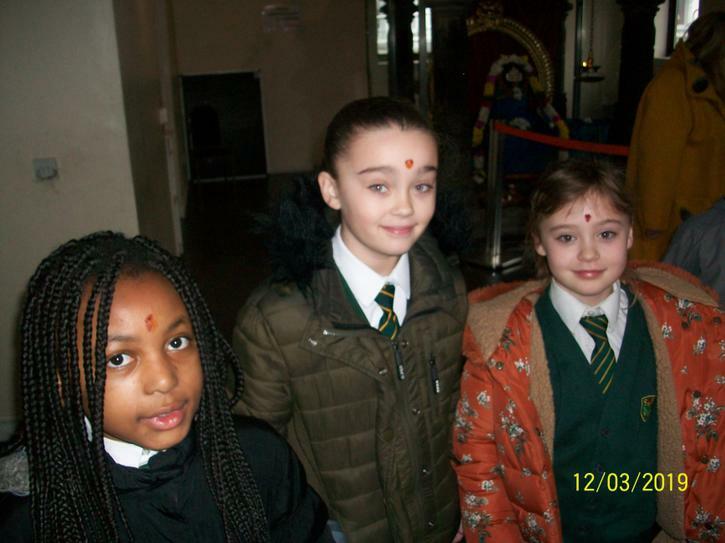 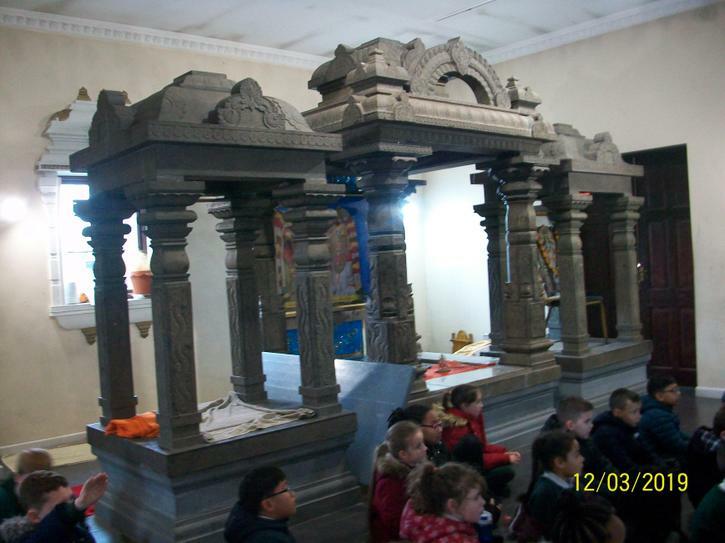 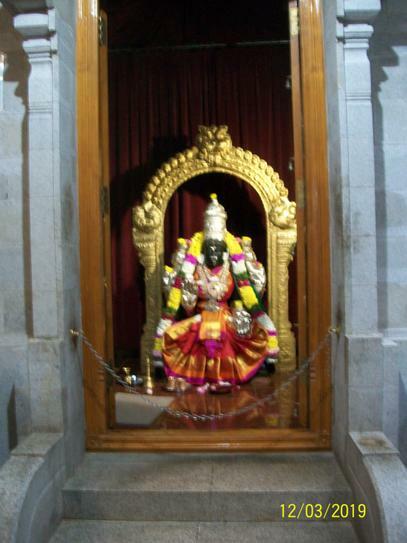 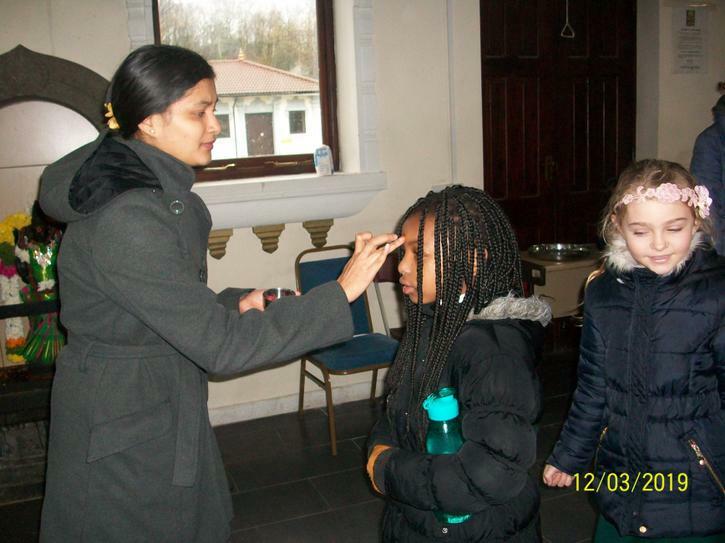 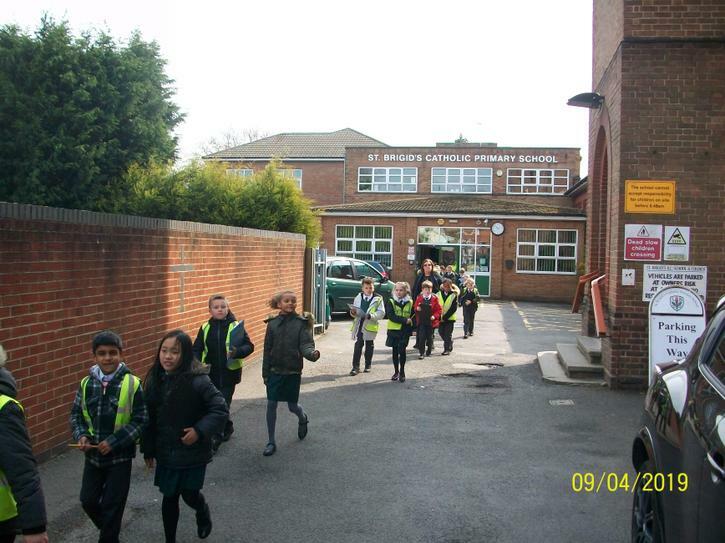 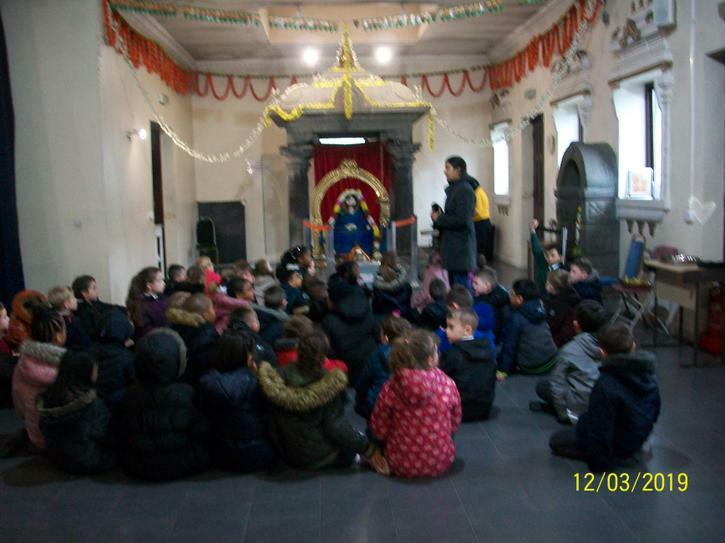 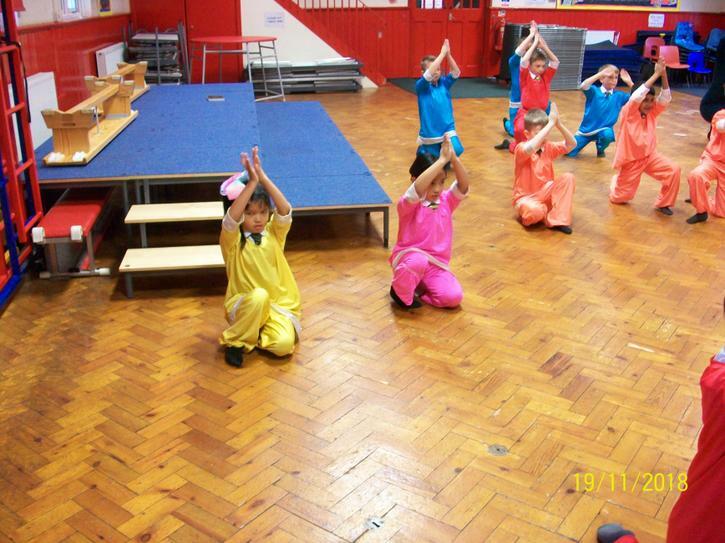 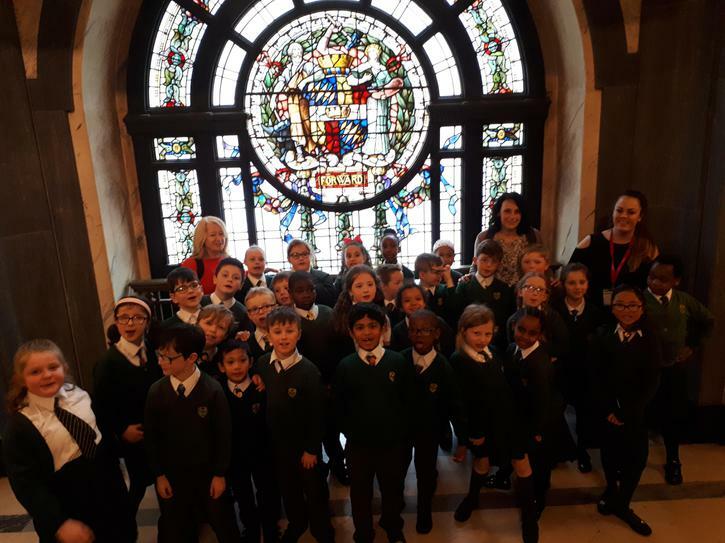 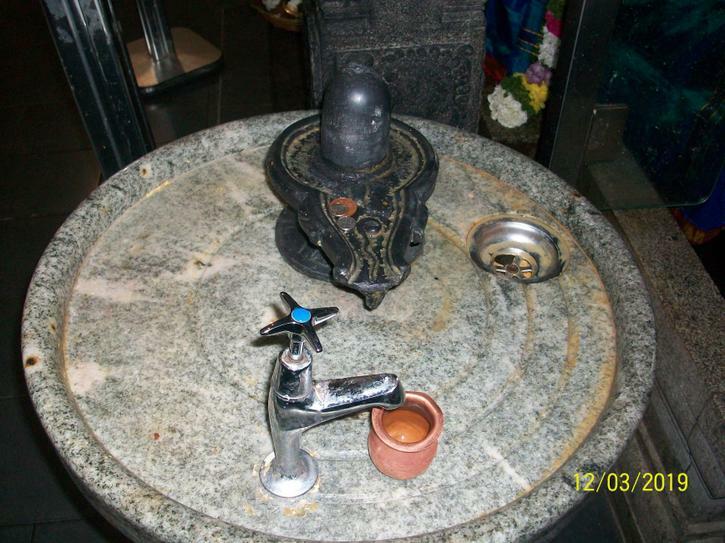 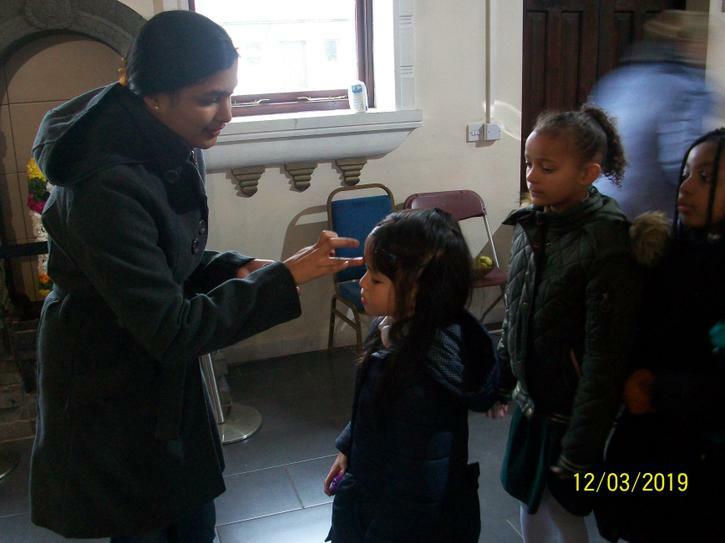 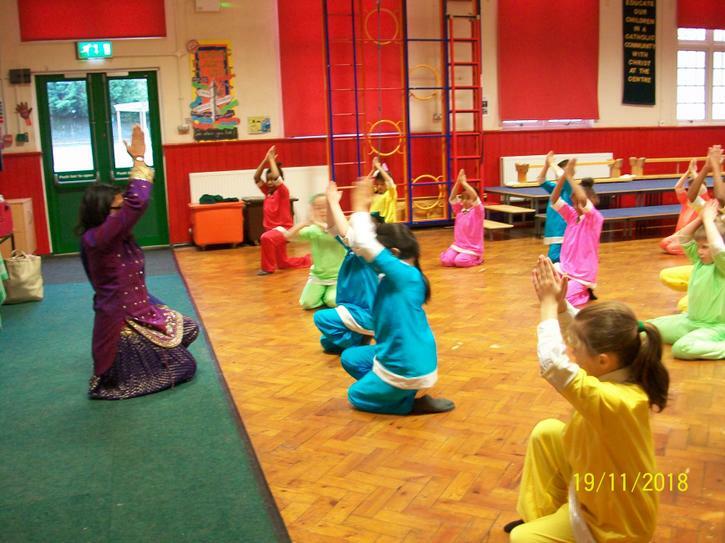 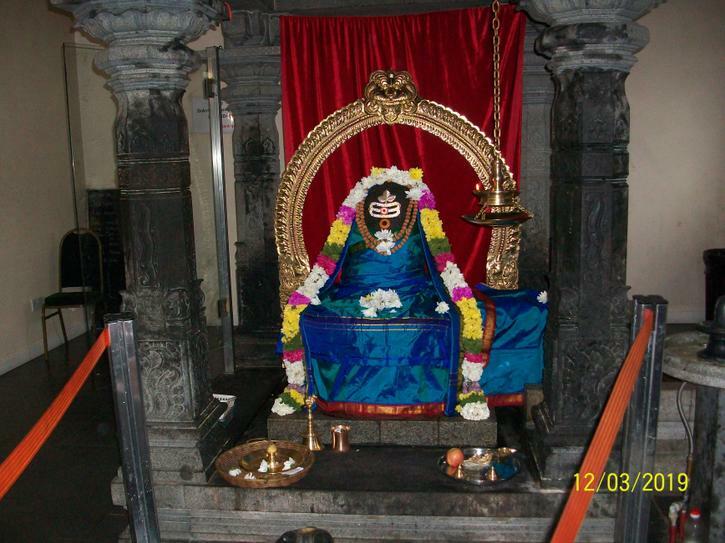 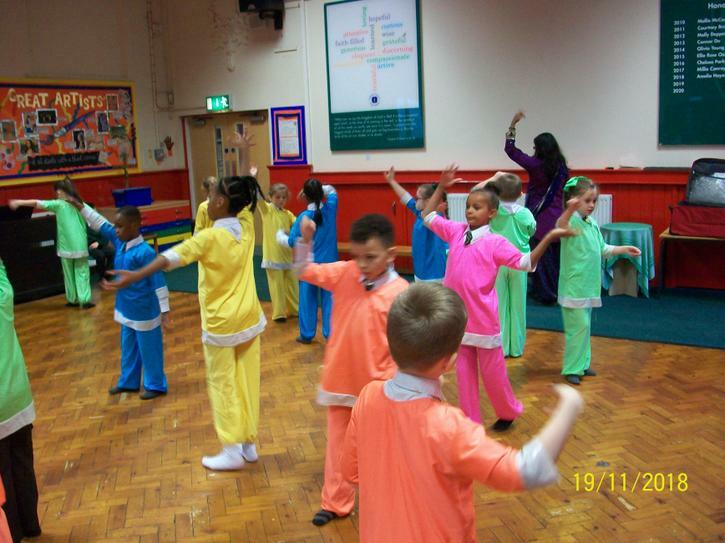 Year 3 visited the local Hindu Temple as part of their studies on other religions. 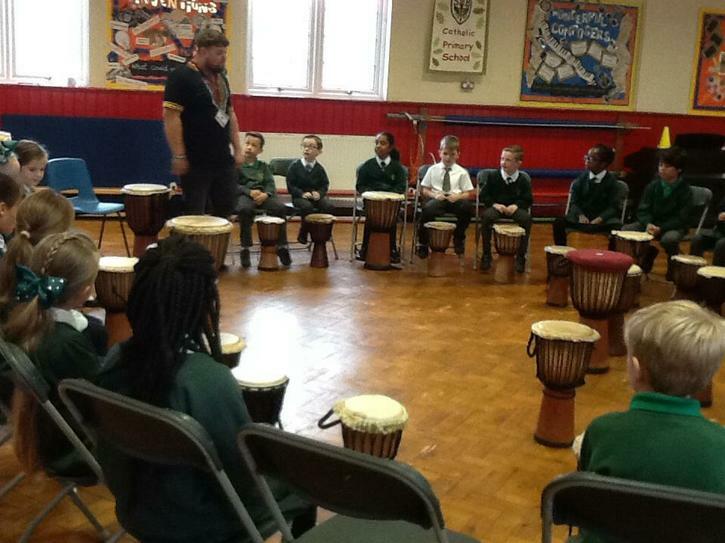 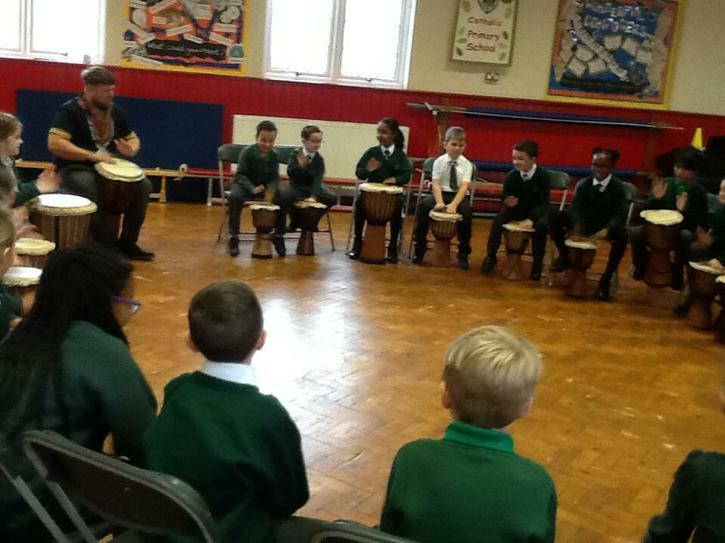 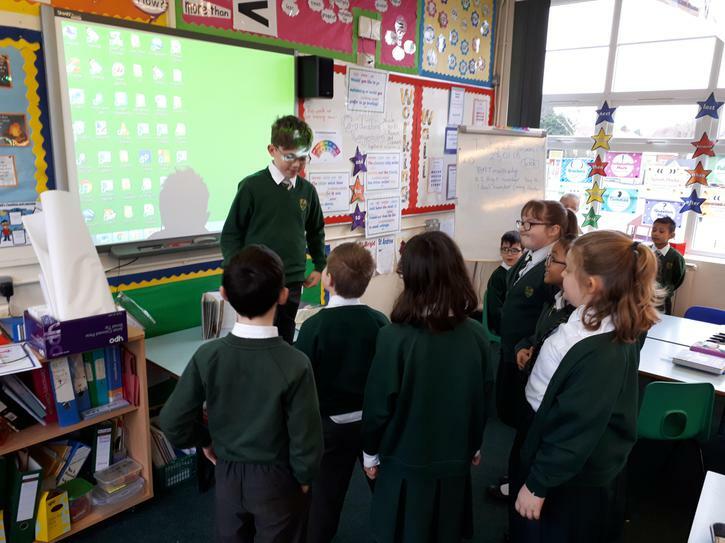 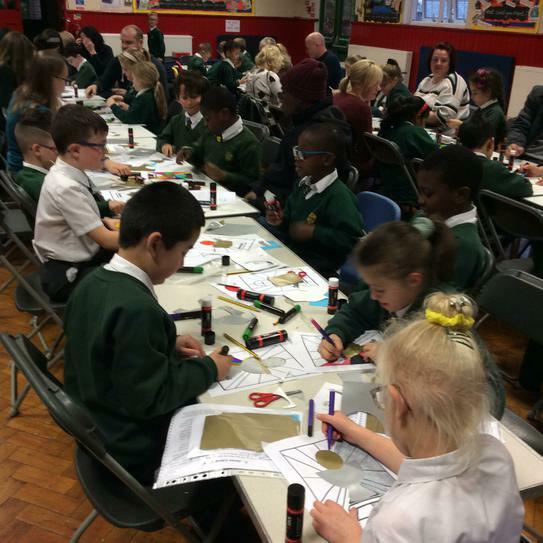 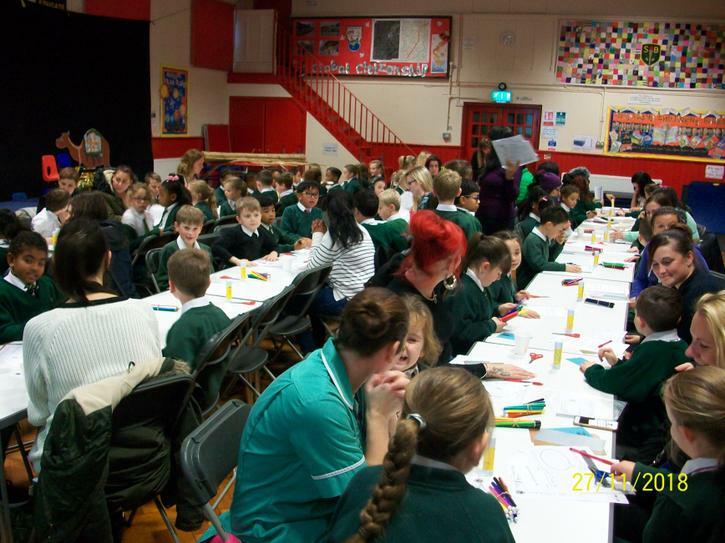 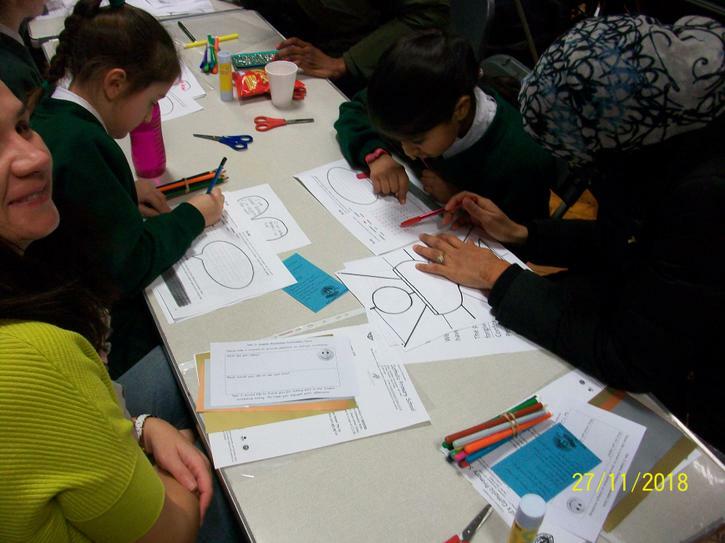 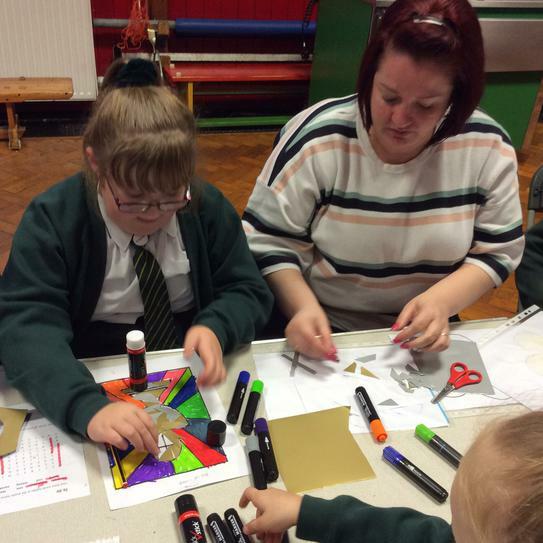 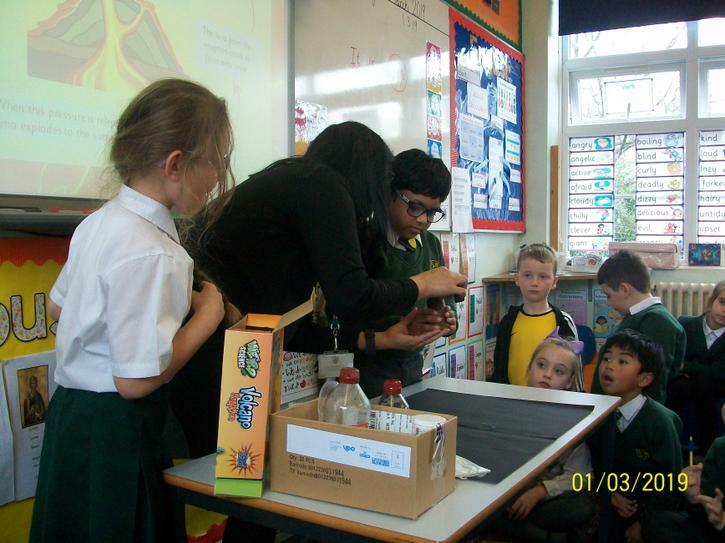 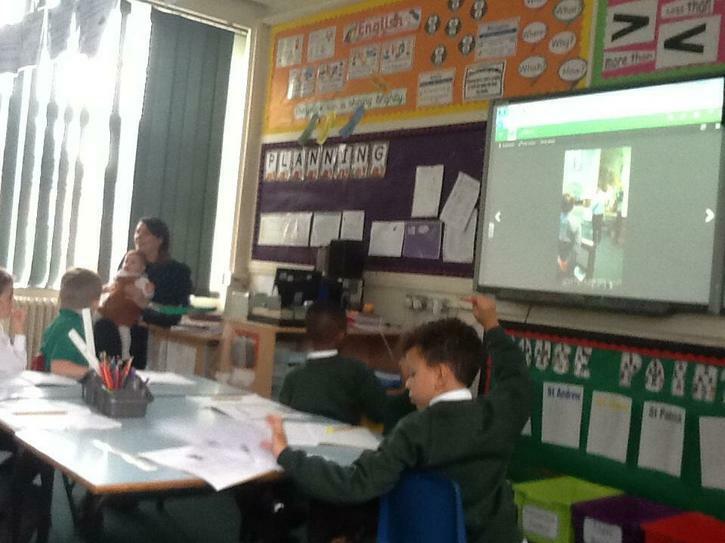 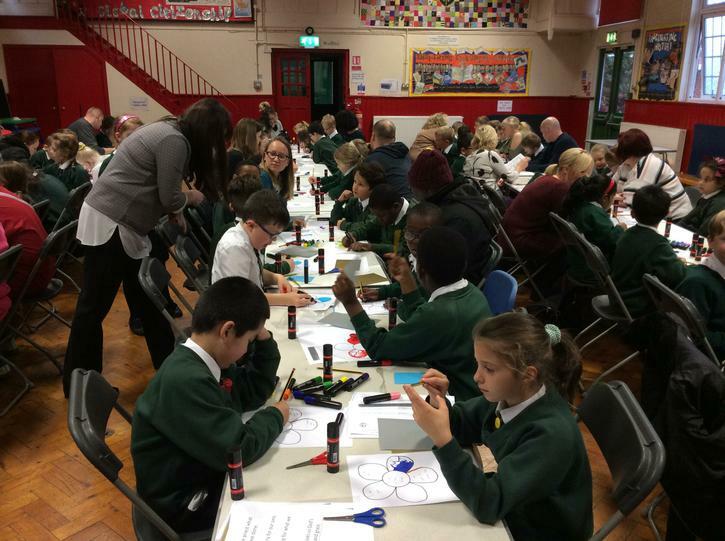 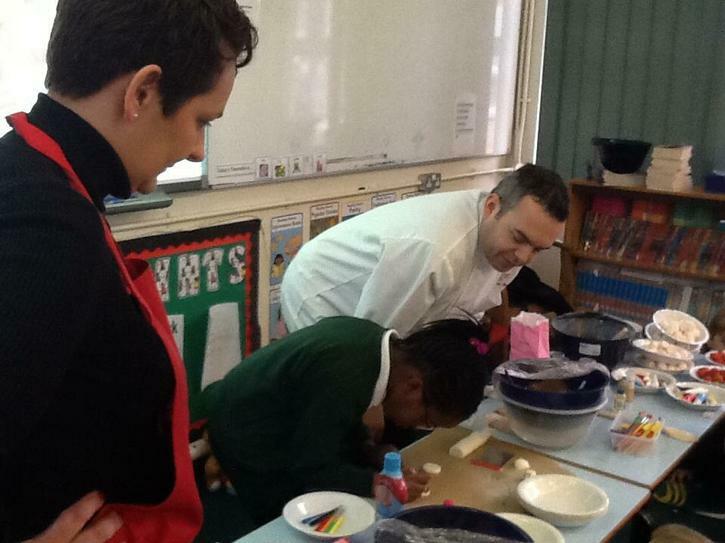 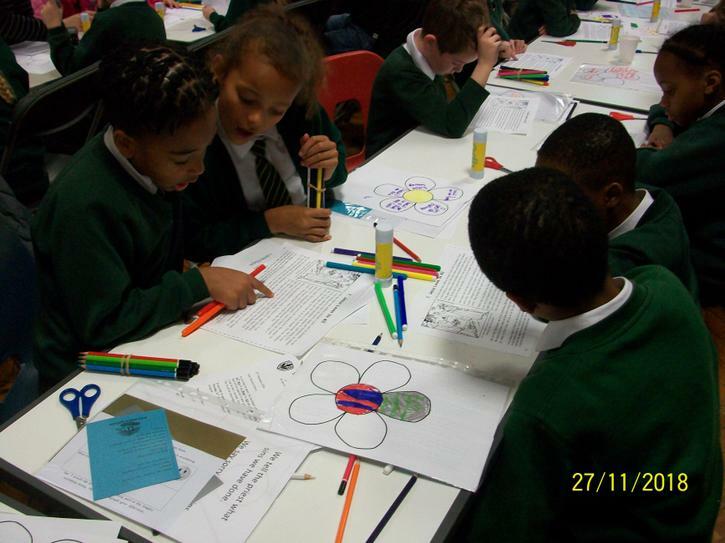 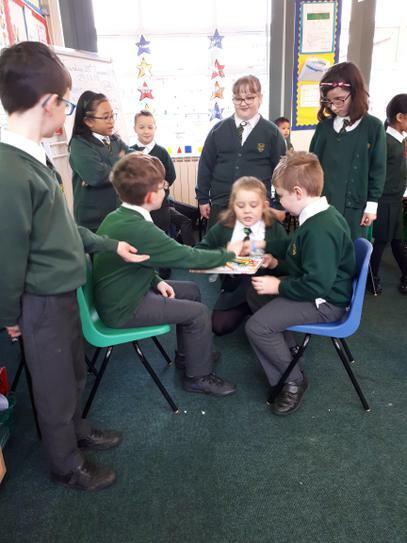 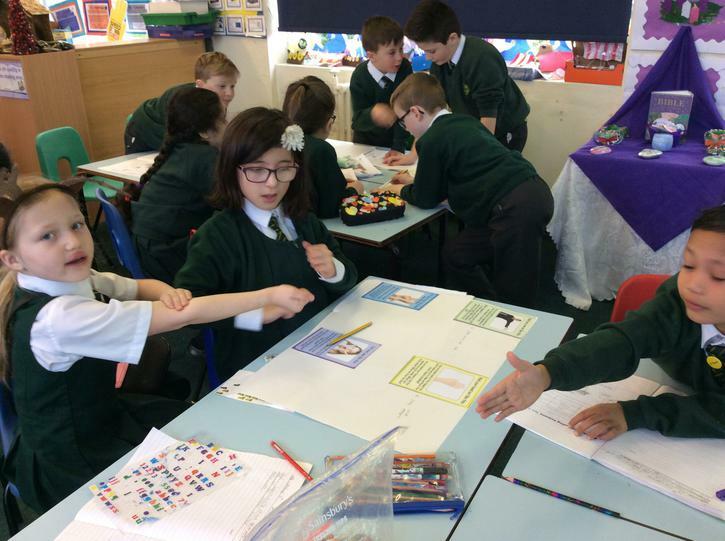 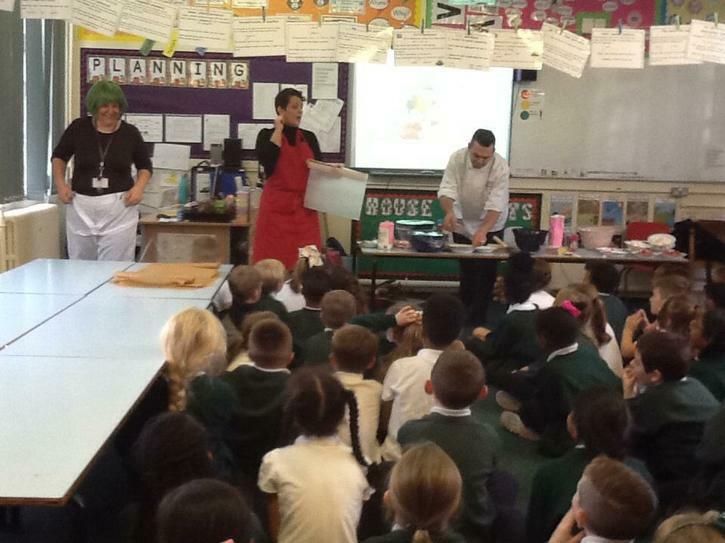 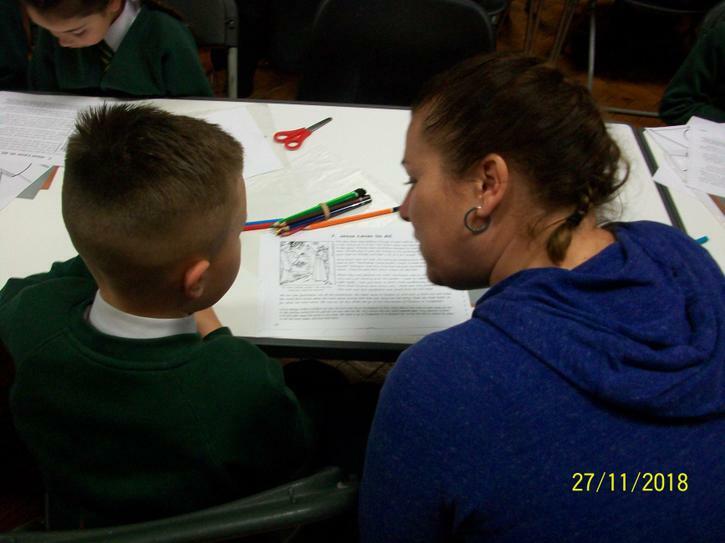 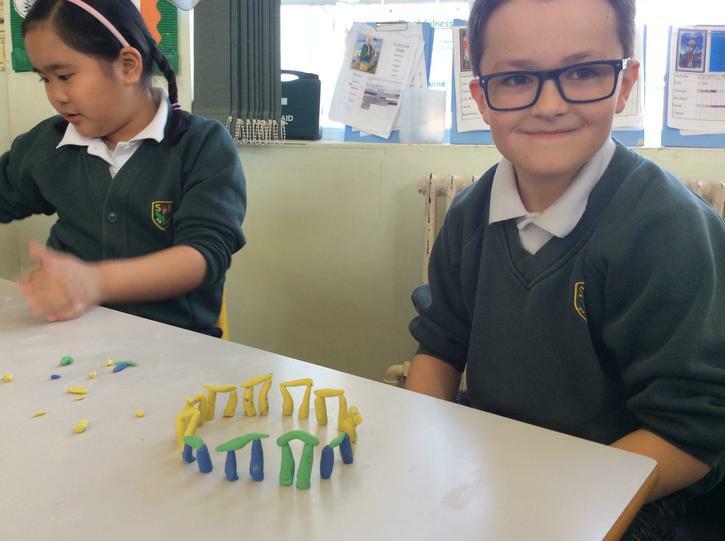 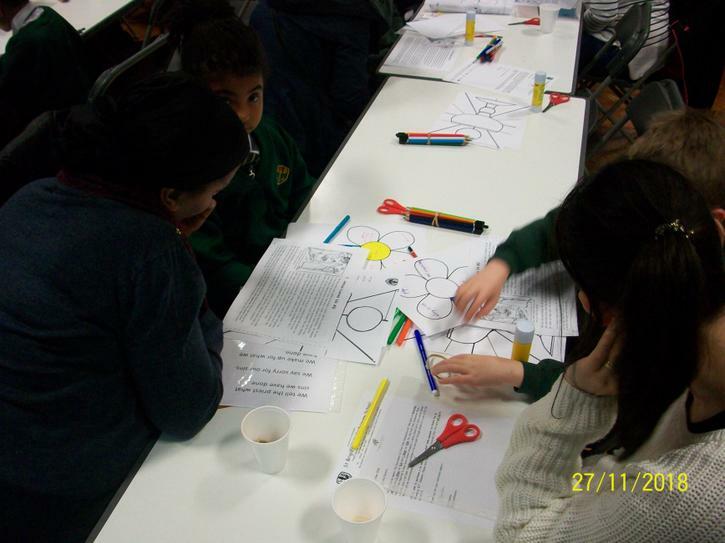 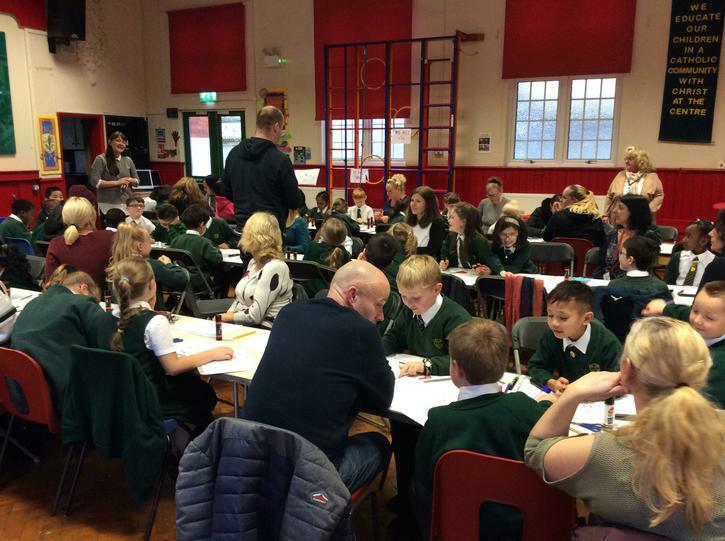 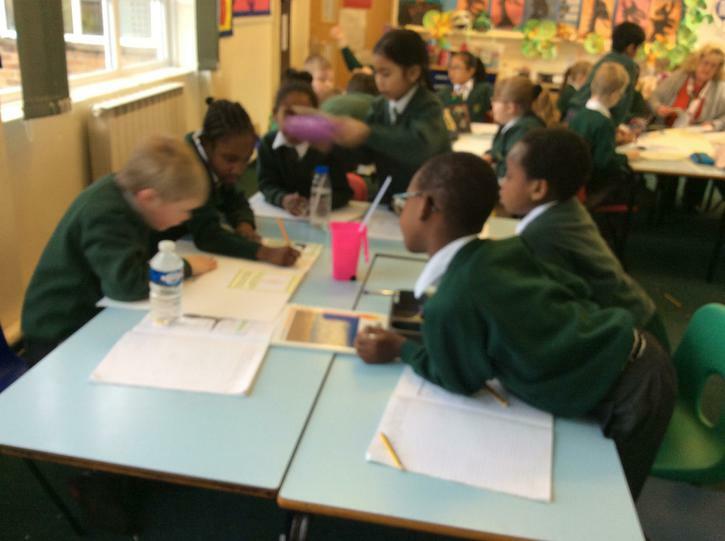 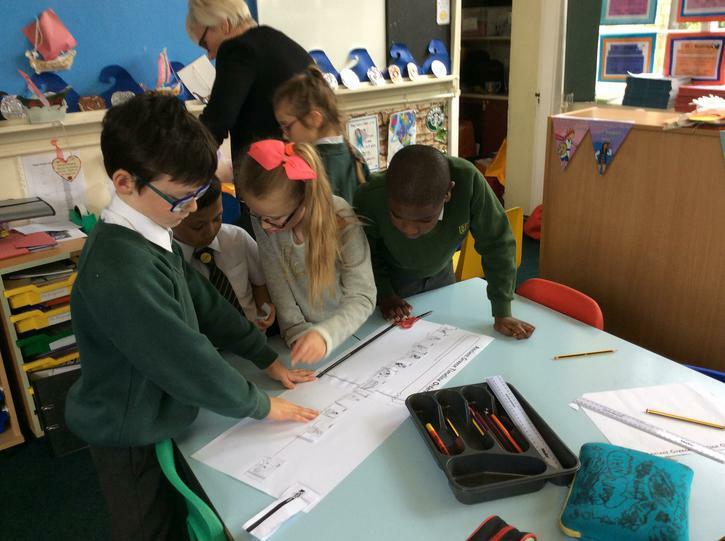 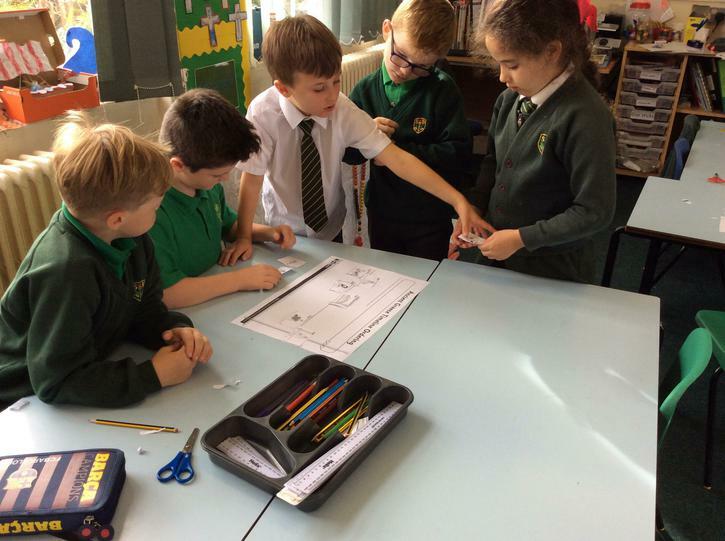 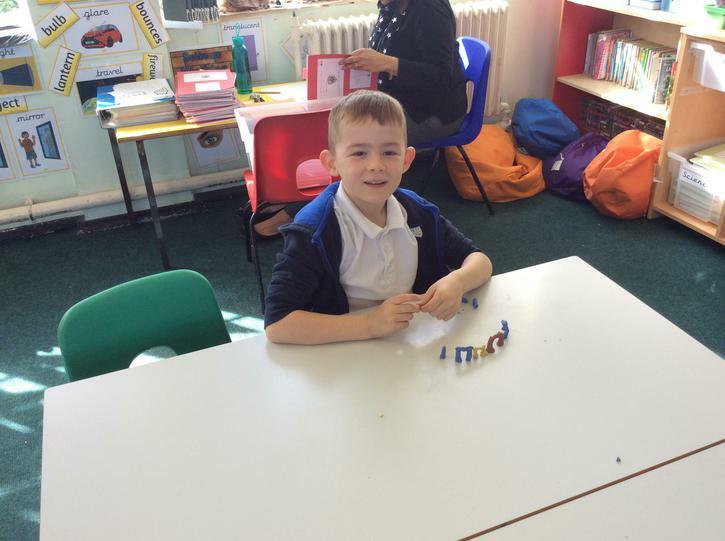 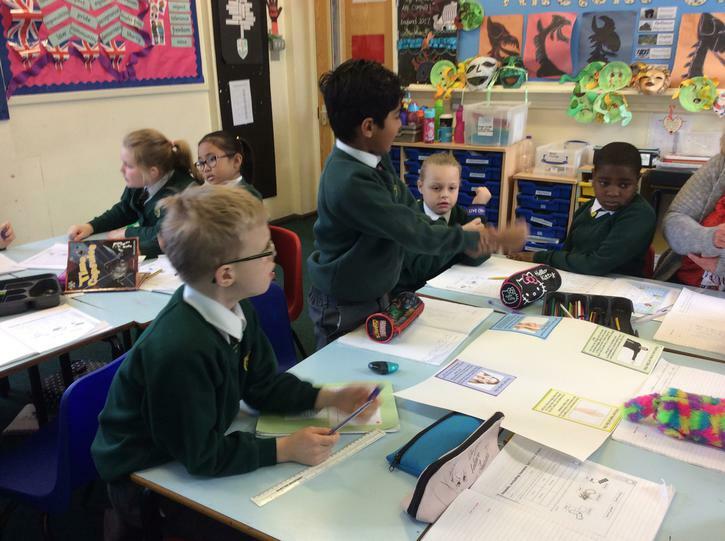 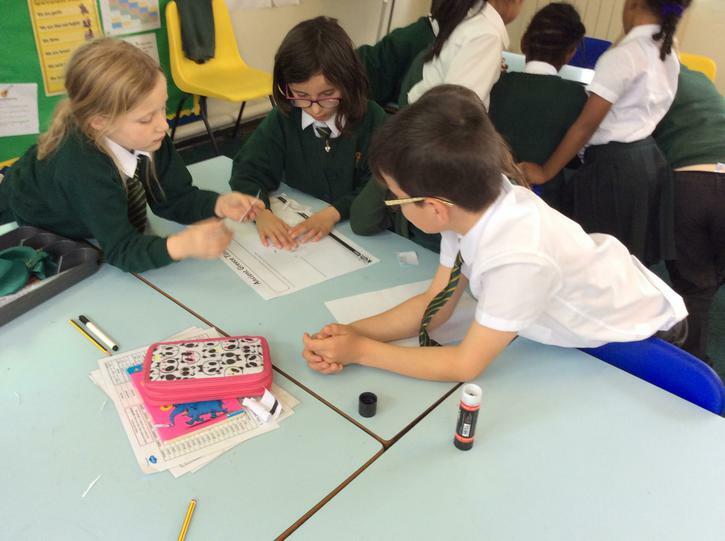 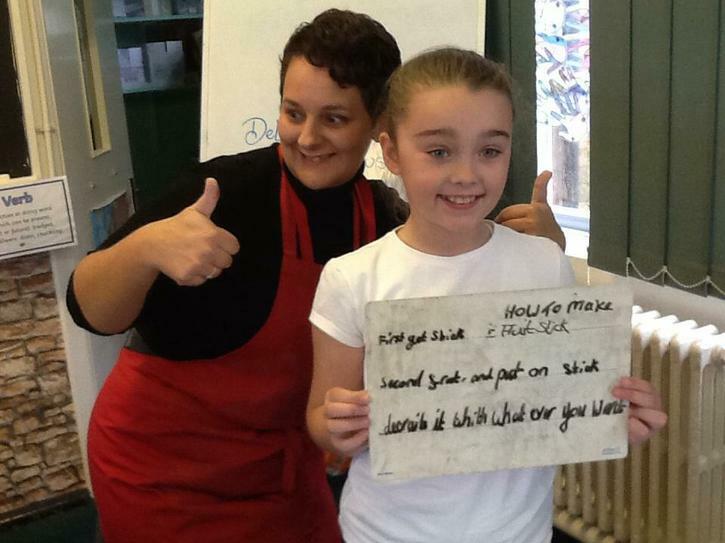 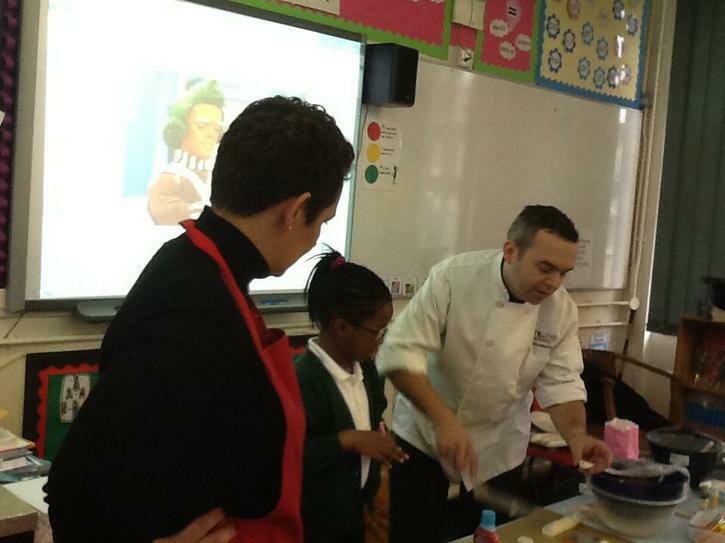 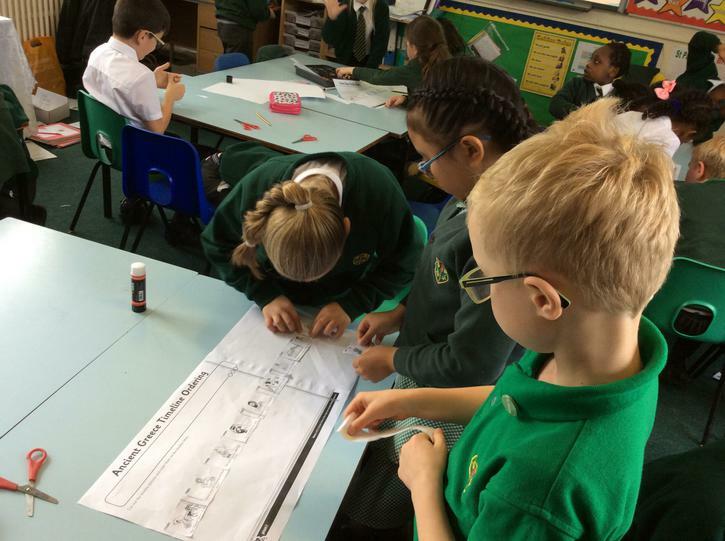 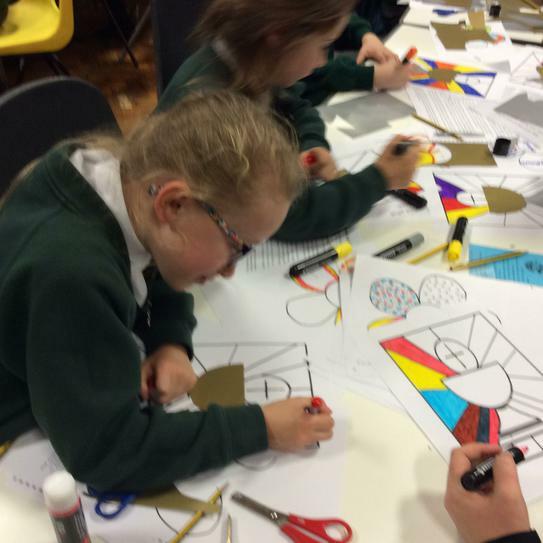 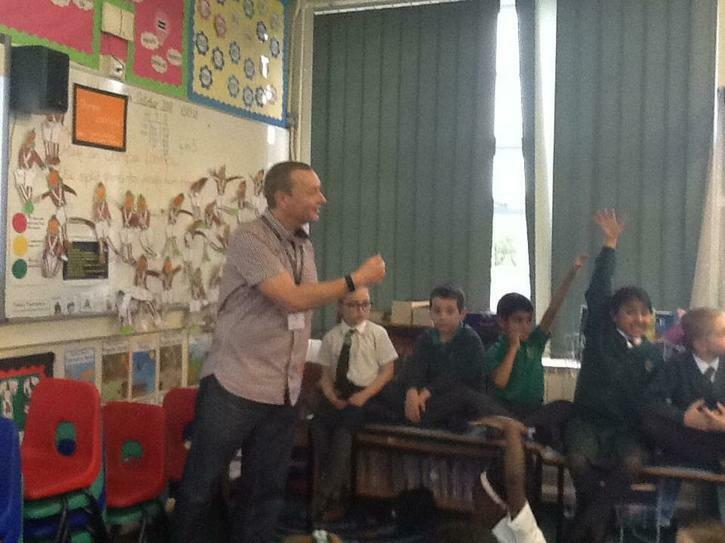 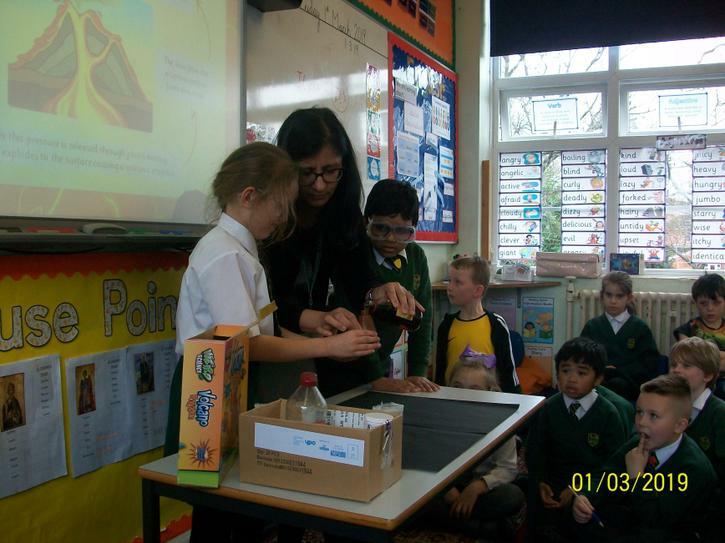 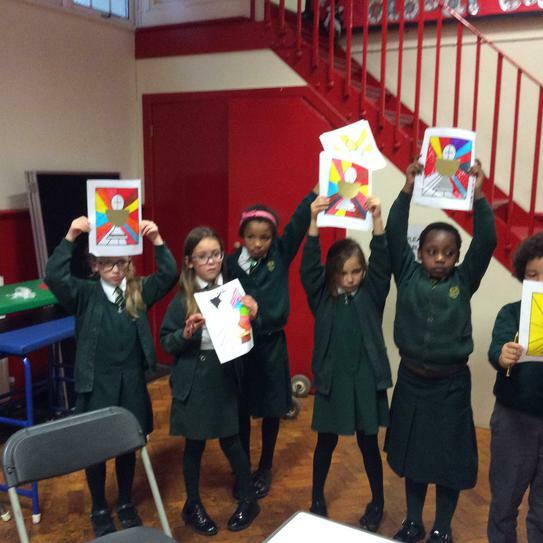 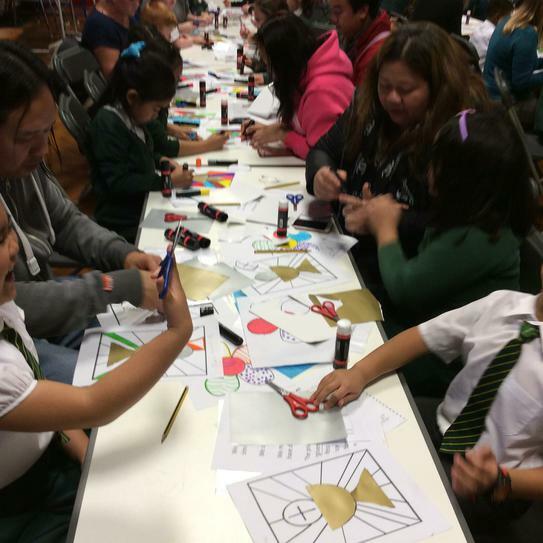 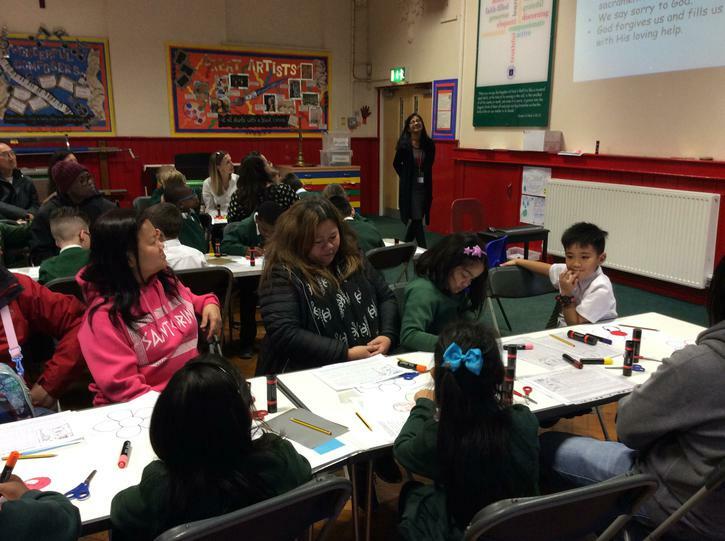 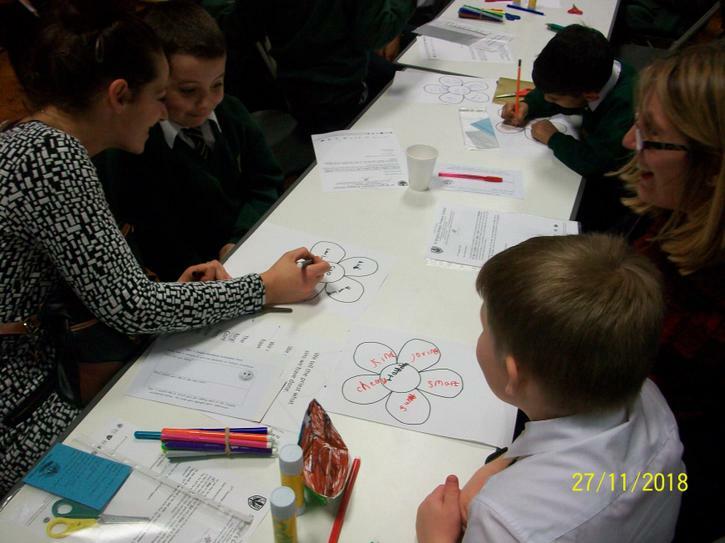 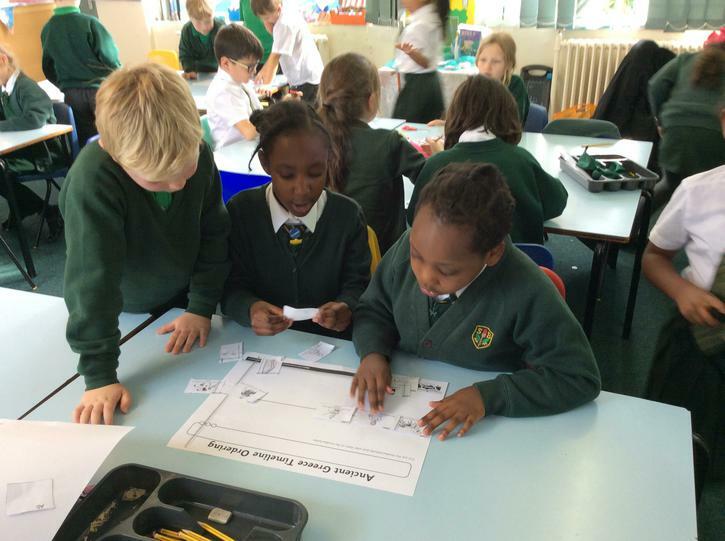 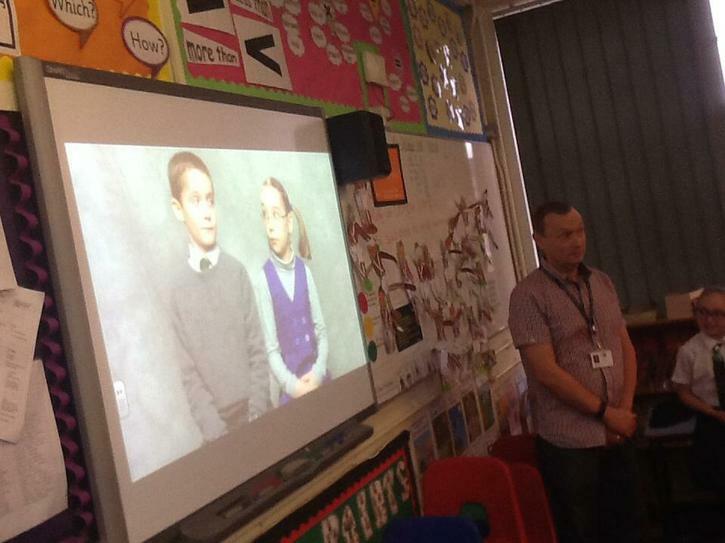 Year 3 were joined by their parents and family members for their Inspire workshop. 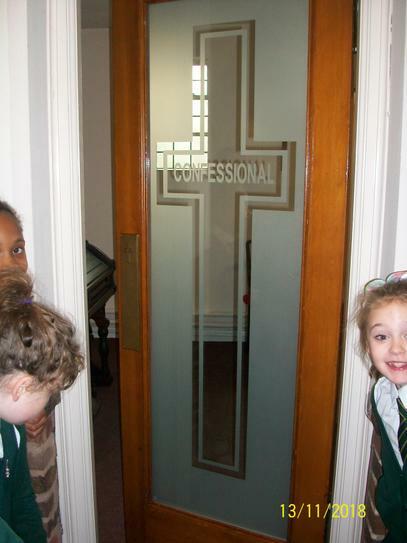 We learned about the Sacrament of Reconciliation and First Holy Communion. 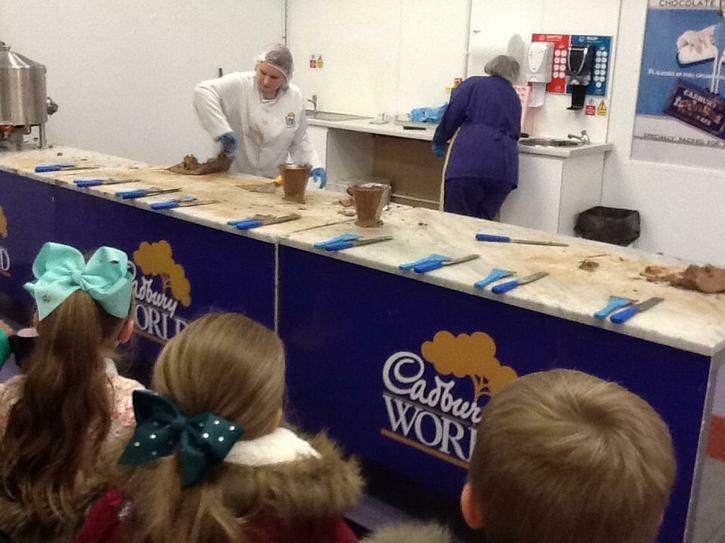 Thank you to all those who braved the wet weather; we hope you enjoyed your afternoon. 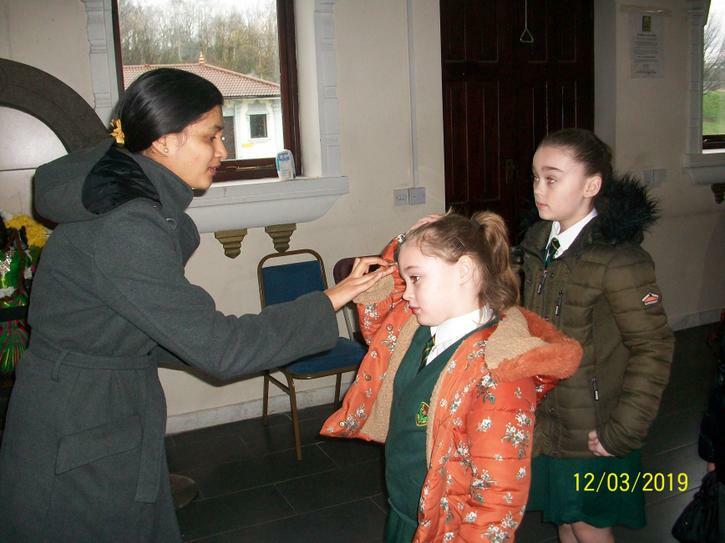 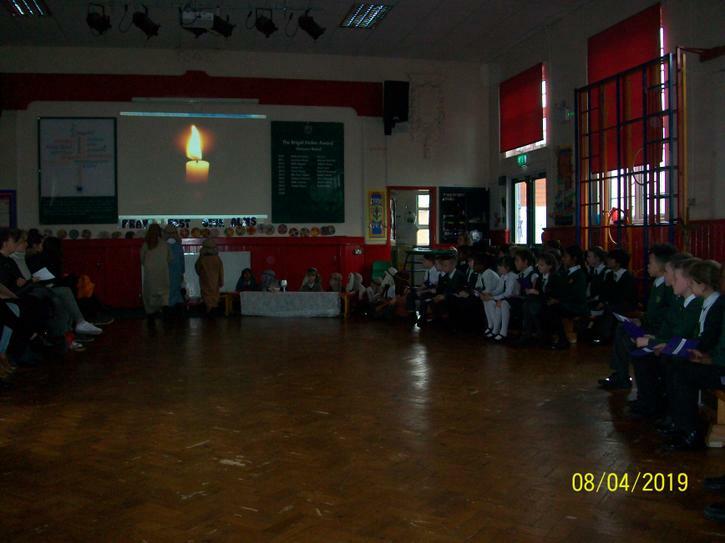 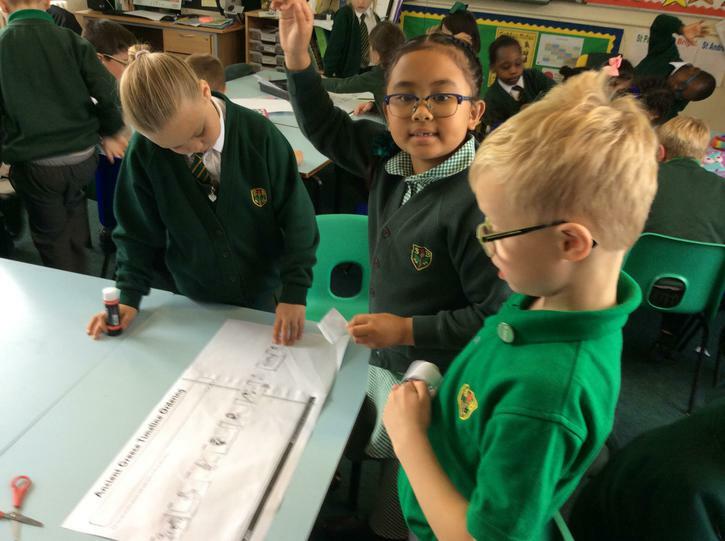 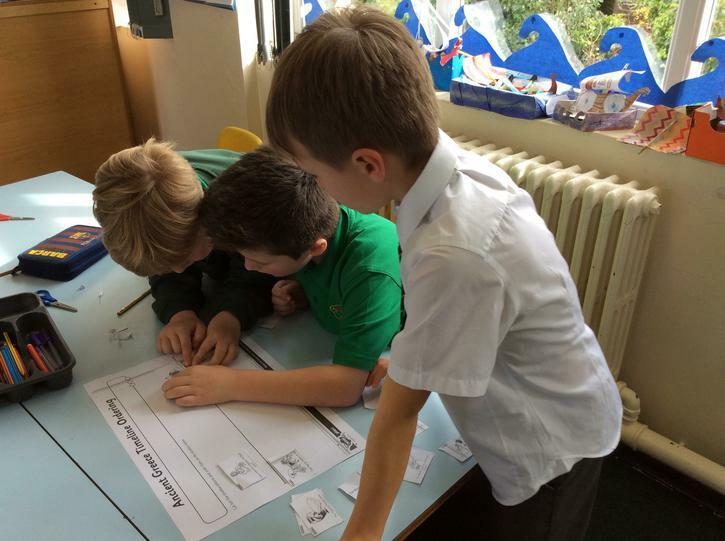 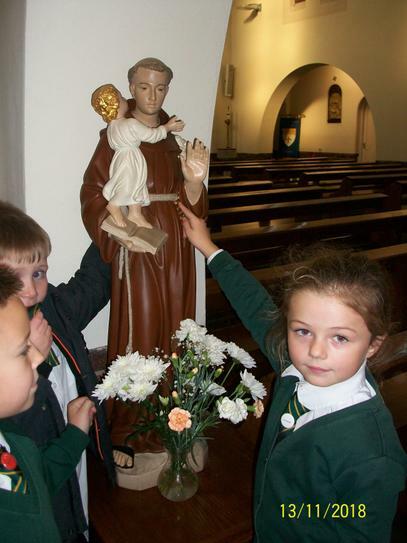 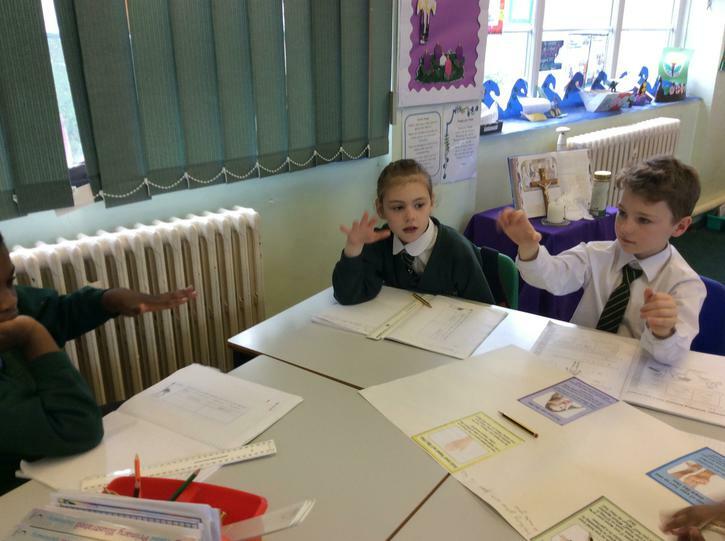 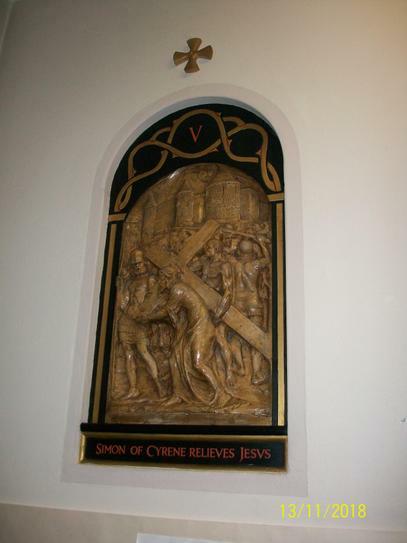 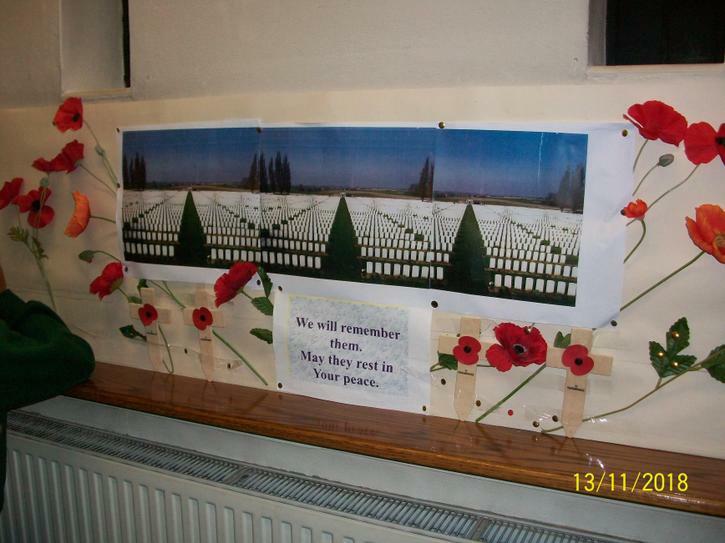 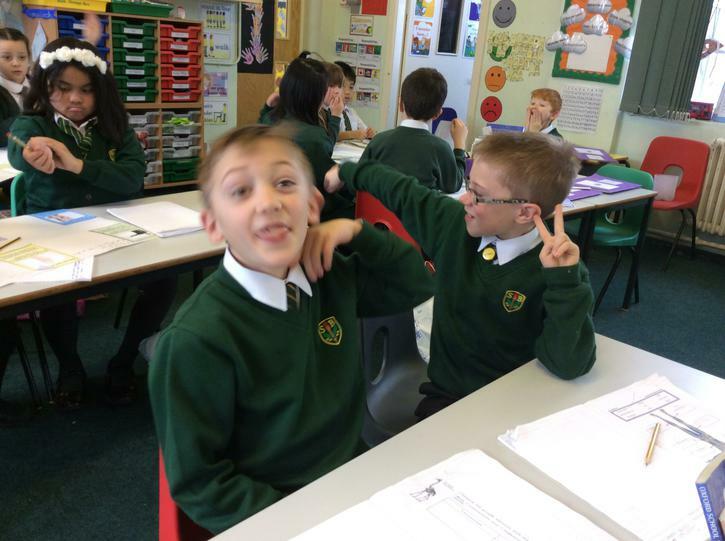 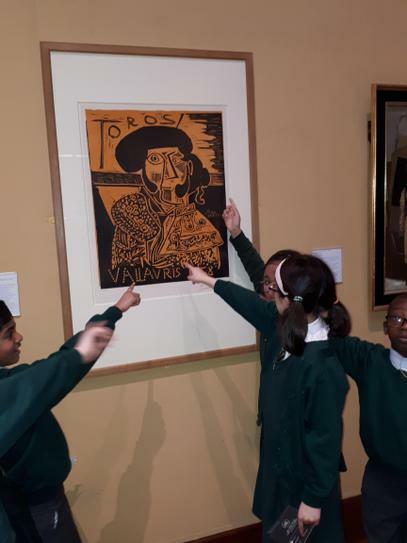 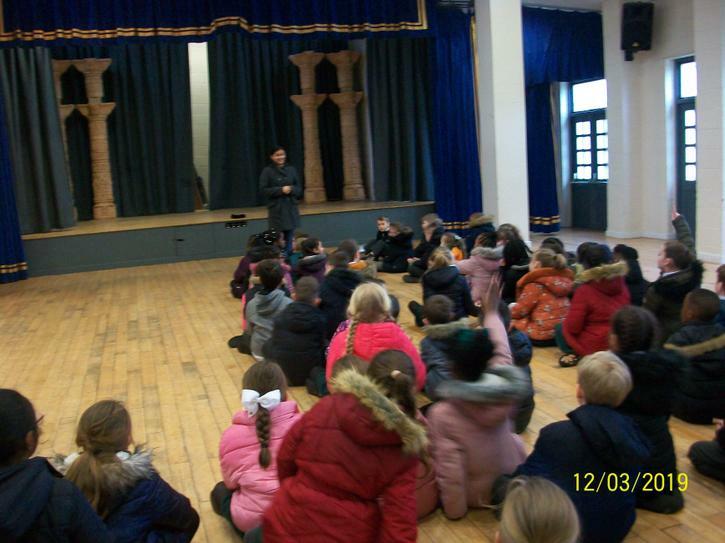 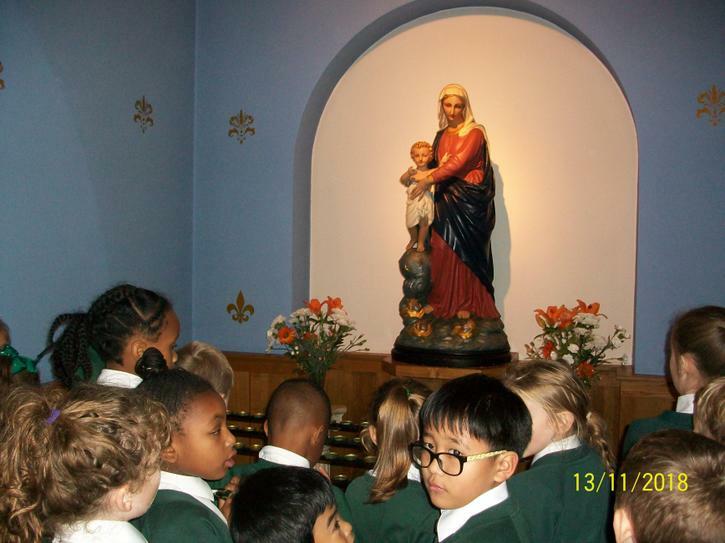 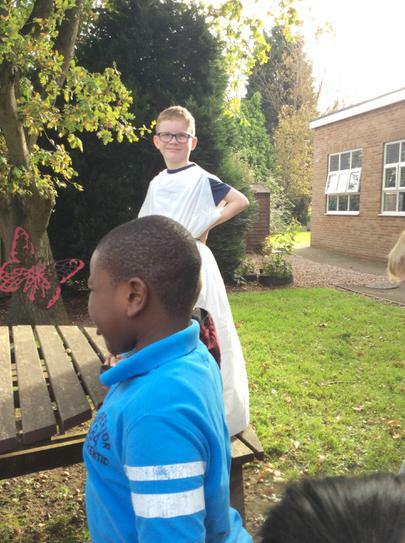 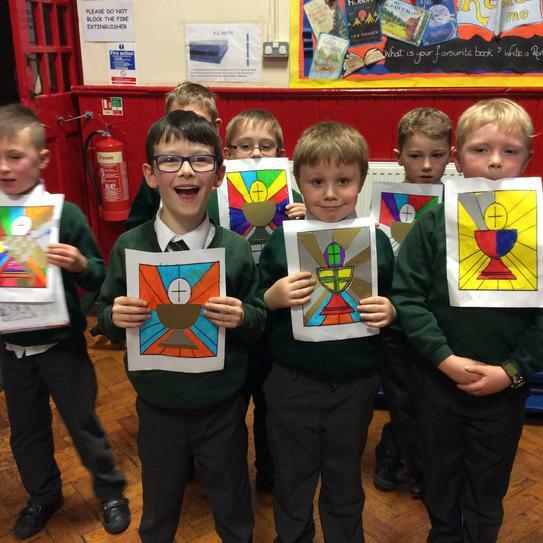 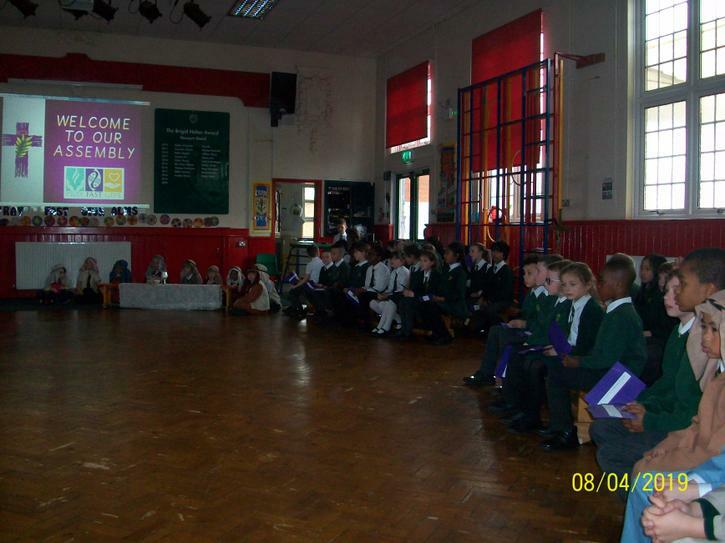 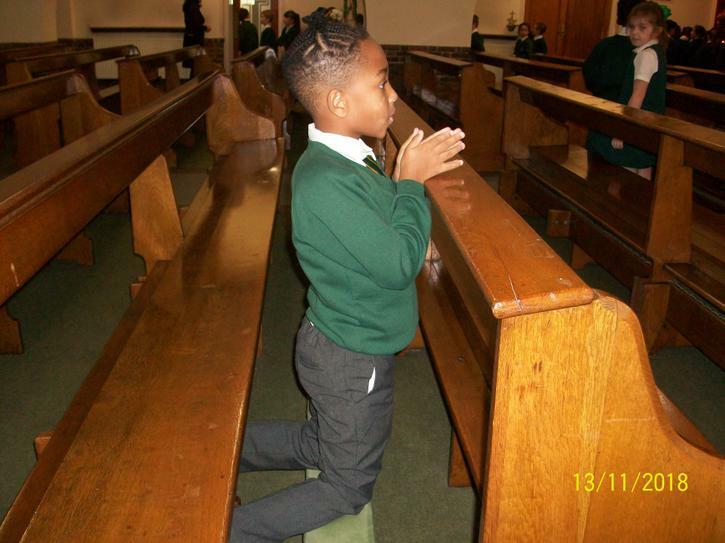 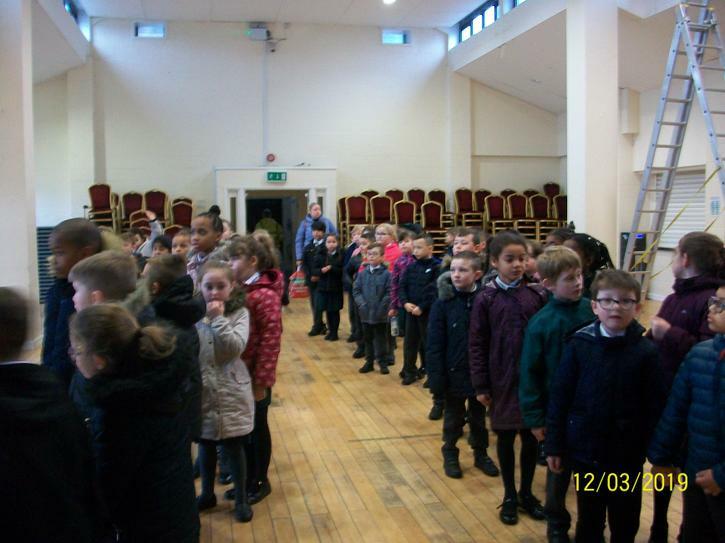 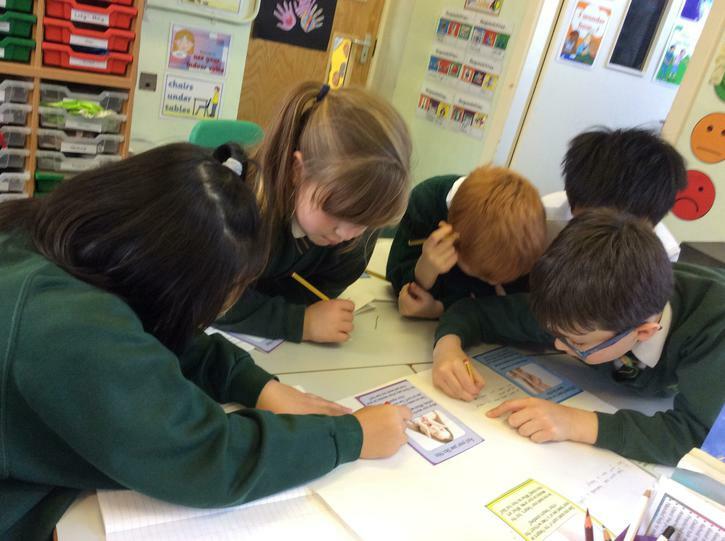 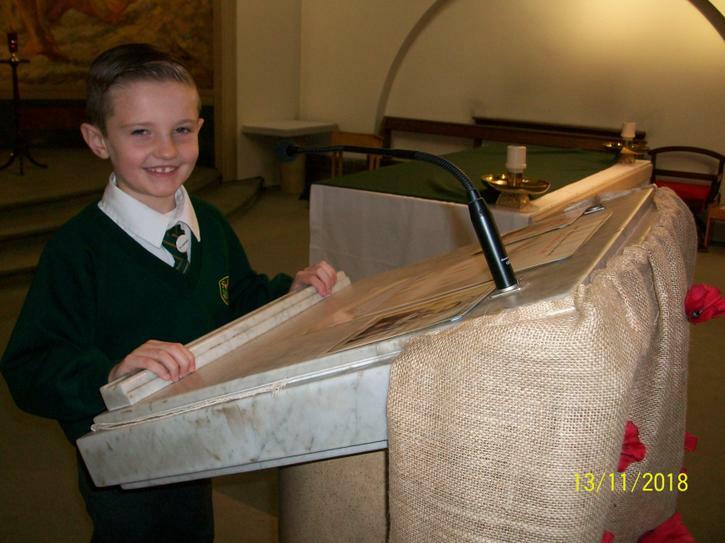 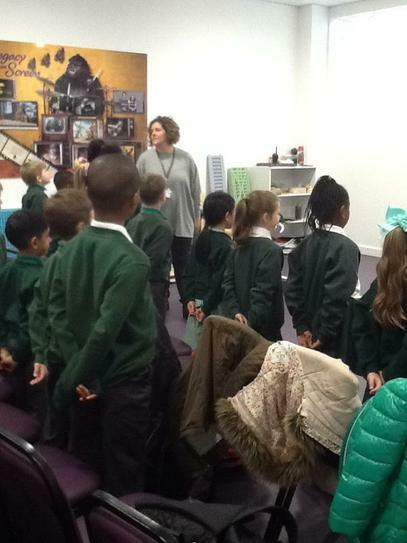 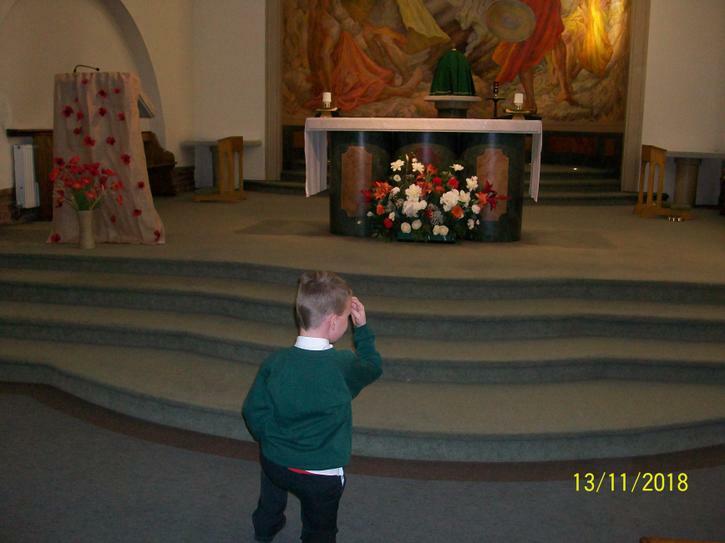 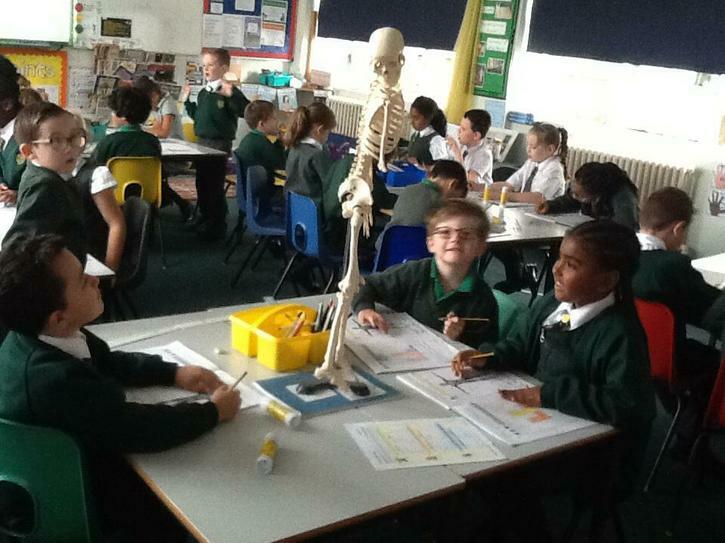 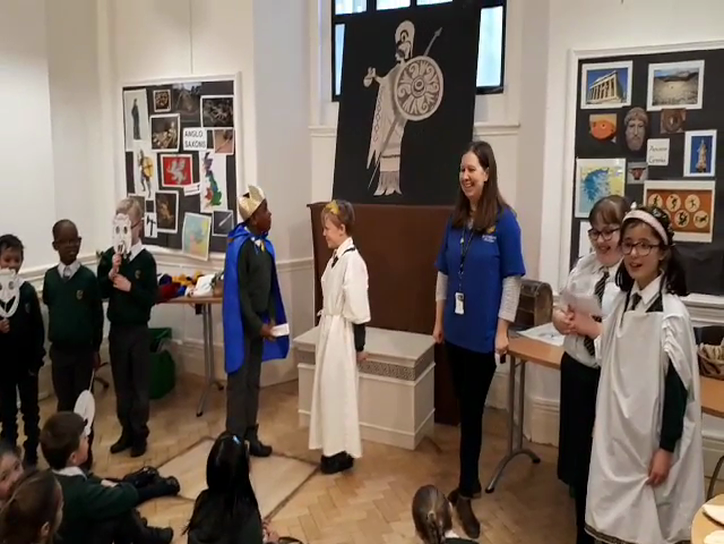 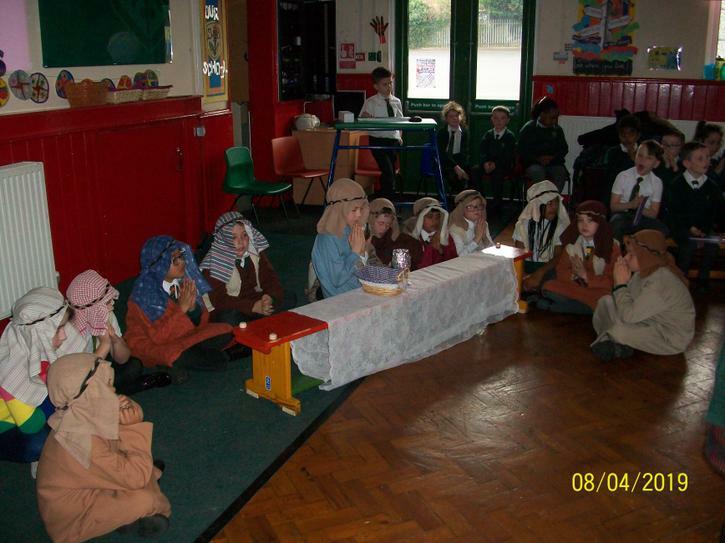 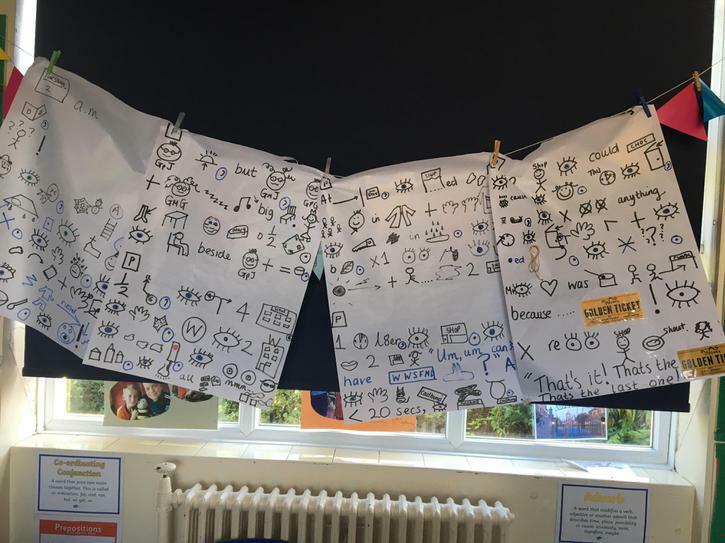 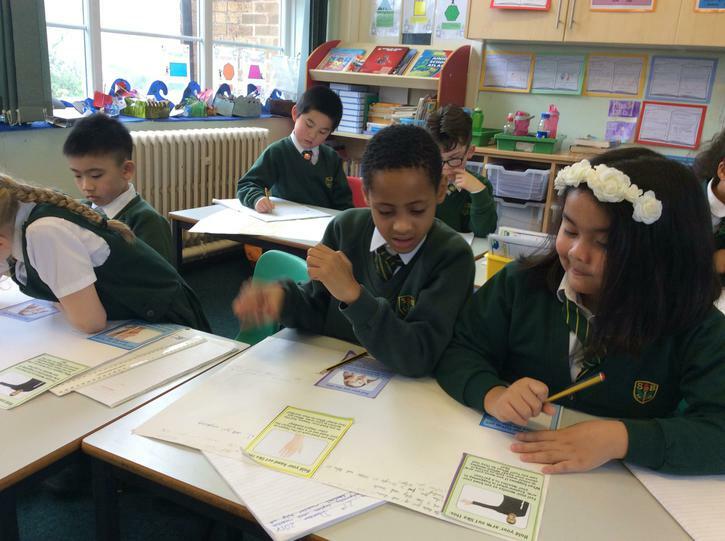 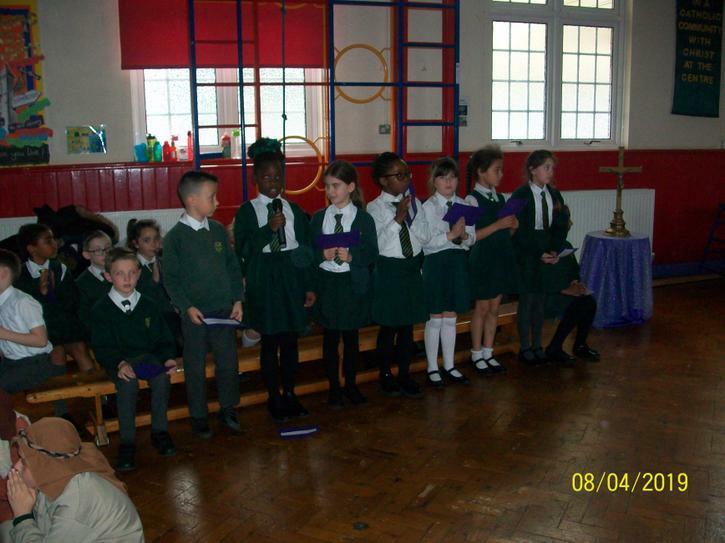 On Tuesday 13th November, Year 3 went to church to explore the signs and symbols of prayer. 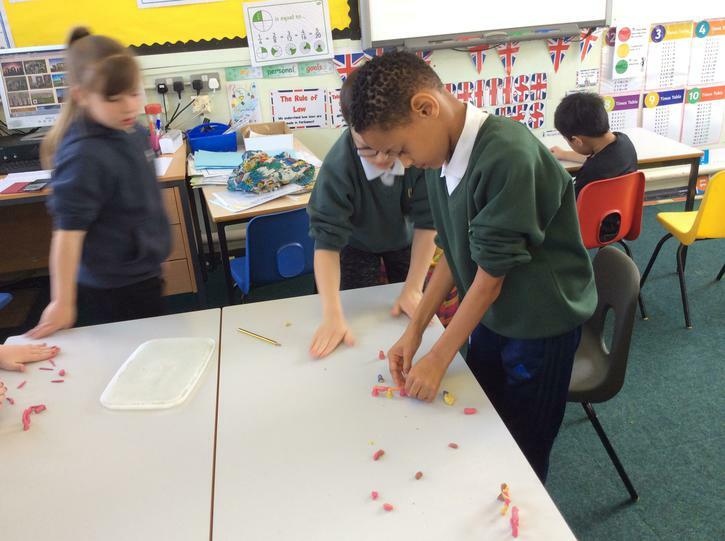 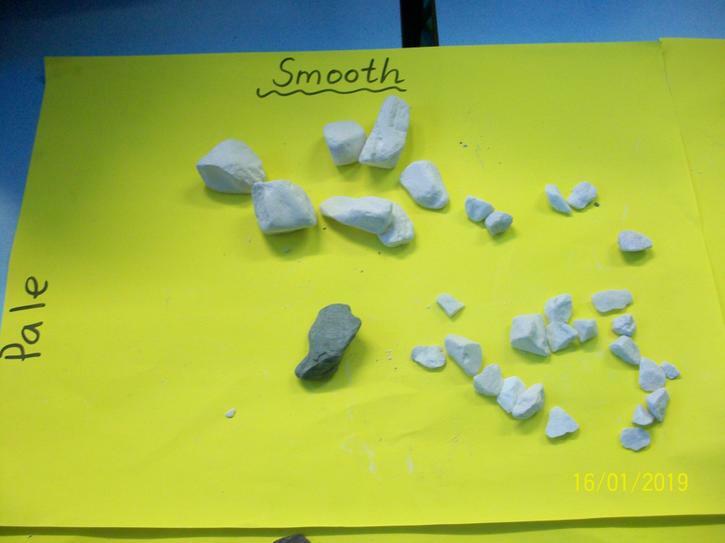 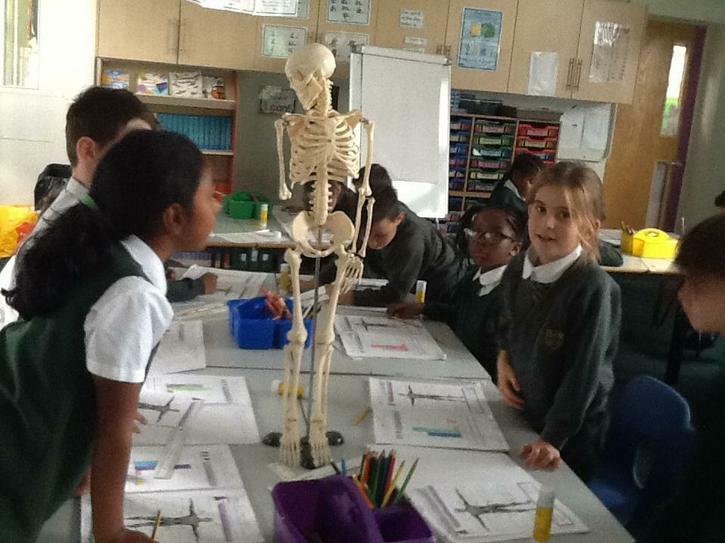 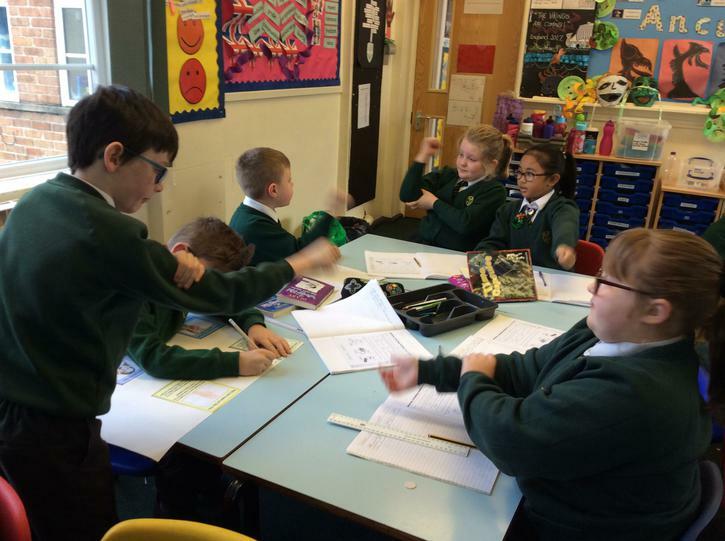 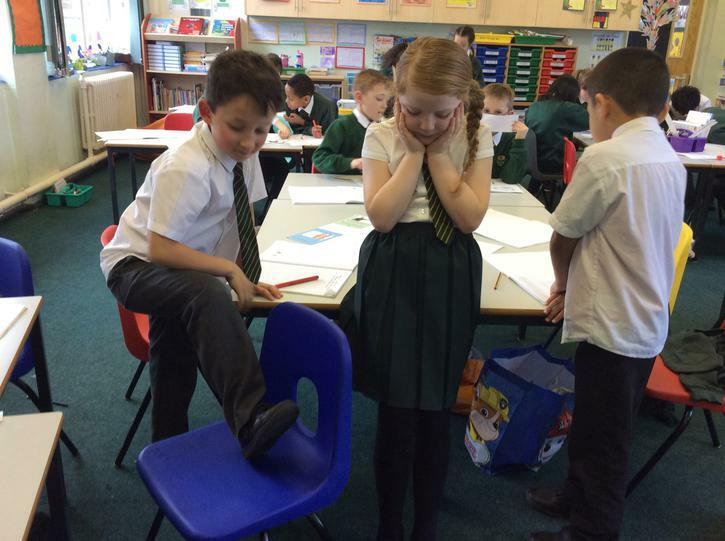 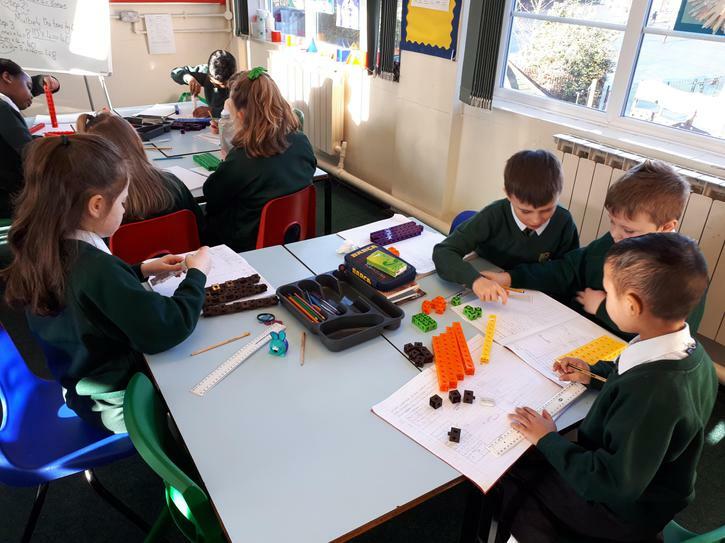 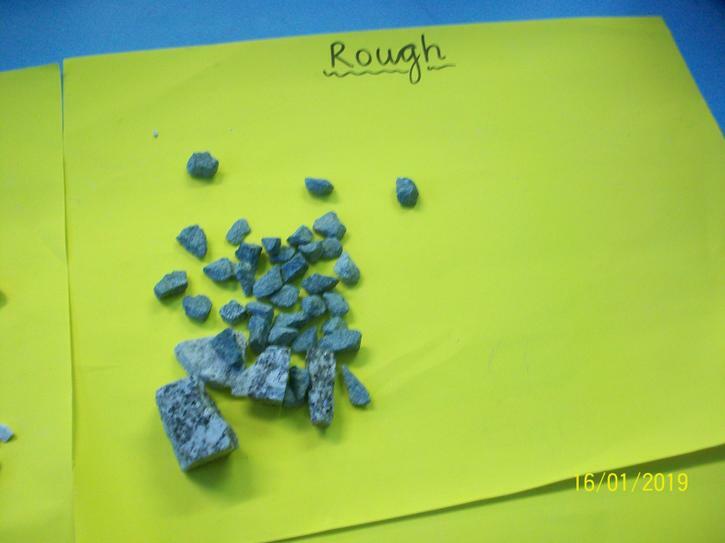 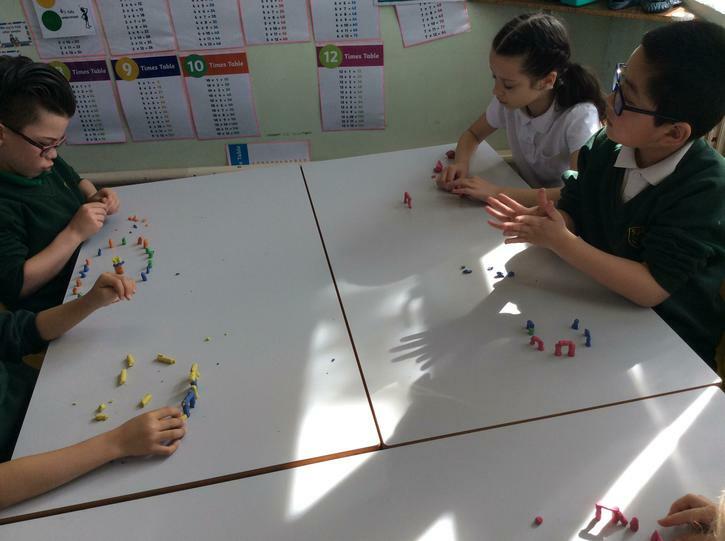 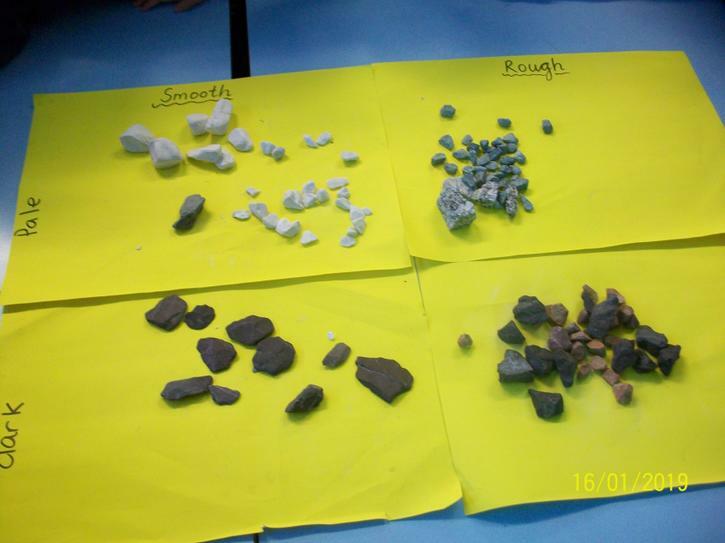 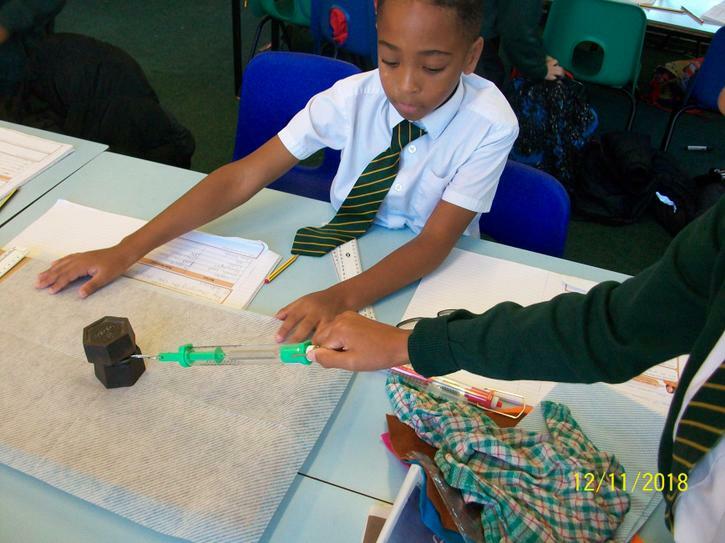 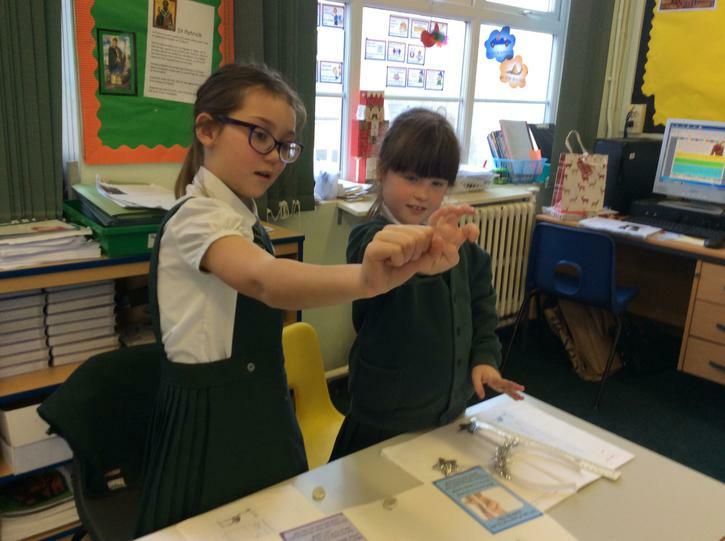 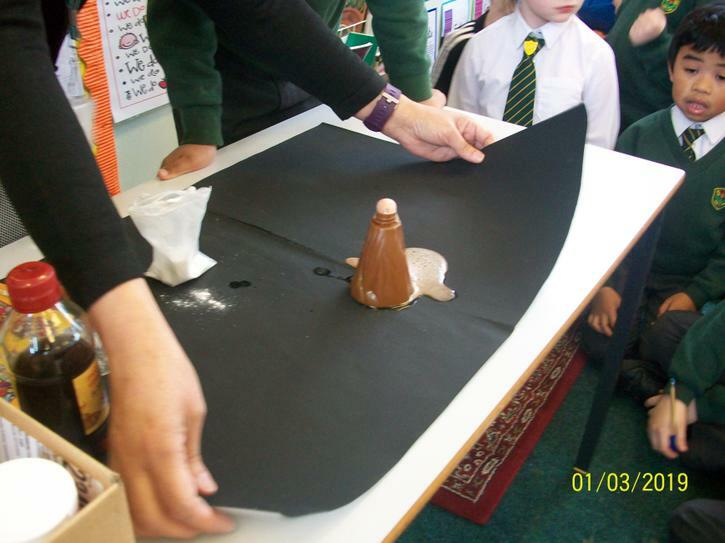 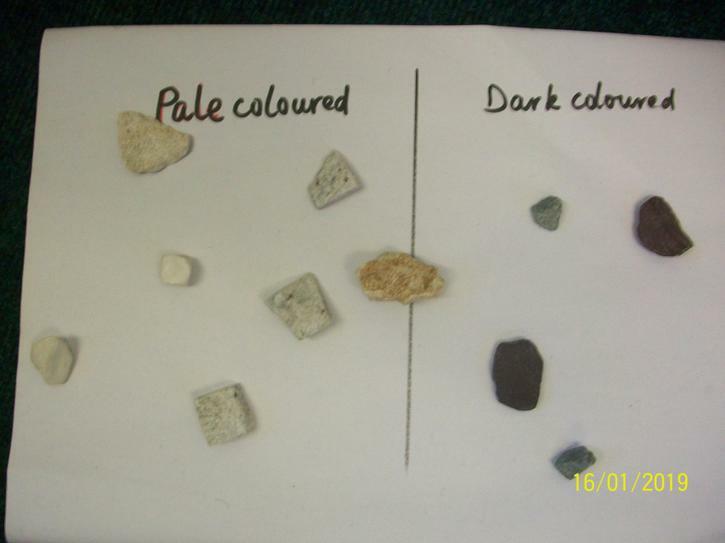 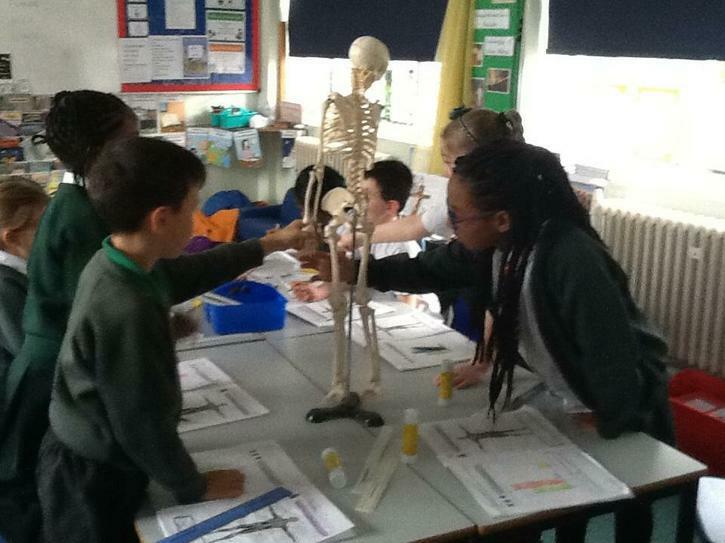 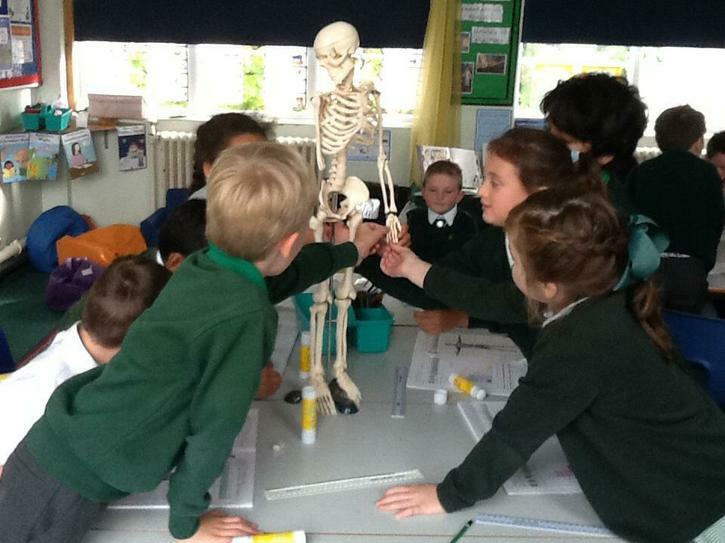 We carried out an investigation about the amount of force it takes to move an object over different surfaces. 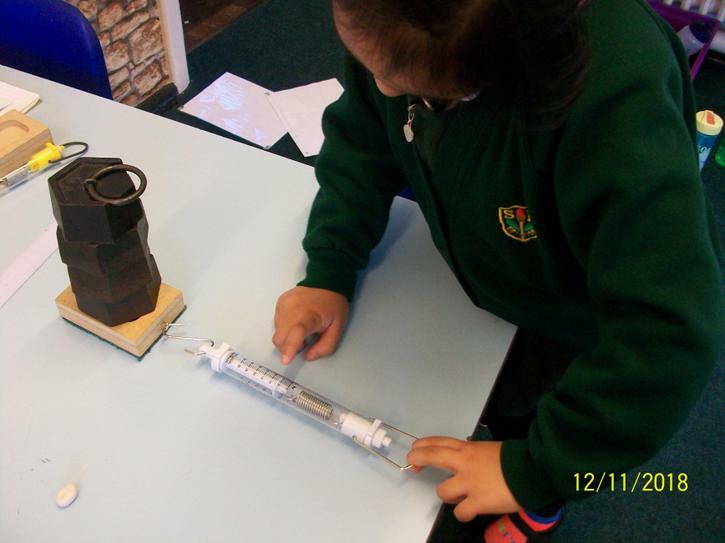 We measured the force in Newtons. 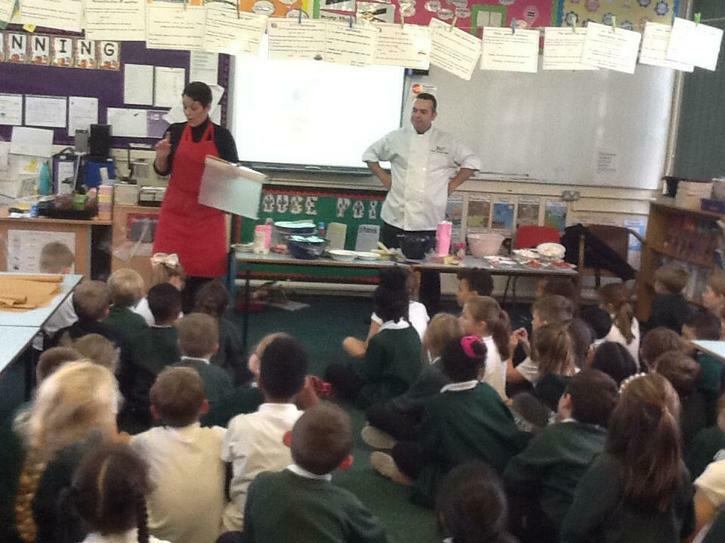 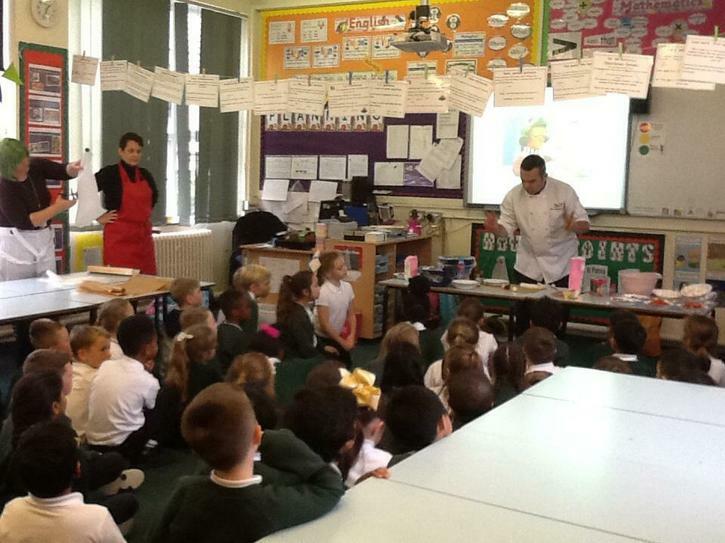 Today we had a visit from Pasty Chef's Paul and Laura. 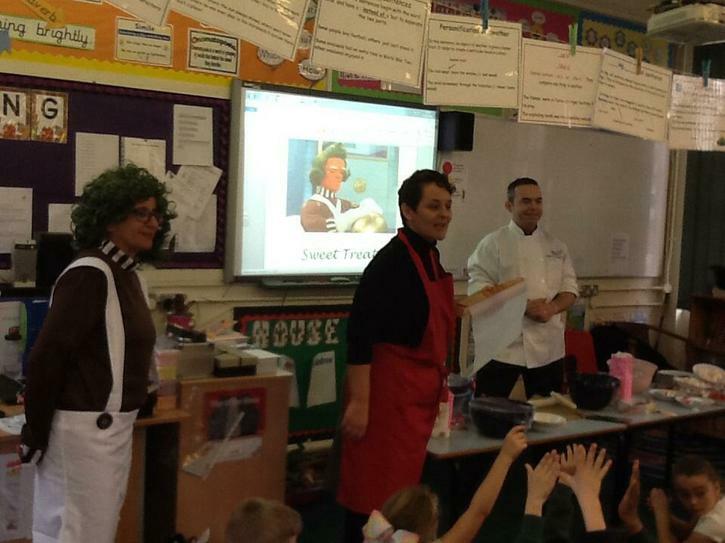 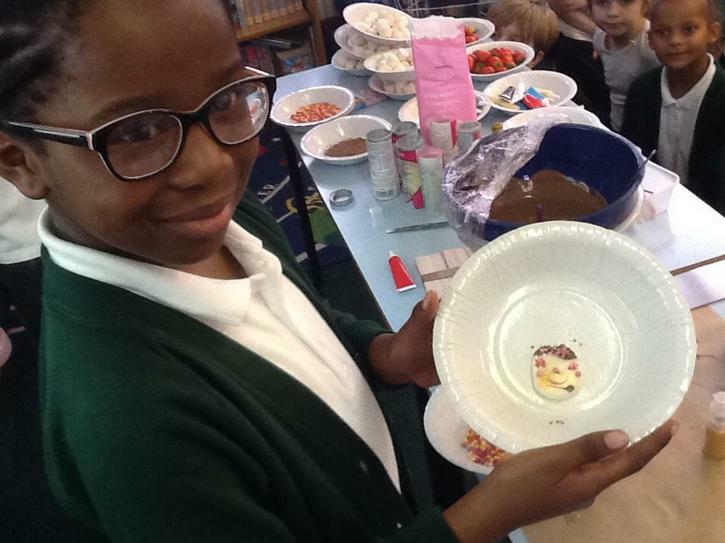 We had to compete in a scrumdiddlyumptious challenge and make our own sweet treats. 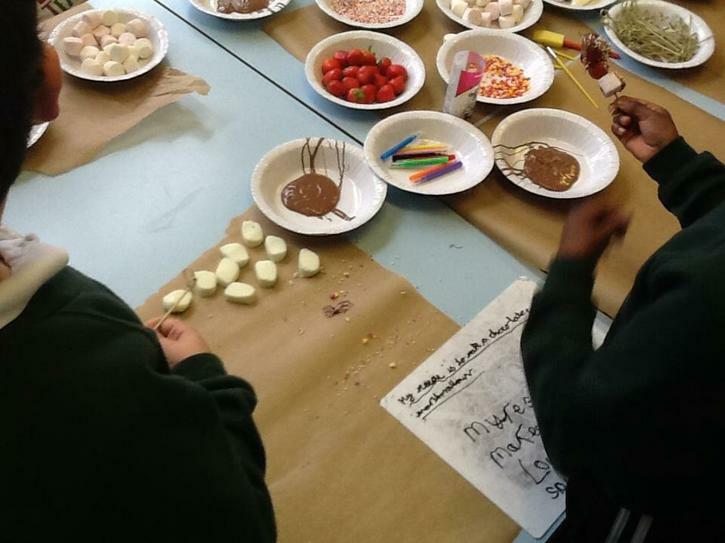 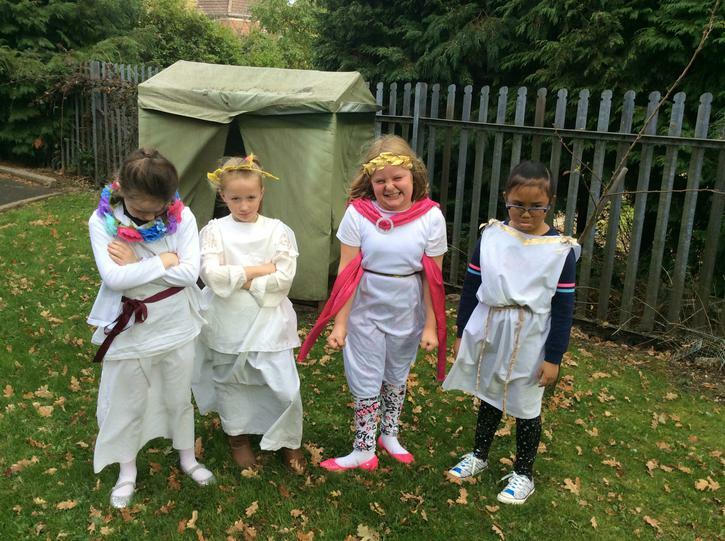 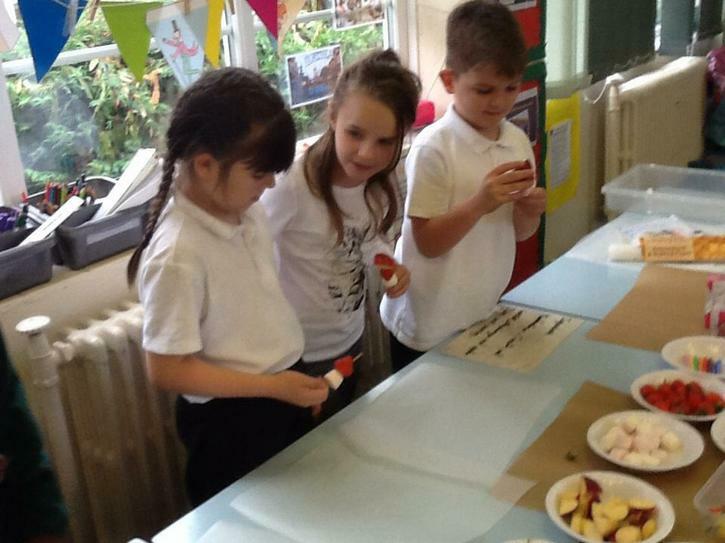 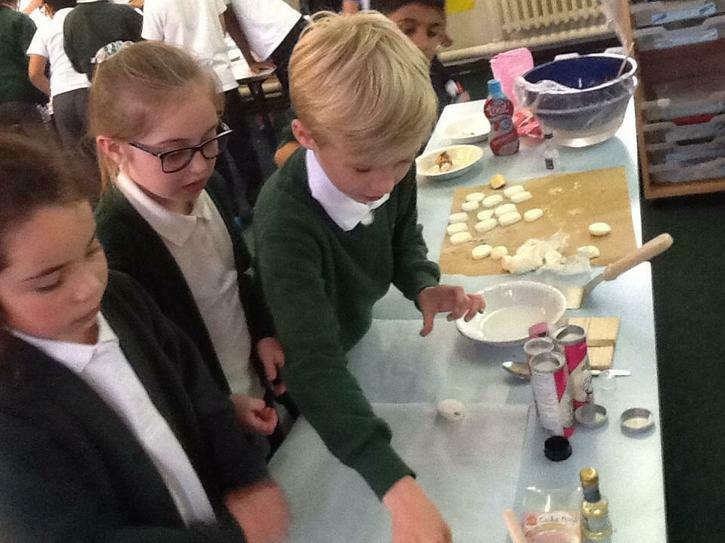 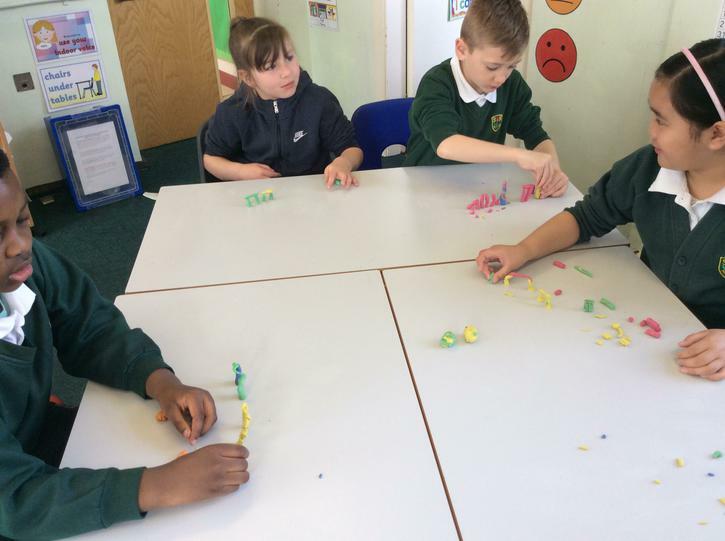 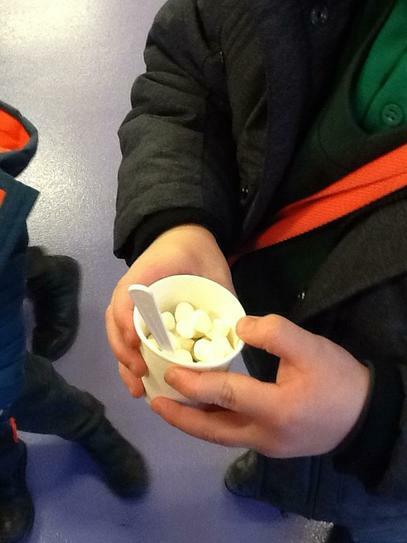 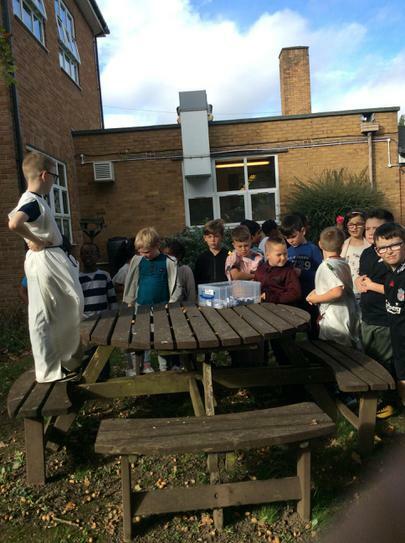 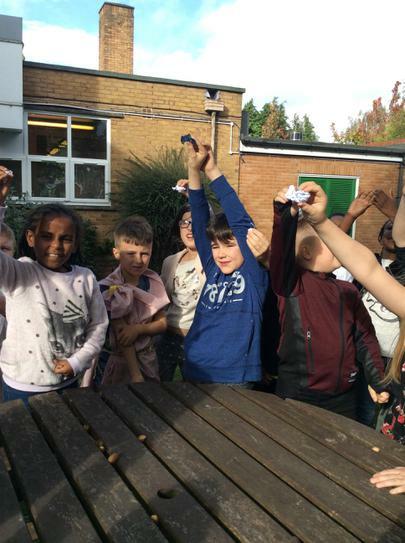 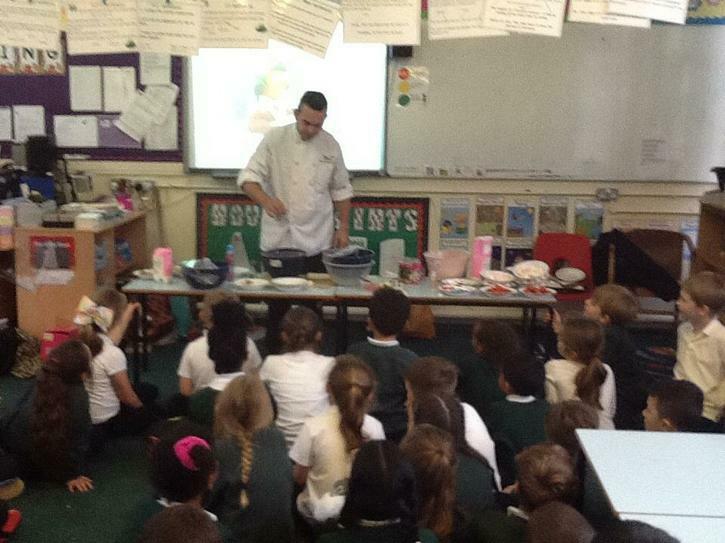 We watched a demonstration then, working in groups, wrote our own set of instructions and then followed these step by step to create peppermint creams, fruit and pastry kebabs and marshmallow delights. 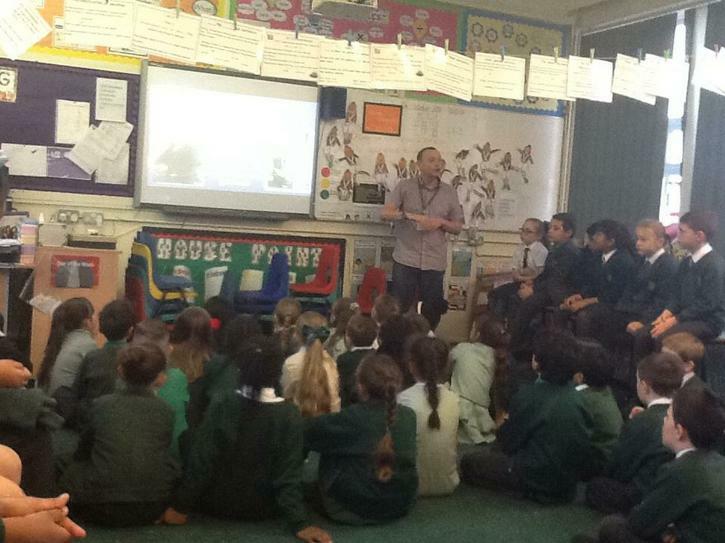 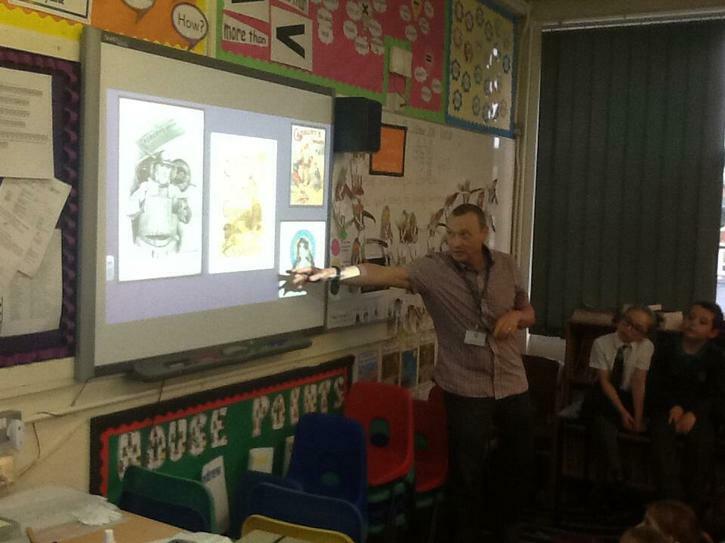 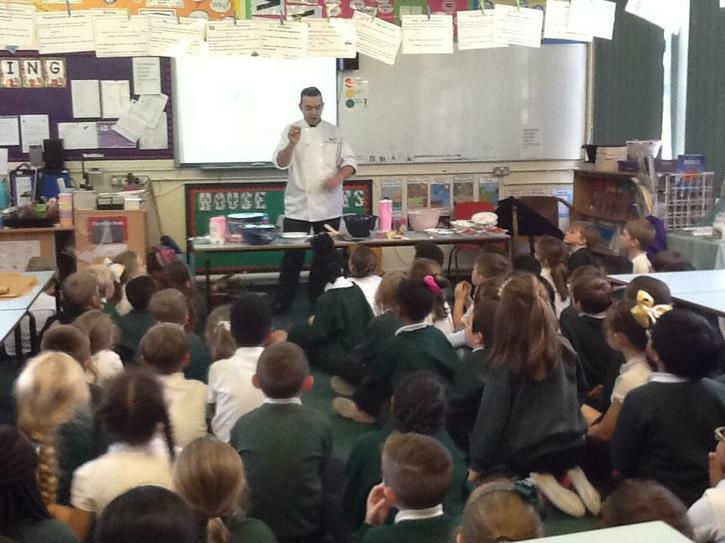 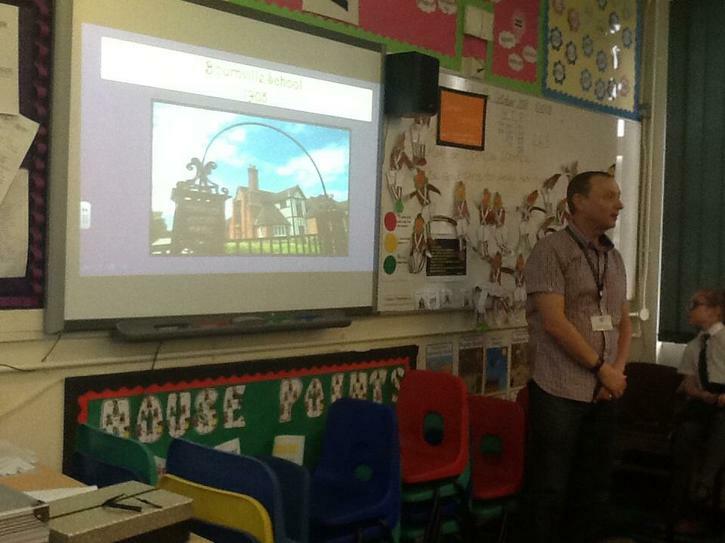 Today Mr Holmes came to talk to us about the history of the Cadbury Family and the Bournville area. 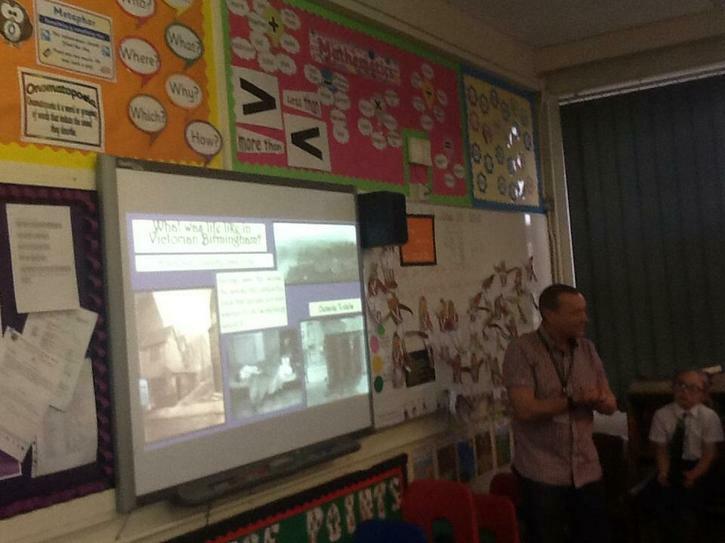 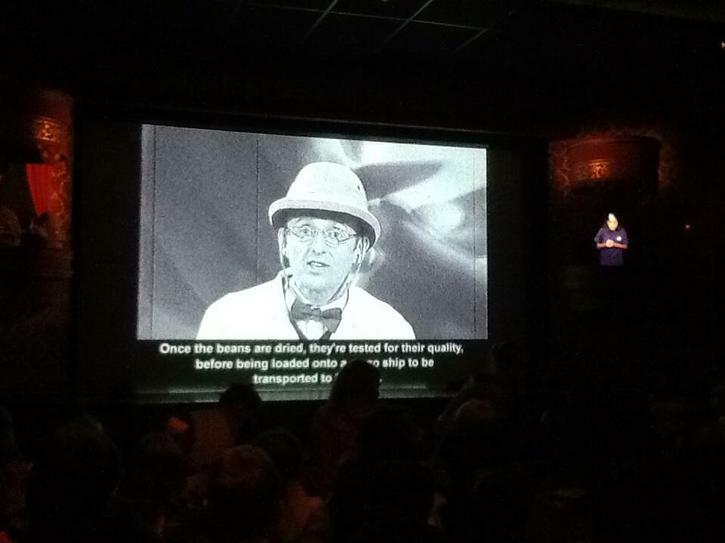 Thank you Mr Holmes! 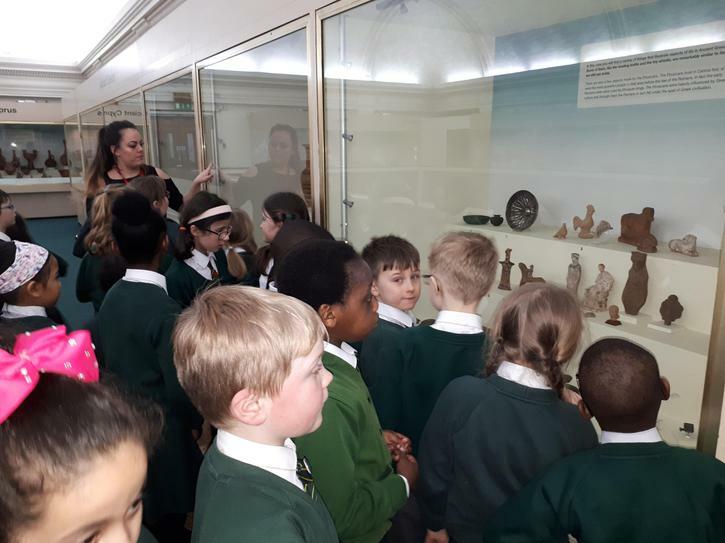 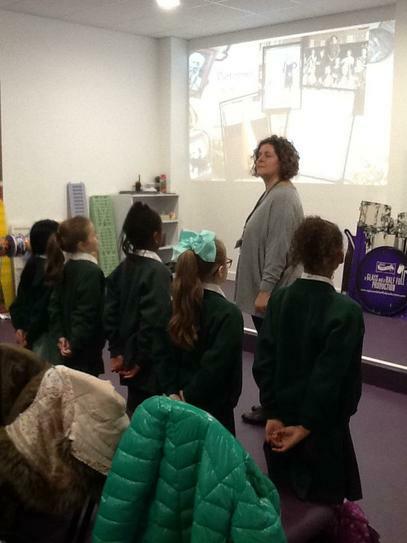 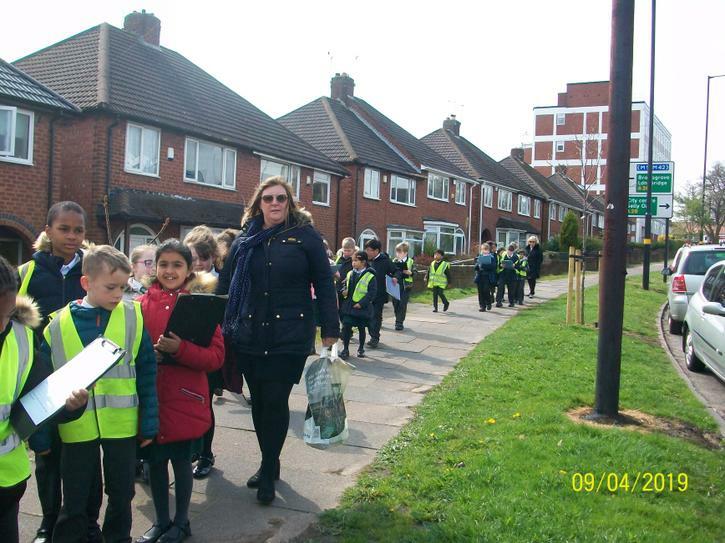 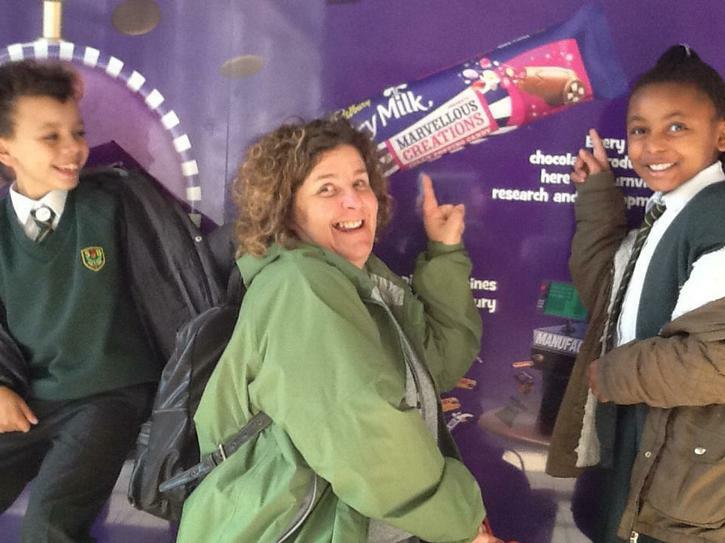 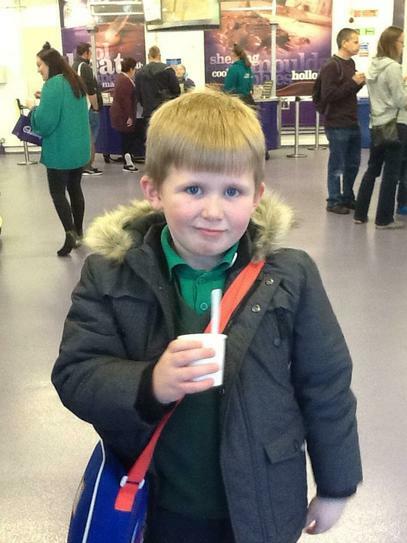 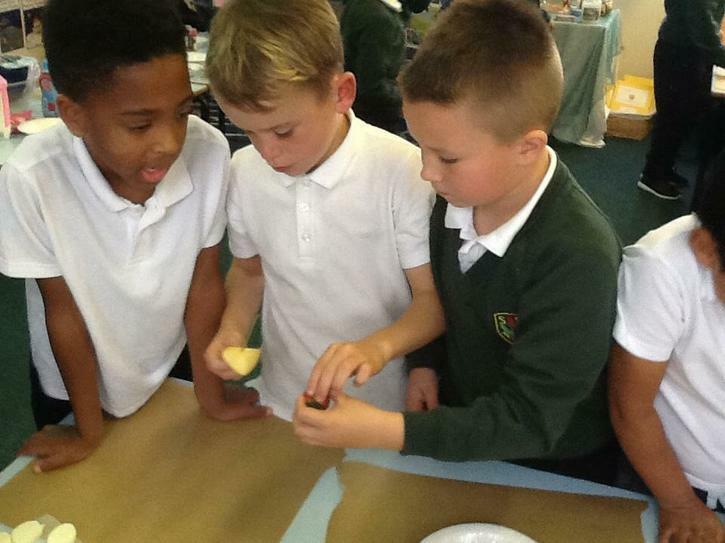 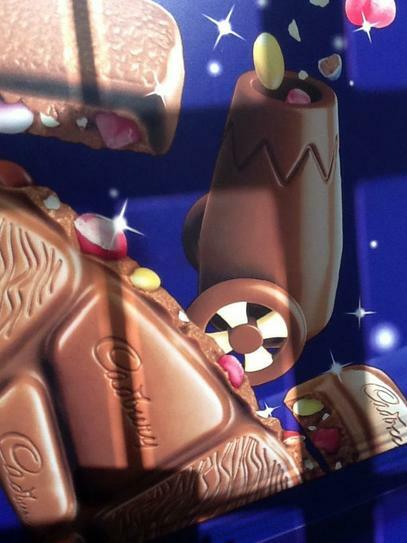 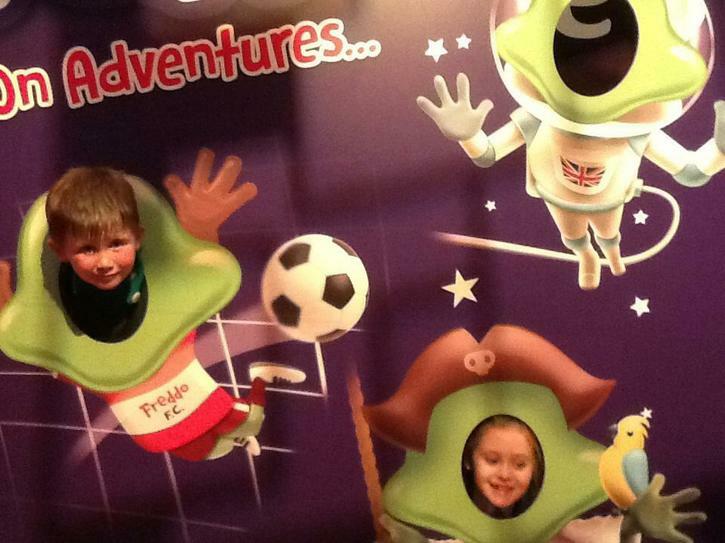 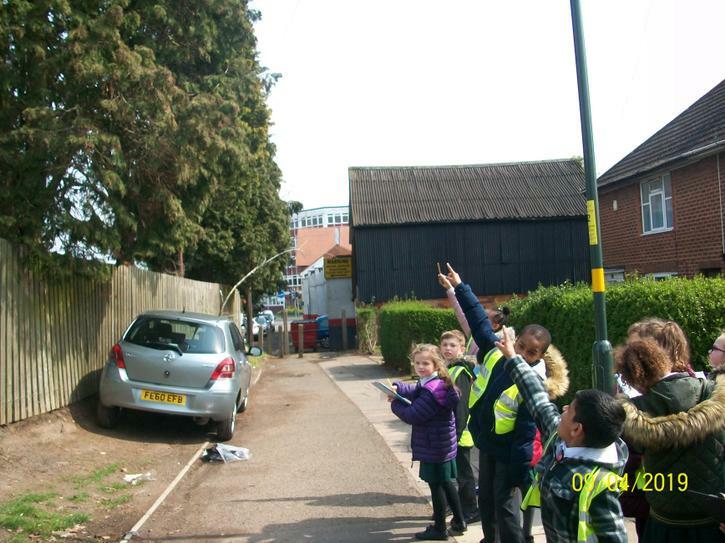 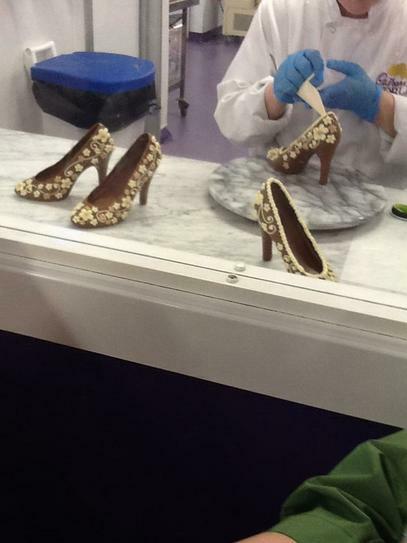 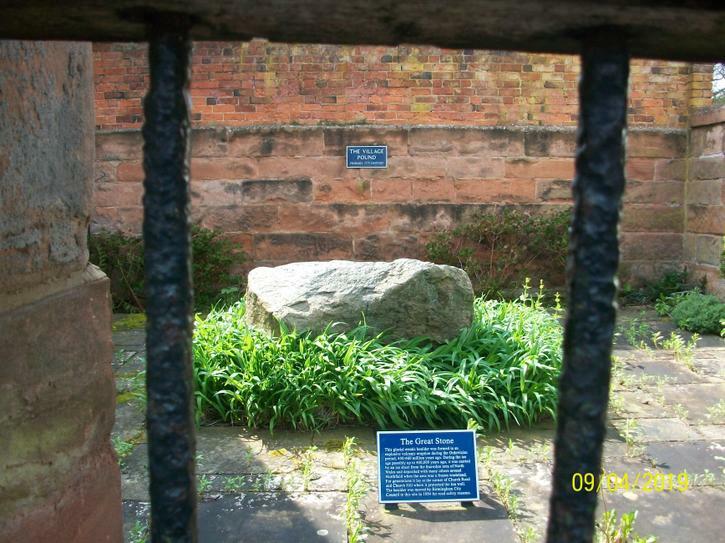 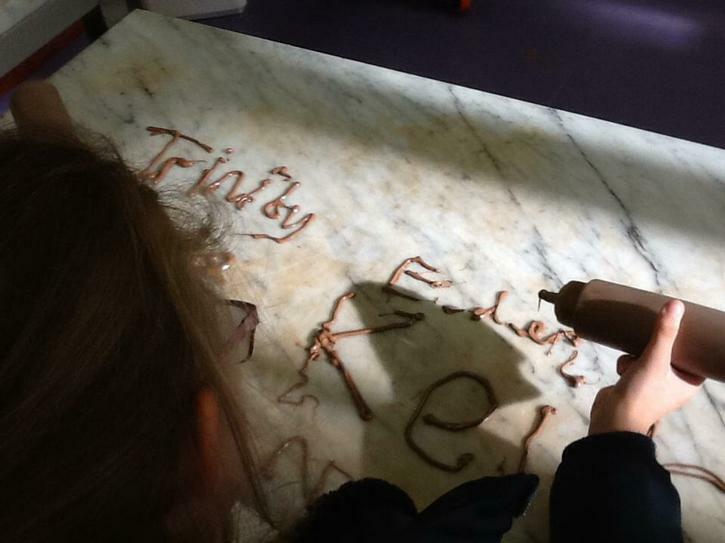 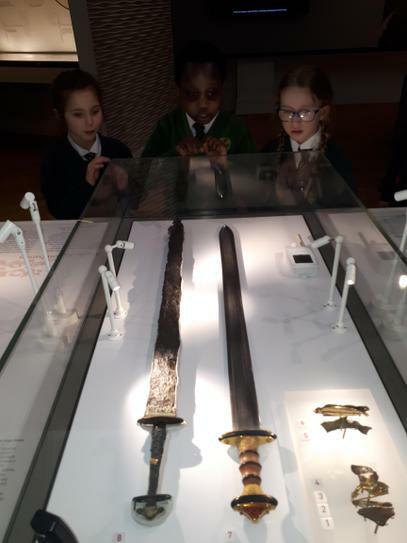 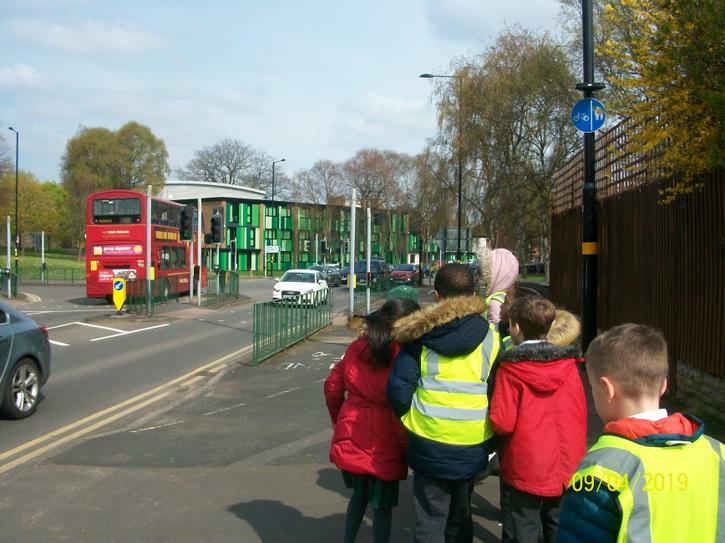 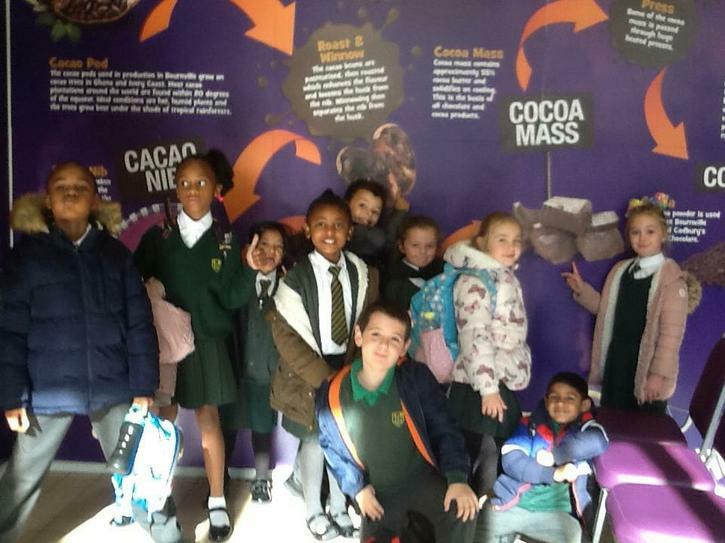 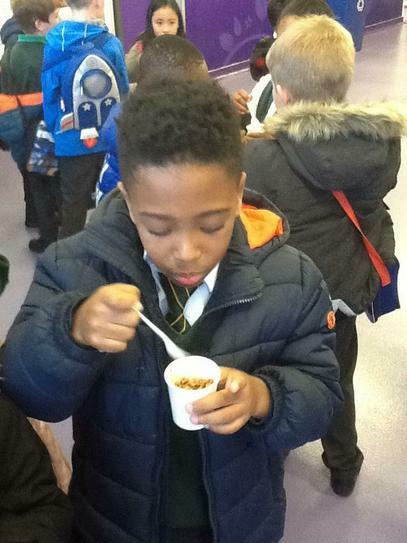 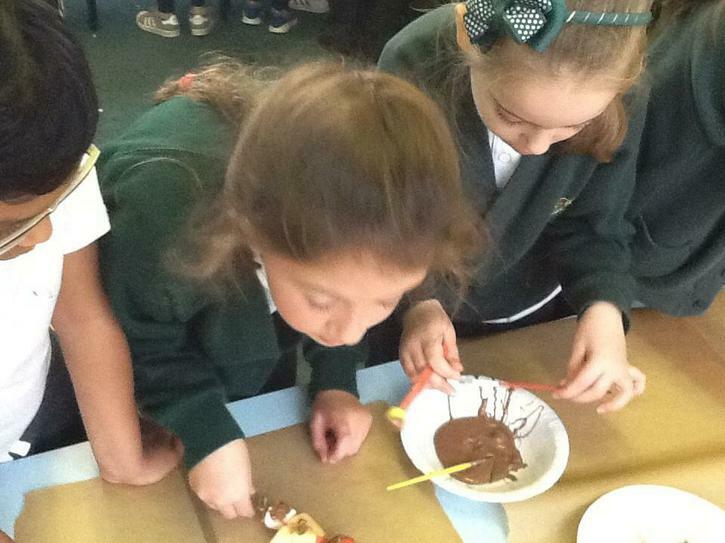 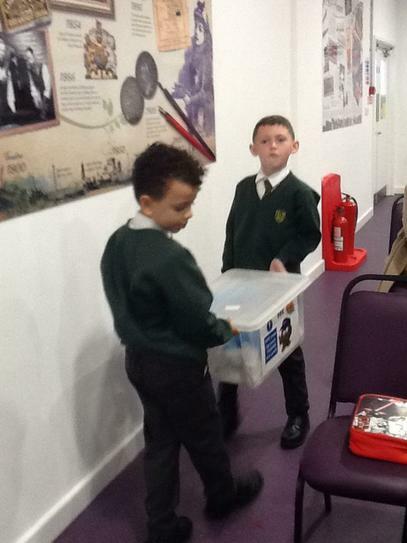 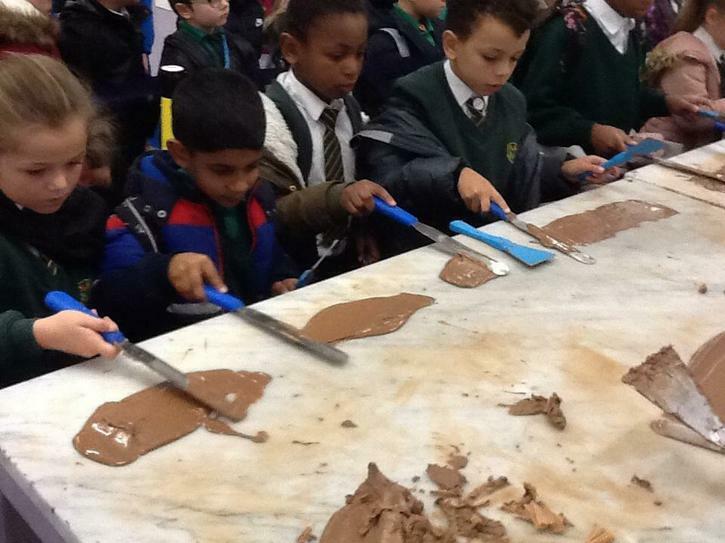 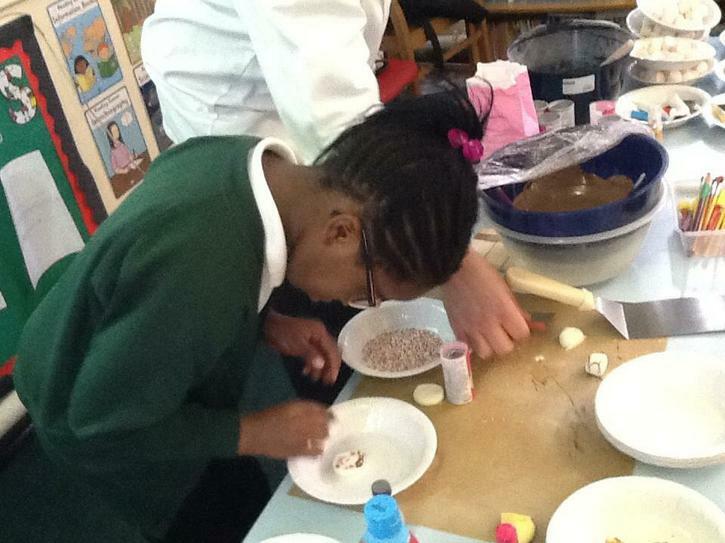 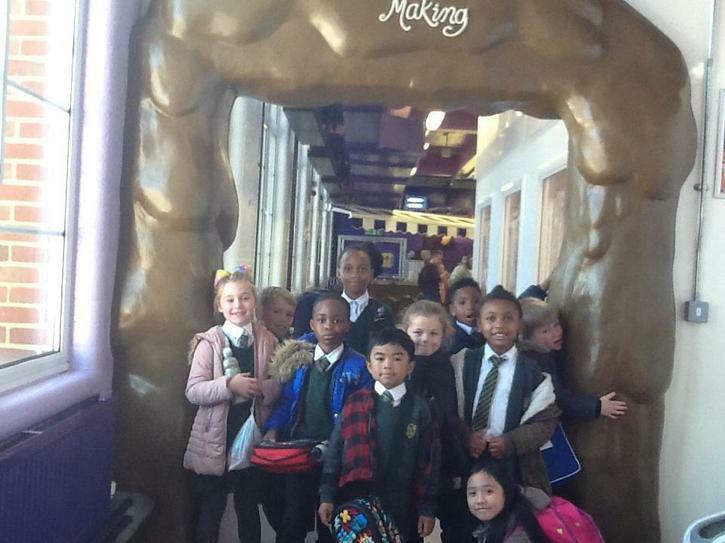 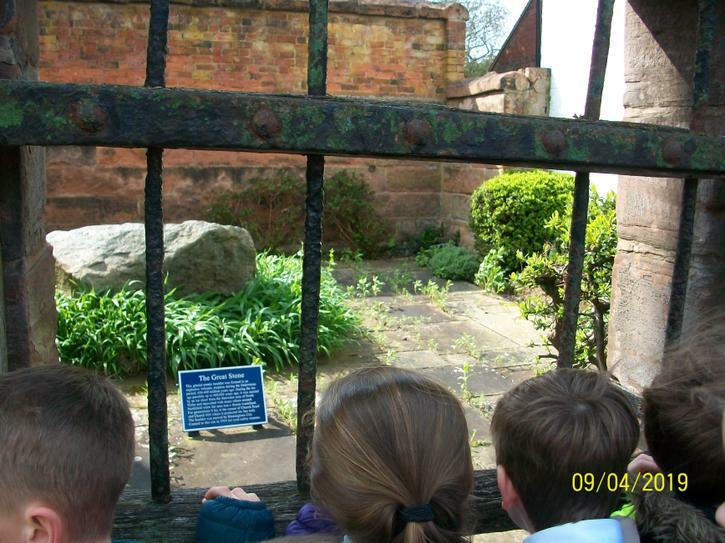 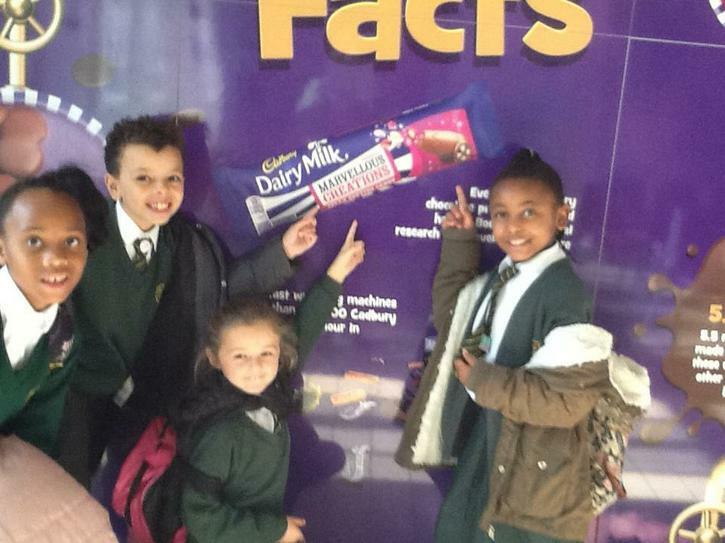 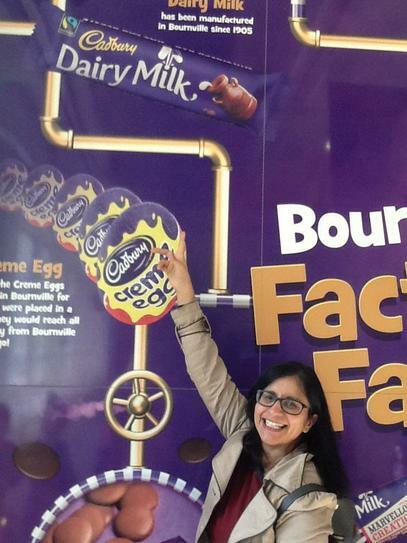 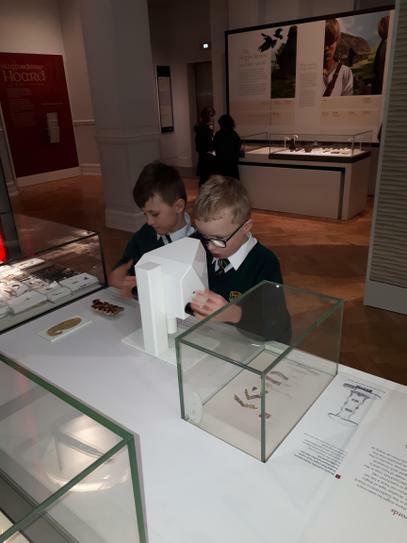 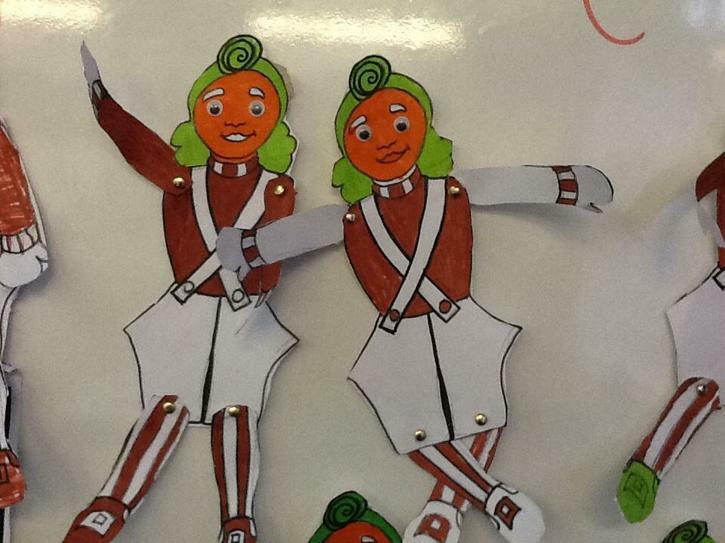 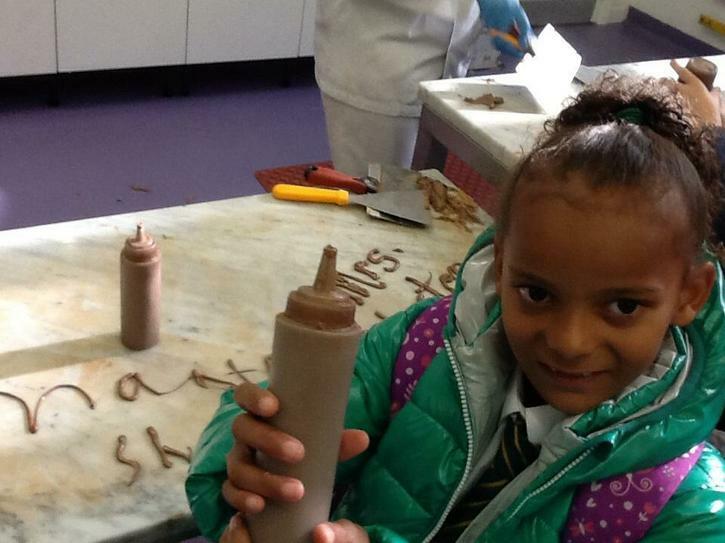 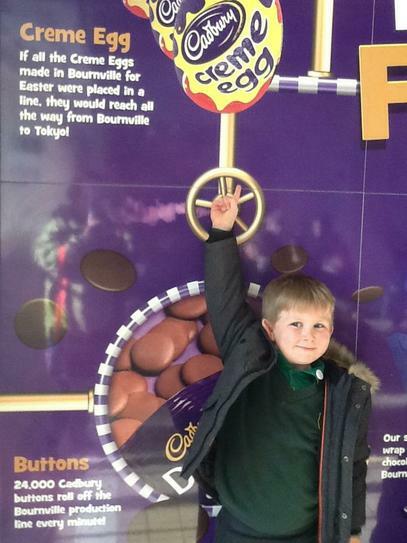 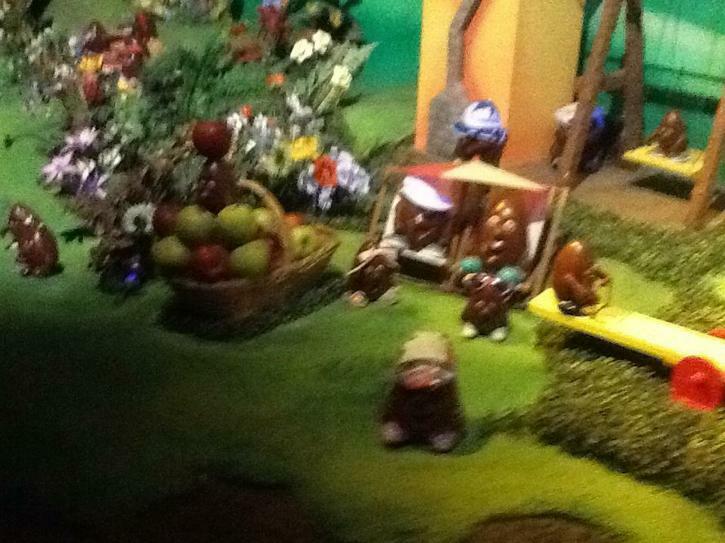 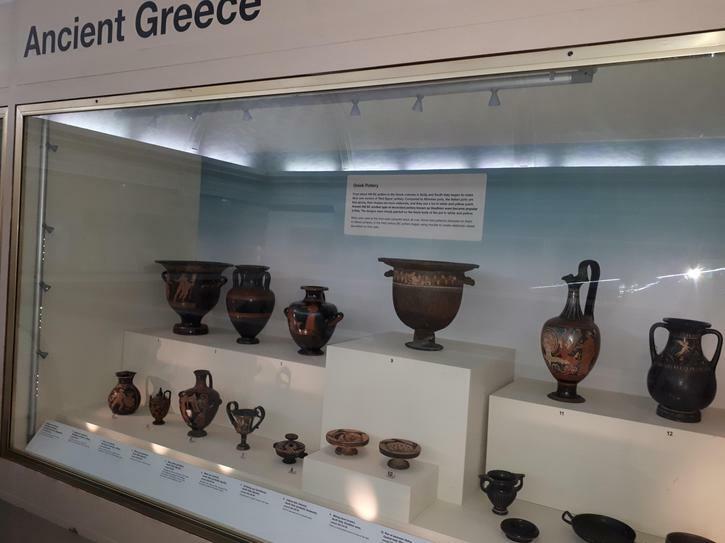 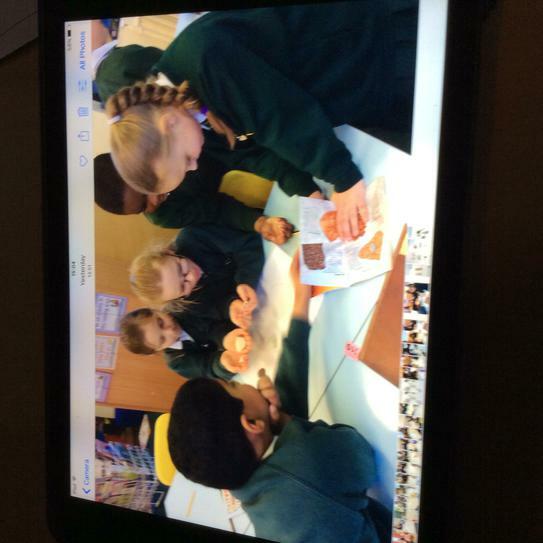 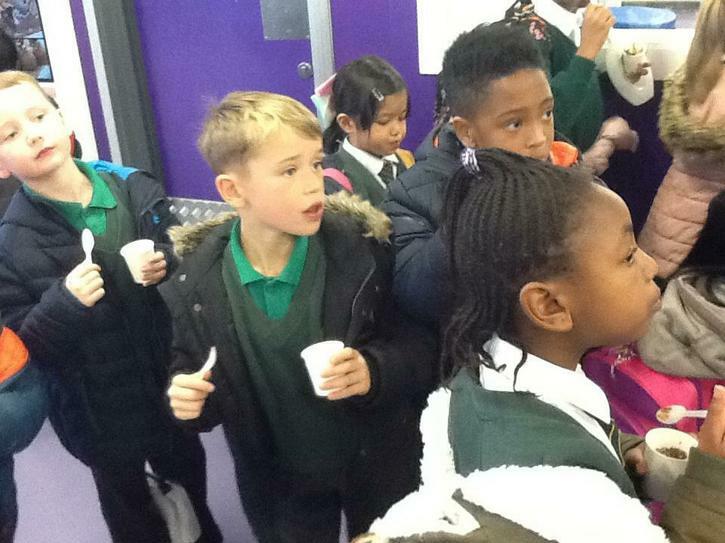 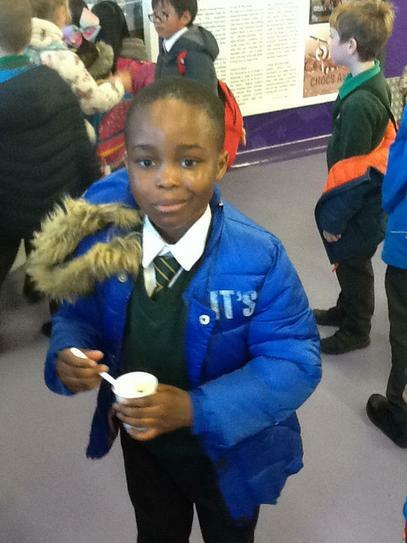 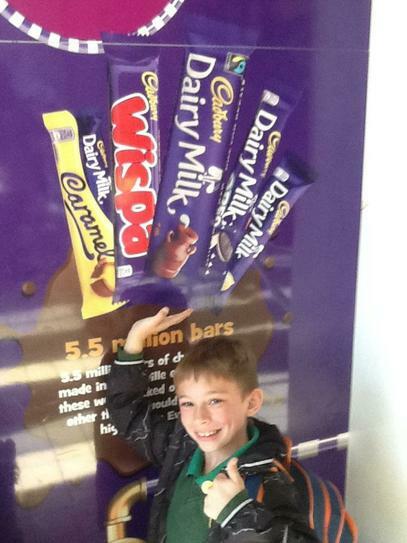 We loved finding out about the Cadbury Family – and enjoyed learning more about Bournville. 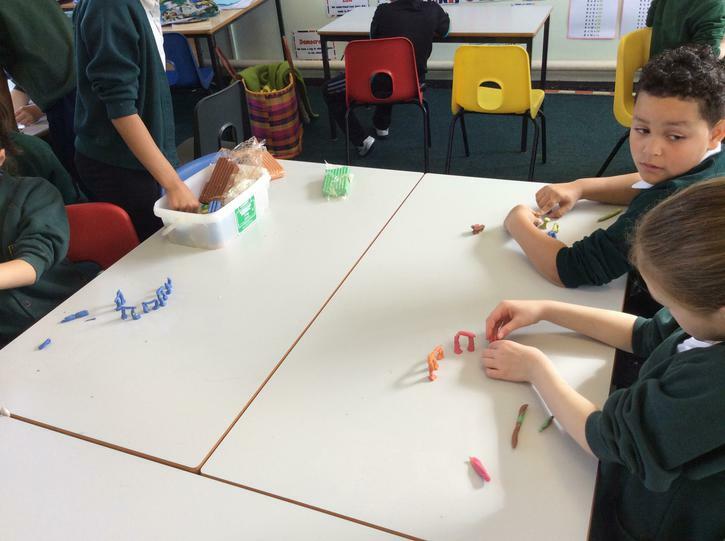 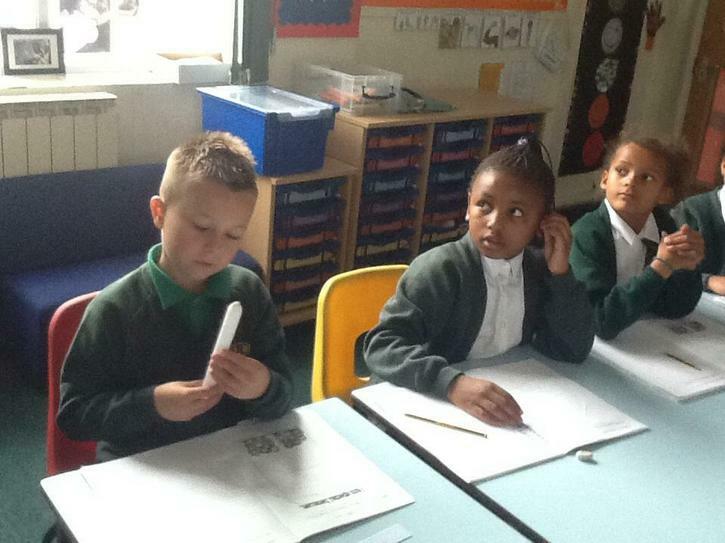 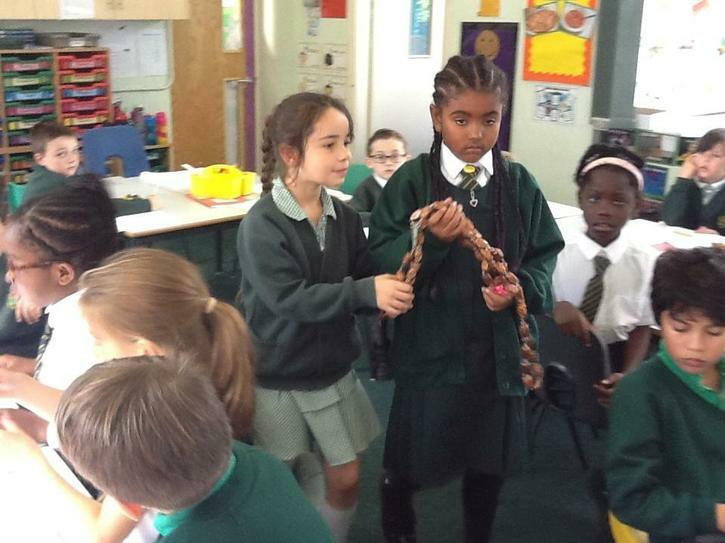 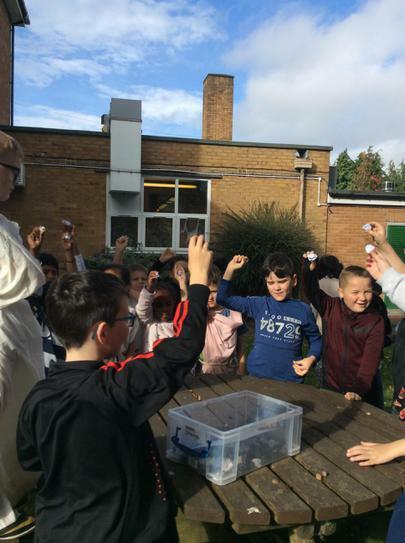 Today, during our RE lesson, we learnt that October is the month of Rosary. 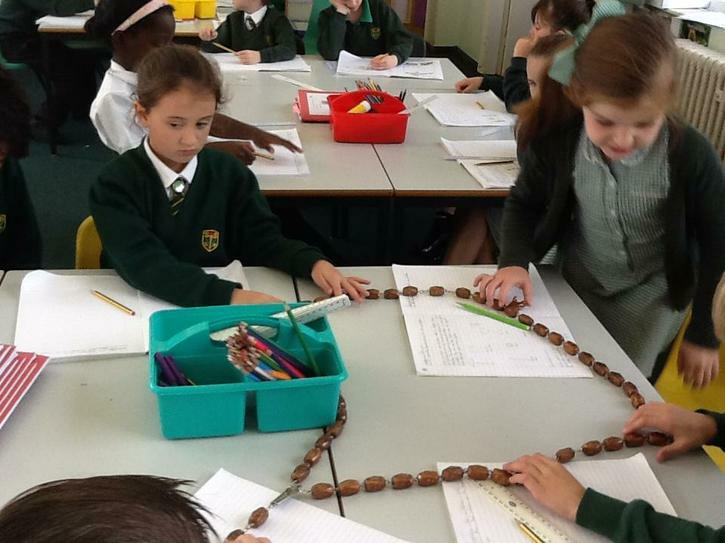 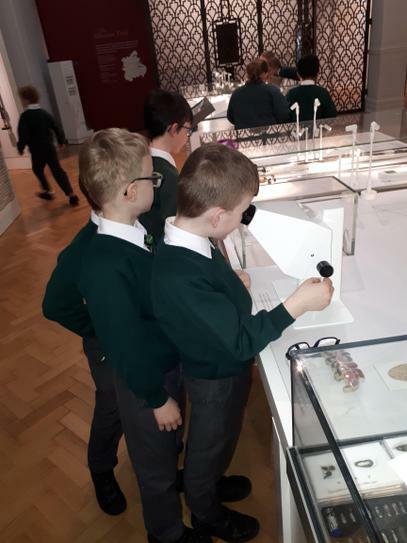 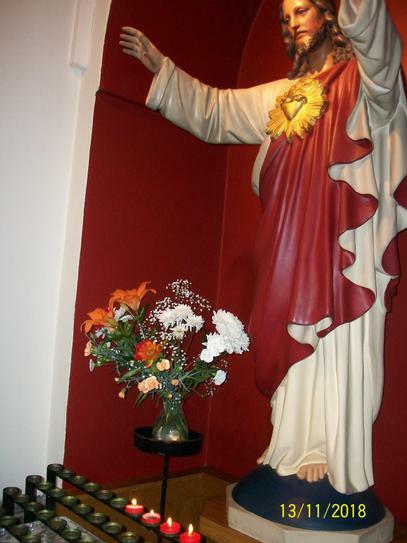 We looked at the Rosary beads. 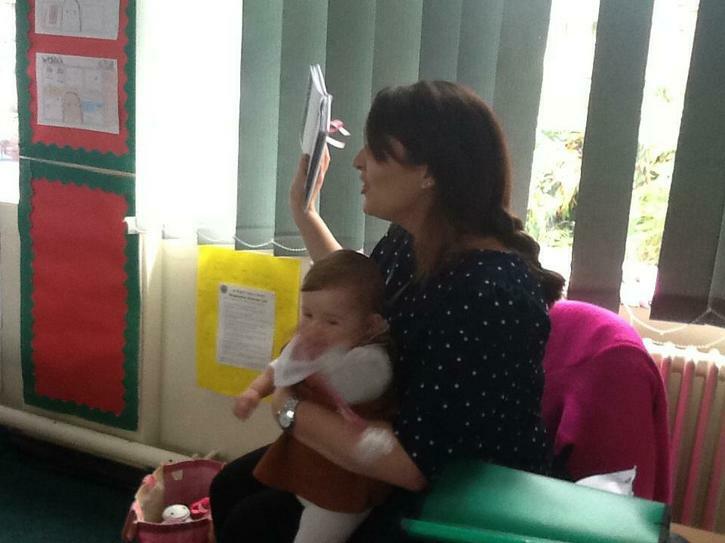 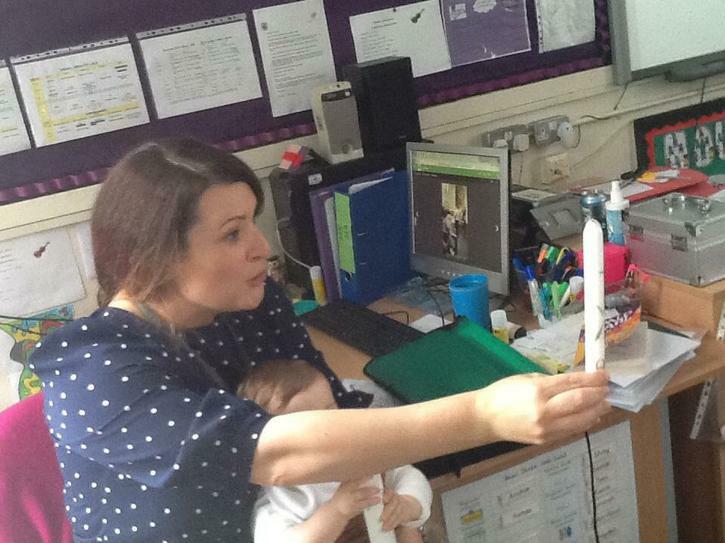 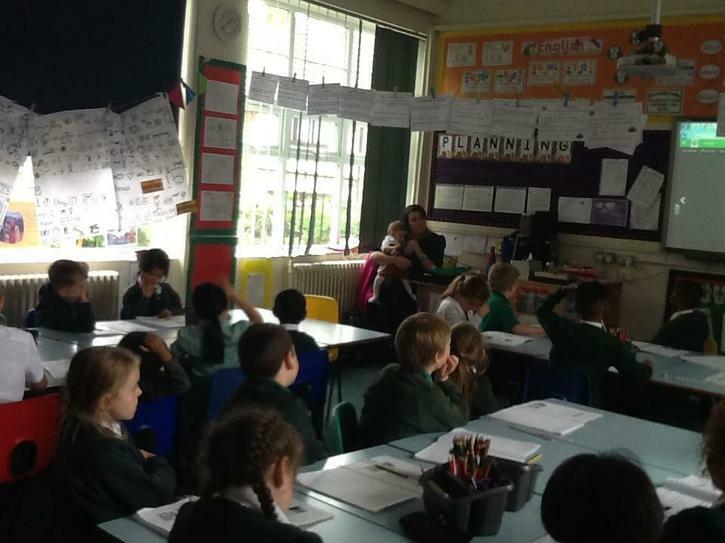 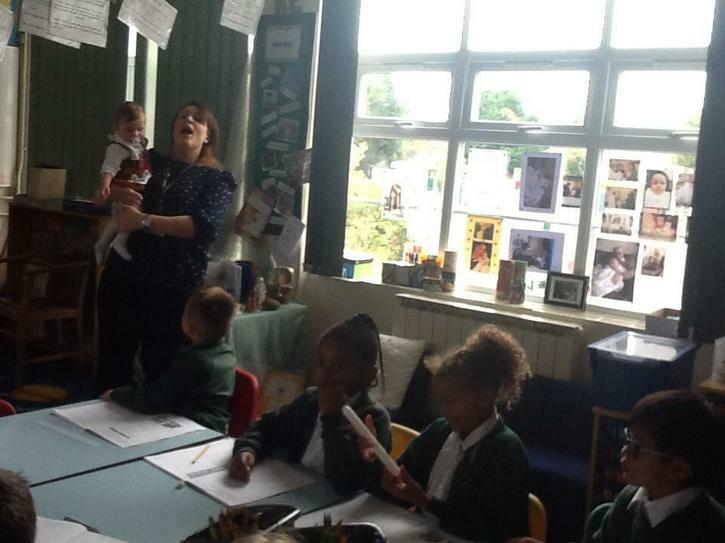 Today, during our R.E lesson, Mrs Goodes came to visit us with baby Annabel. 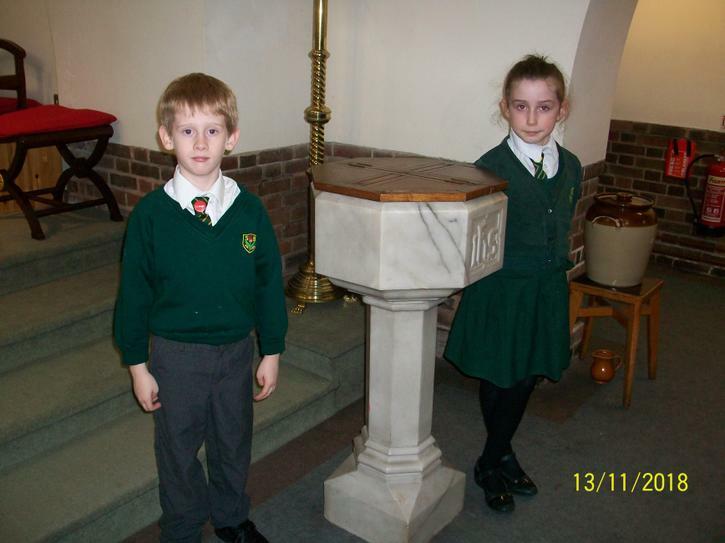 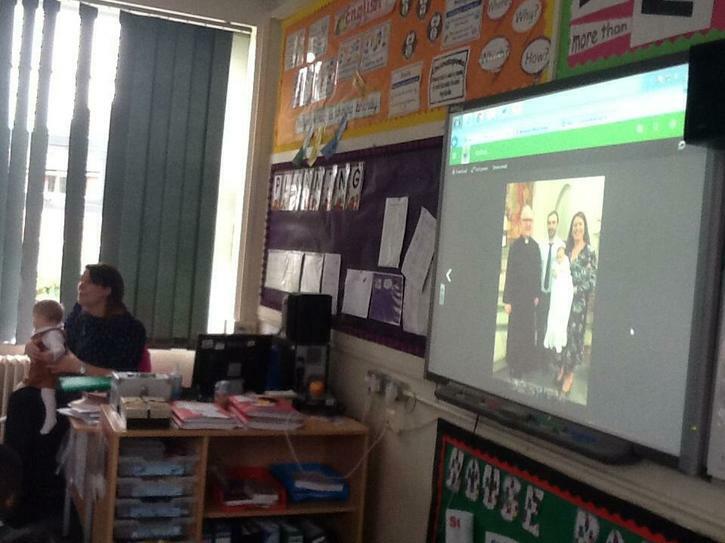 She told us all about Annabel’s Baptism. 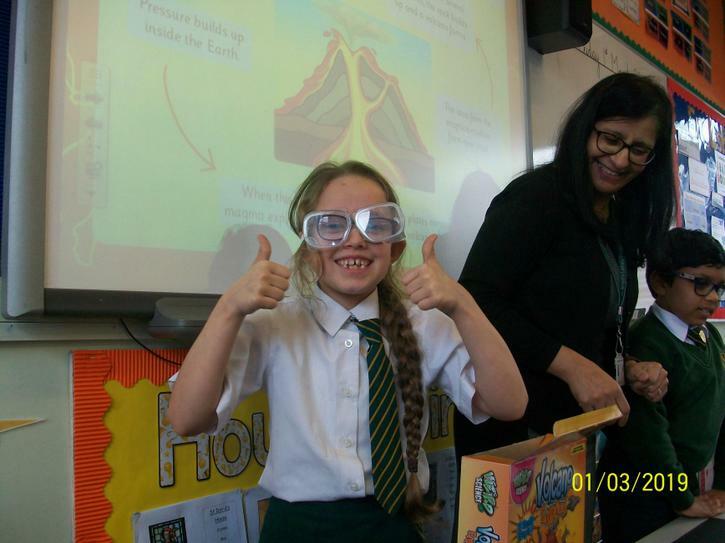 She was so impressed with our knowledge. 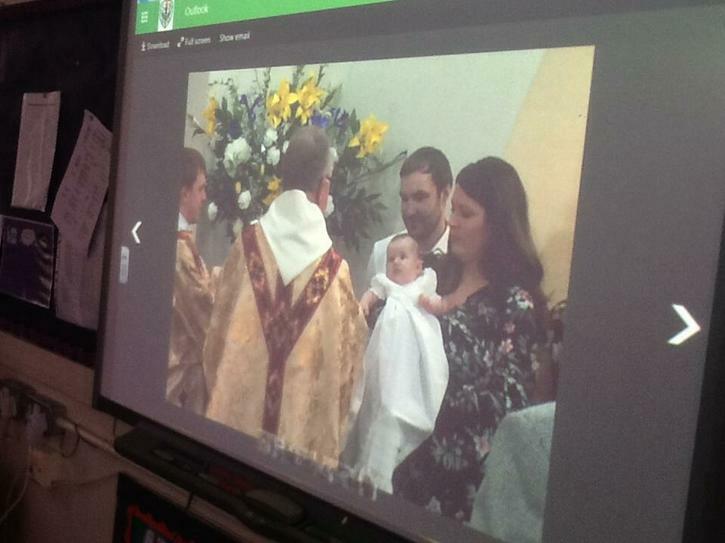 We were able to tell her what we knew about the Oil of Chrism, the God-parents, the Baptismal Candle and the White Garment. 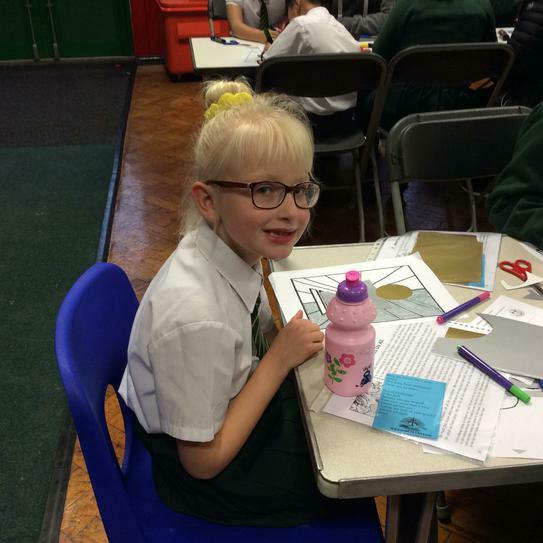 It was lovely to meet Annabel and hear about her special day. 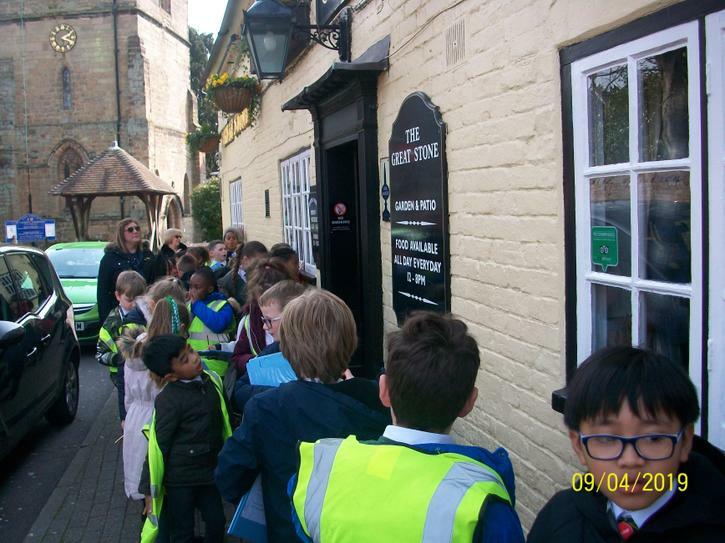 We got our pen licence! 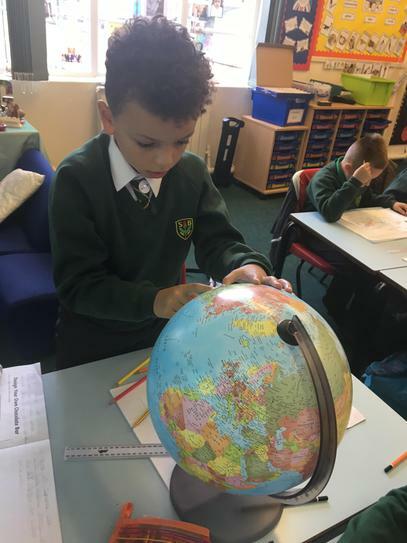 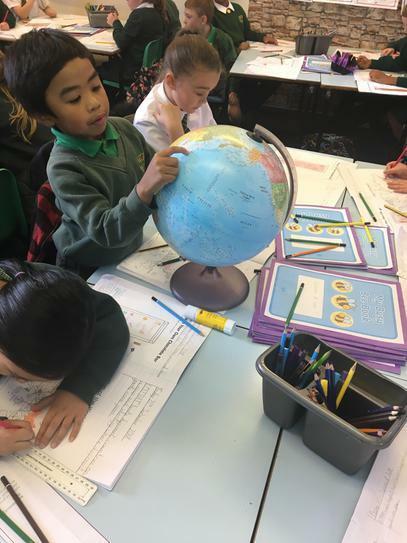 Today, during our topic lesson, we worked hard to locate different continents and countries. 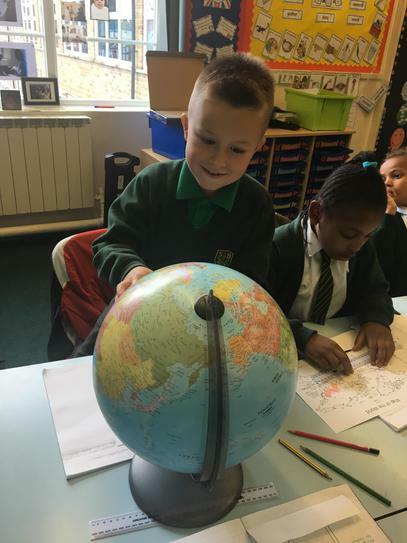 We used maps and a globe. 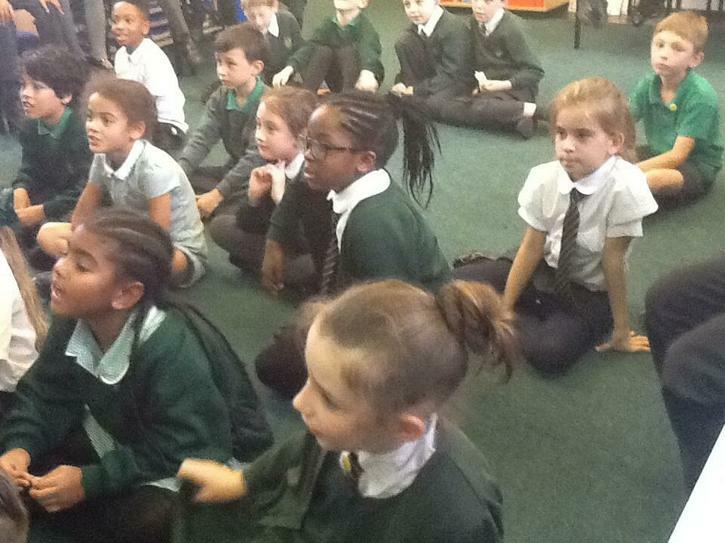 We are really enjoying reading, Roald Dahl’s Charlie and the Chocolate Factory. 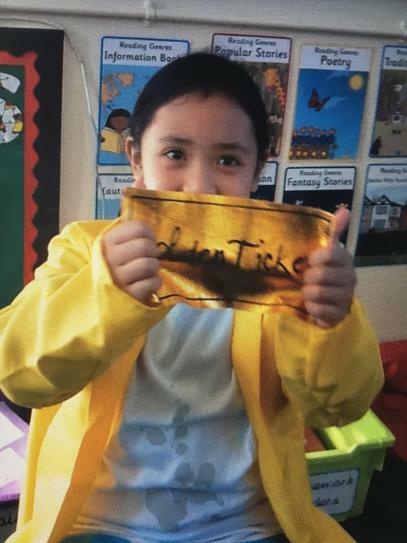 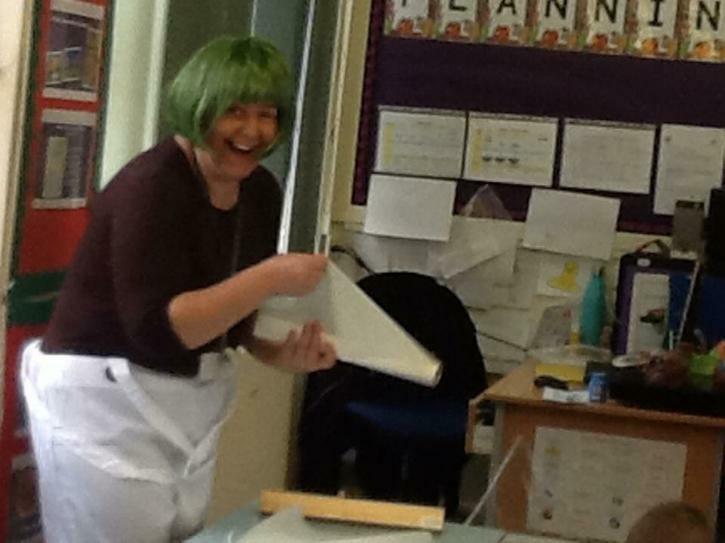 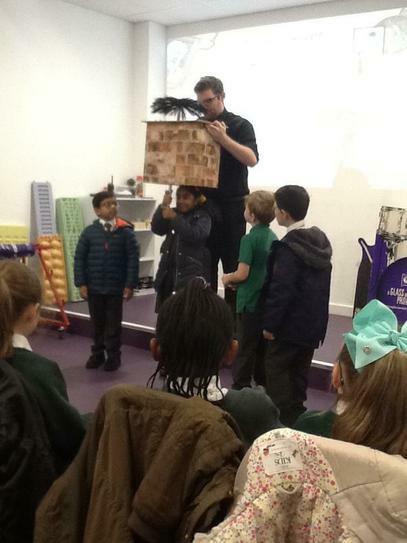 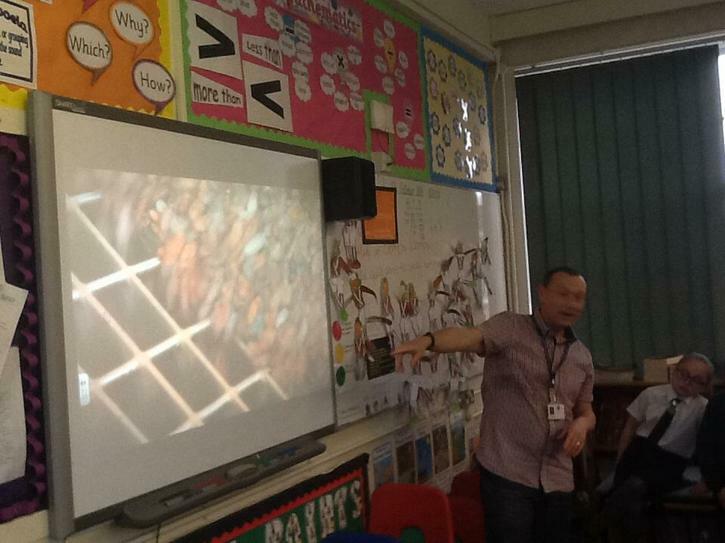 This week Charlie Bucket visited our classrooms! 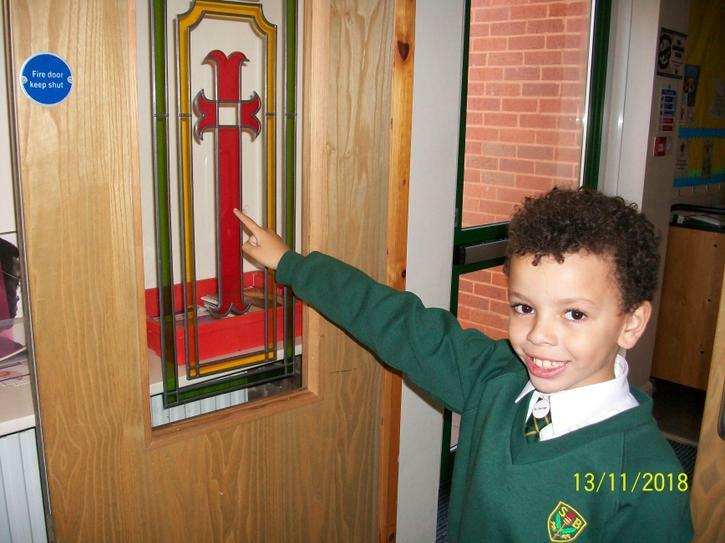 He loved our classroom doors! 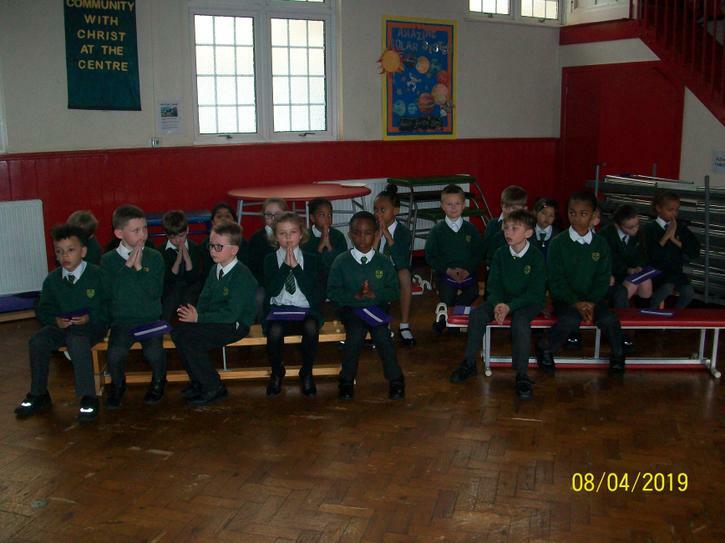 He sat in the hot seat and we had the opportunity to question him about his thoughts and feelings. 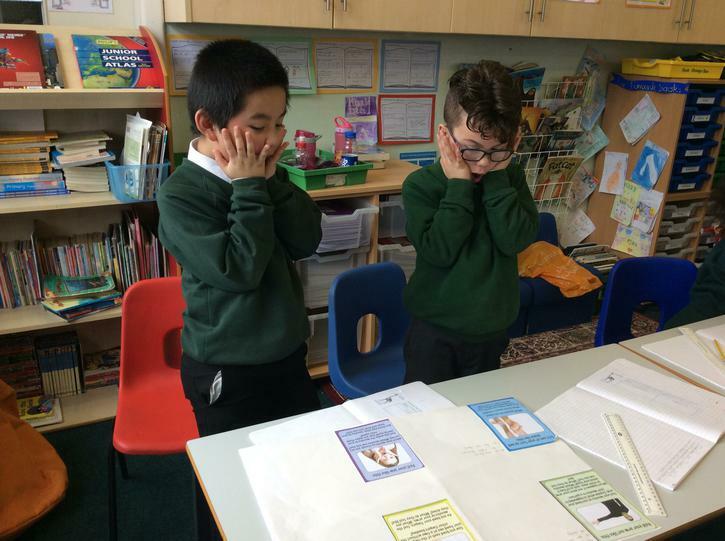 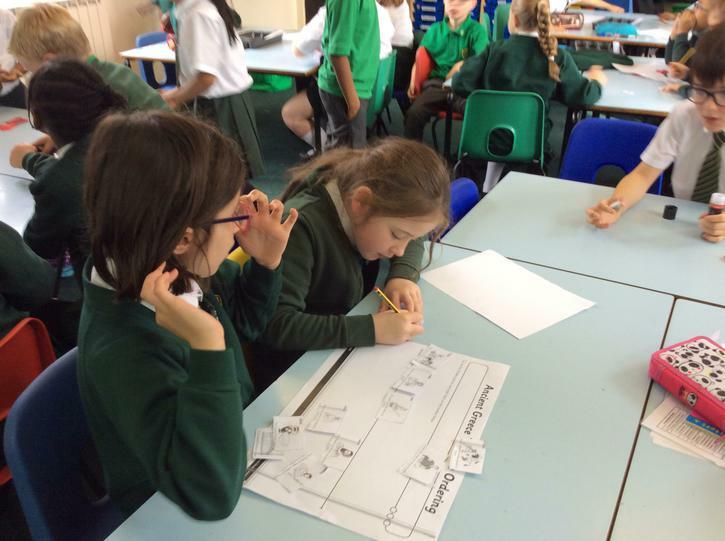 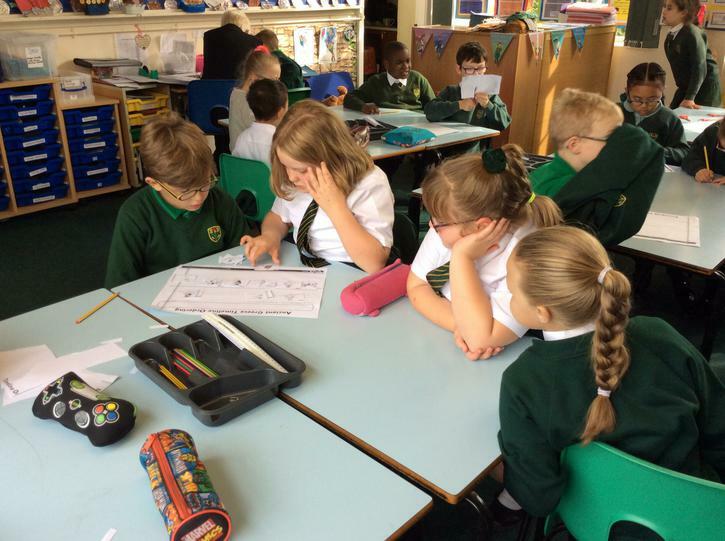 This really helped us to devise our story maps and plan our diary entries.